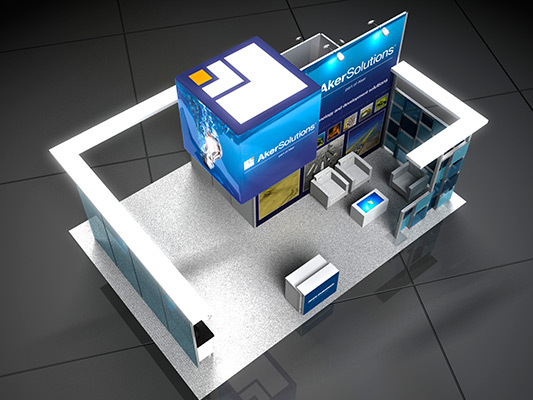 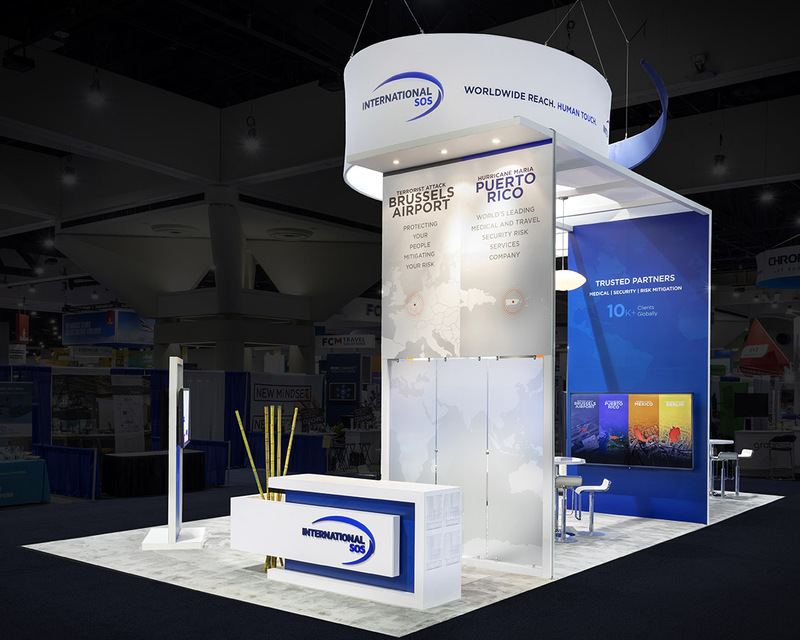 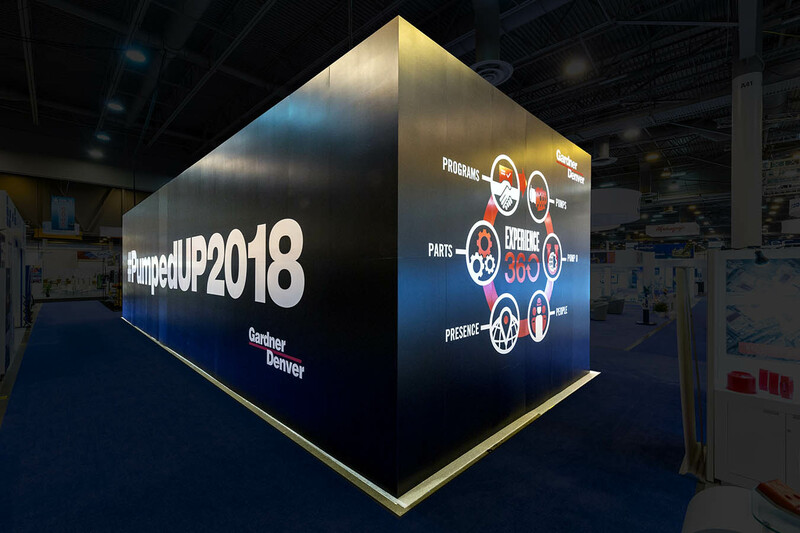 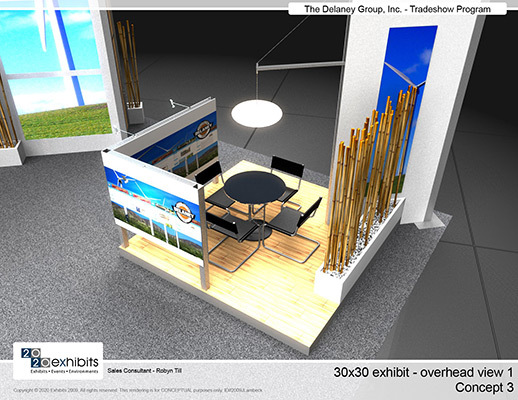 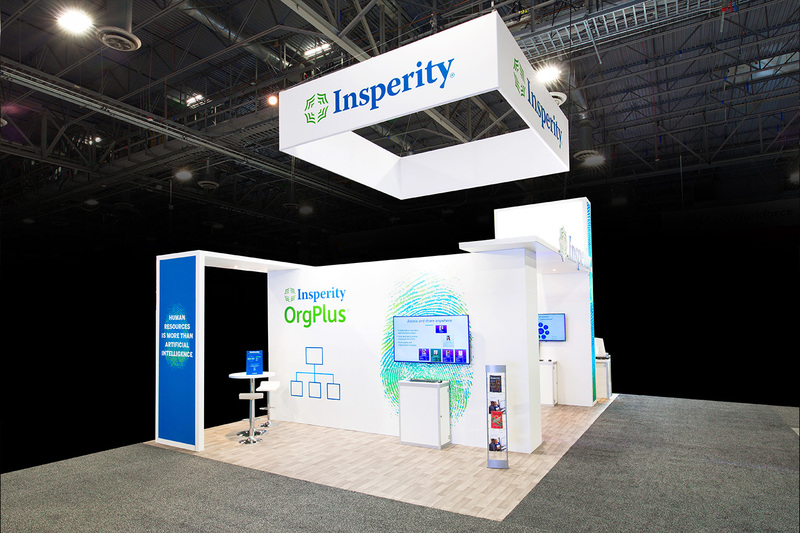 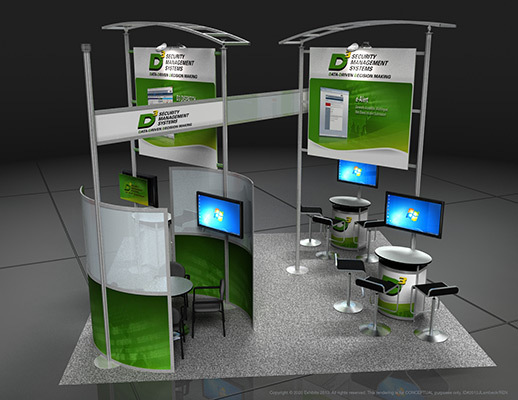 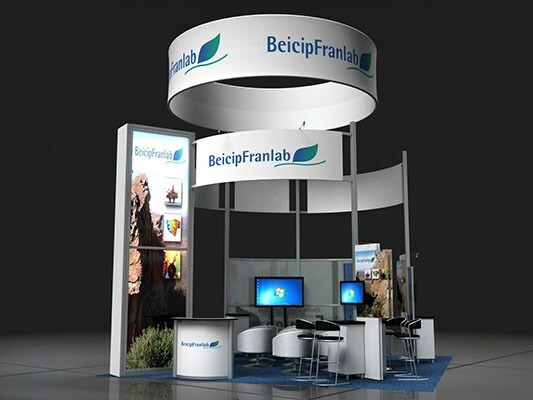 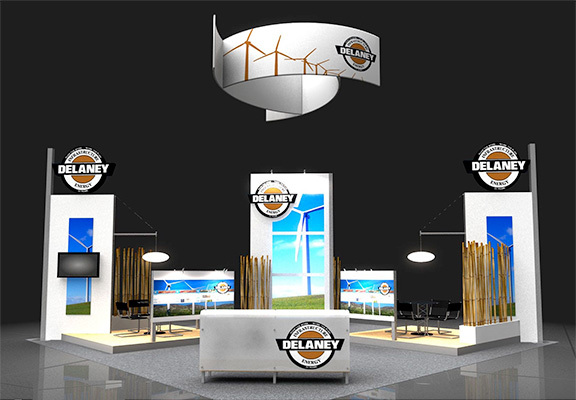 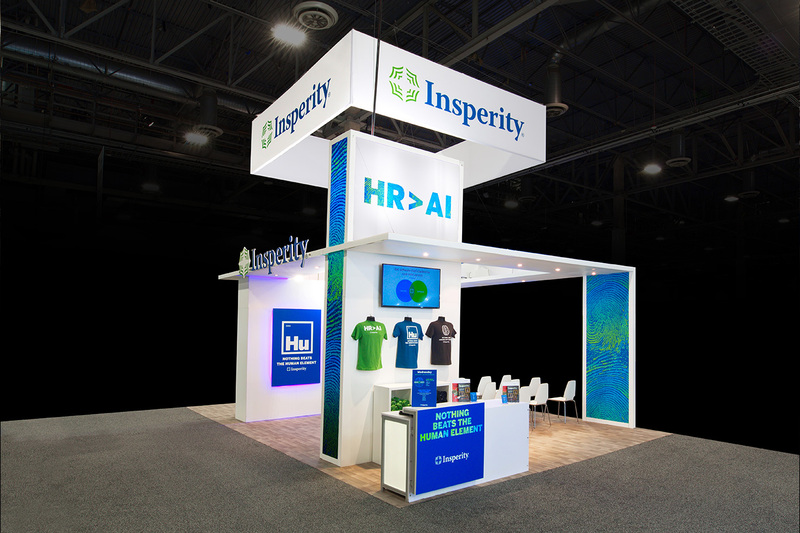 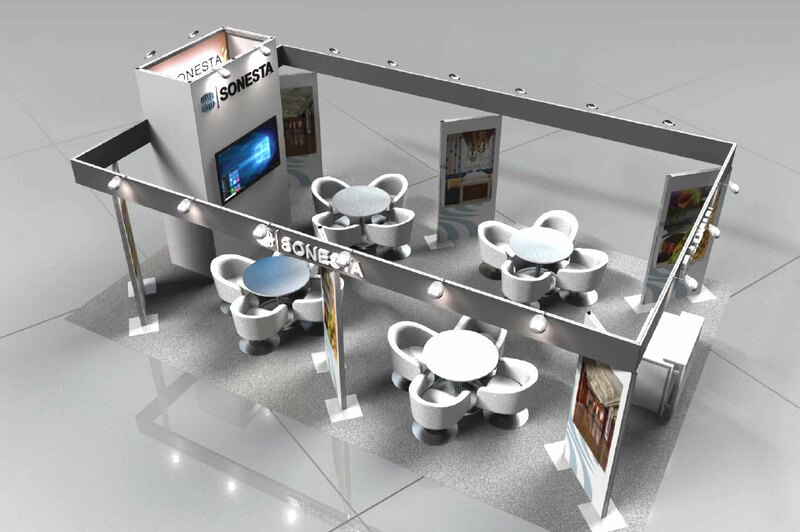 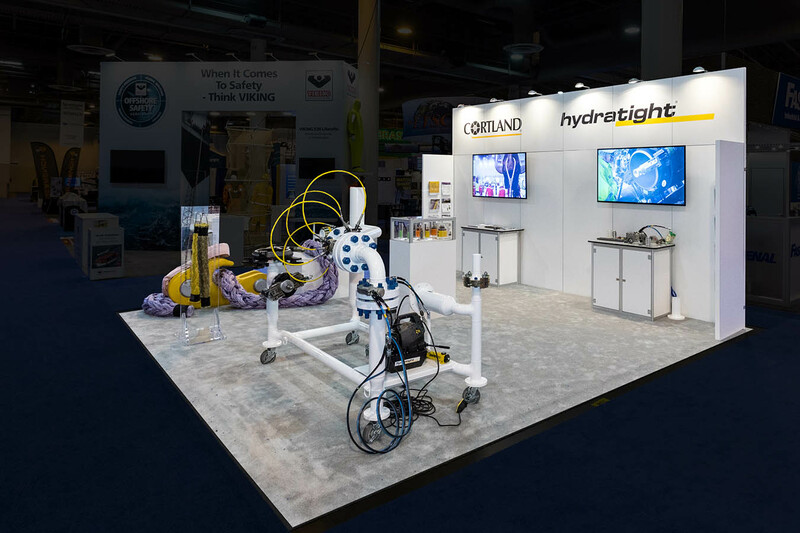 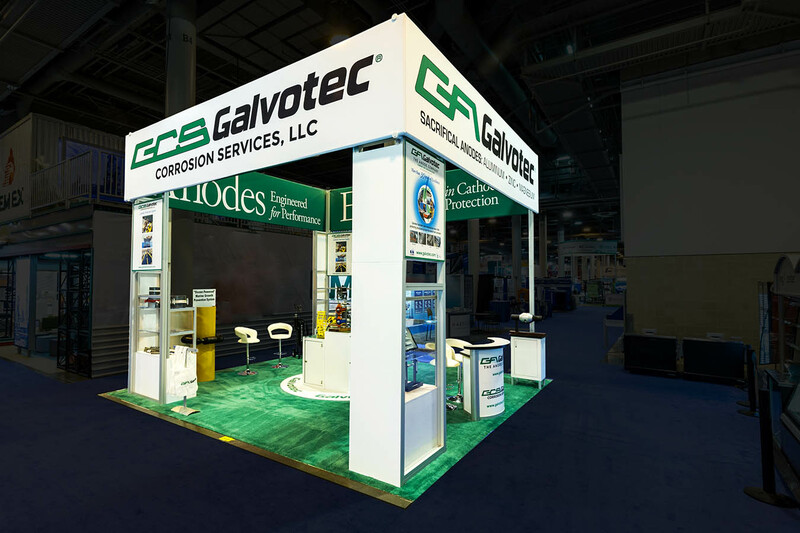 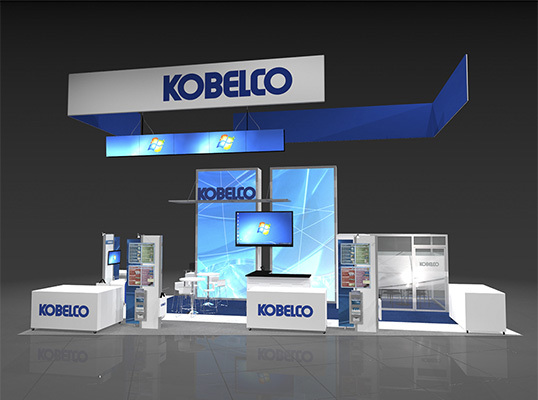 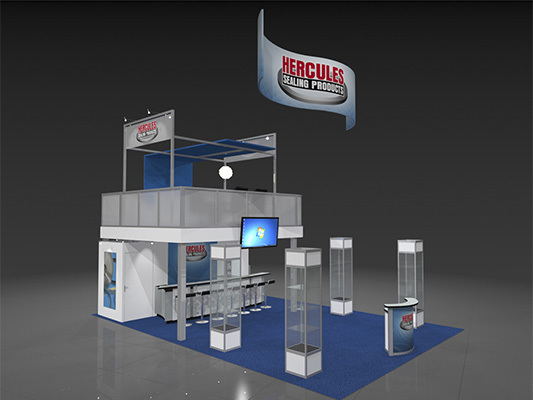 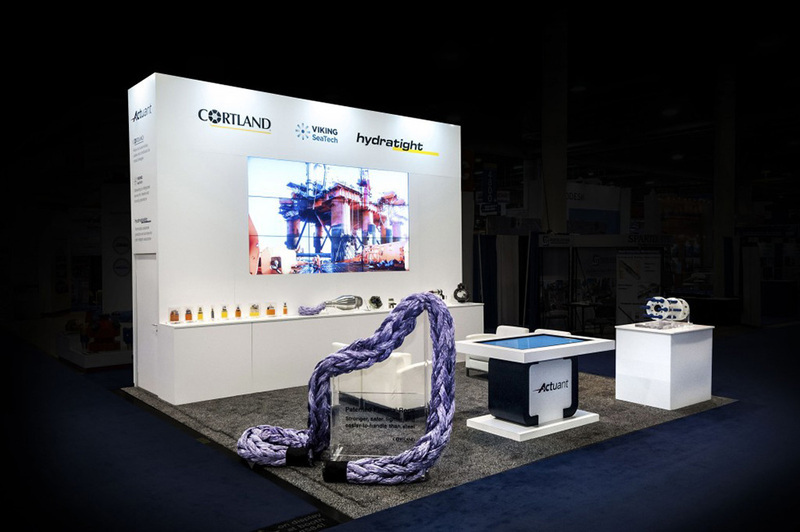 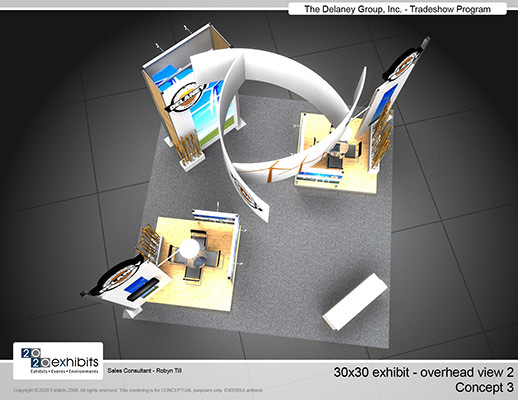 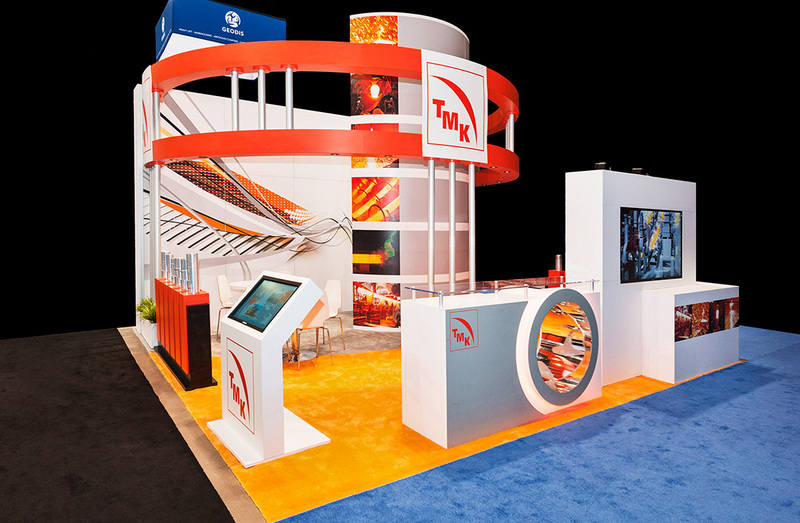 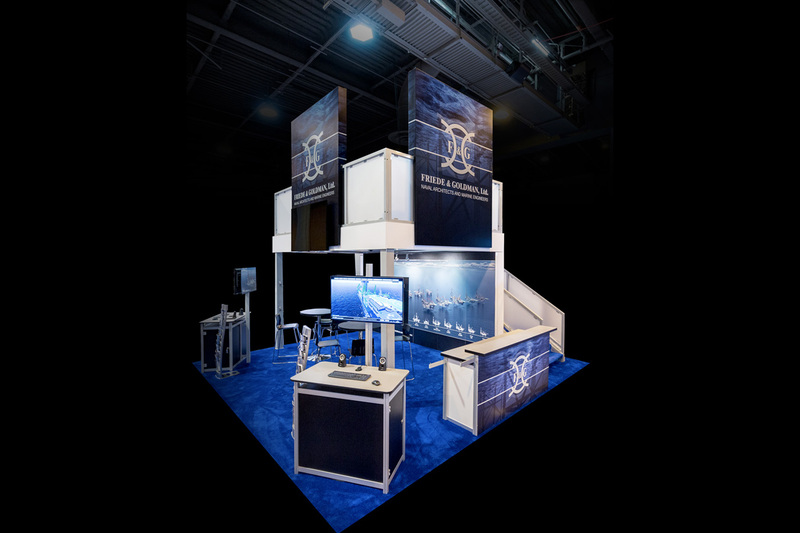 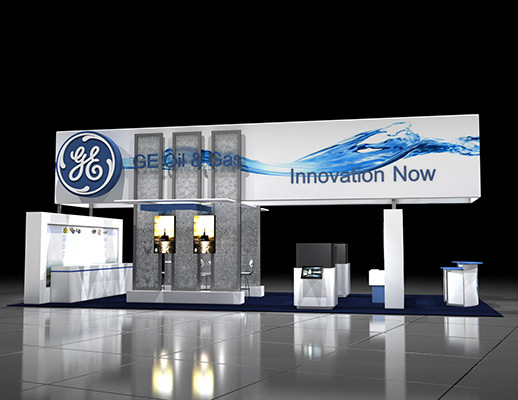 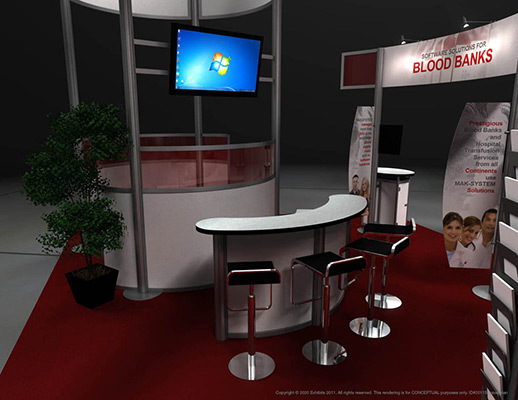 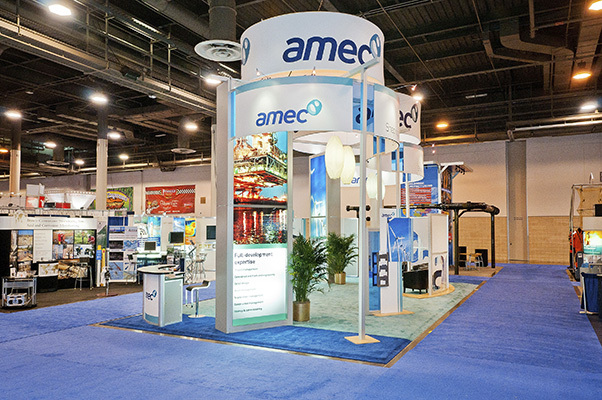 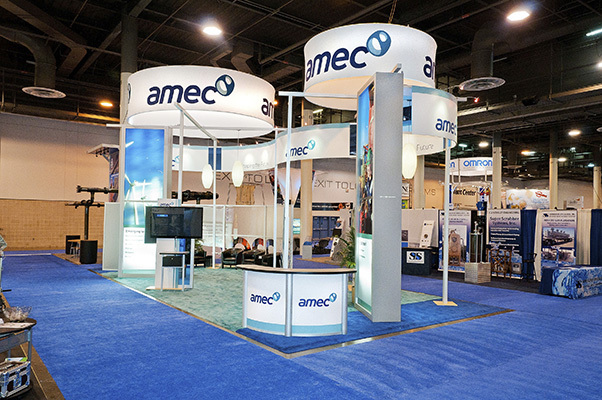 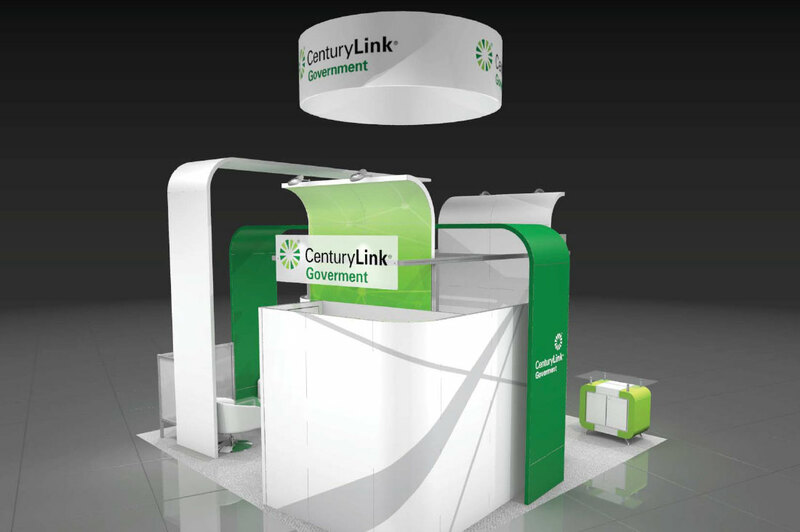 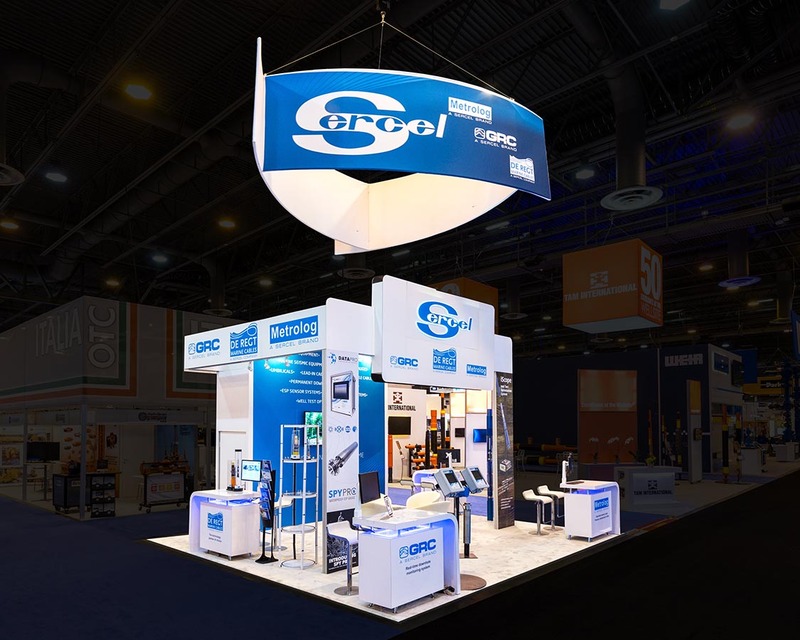 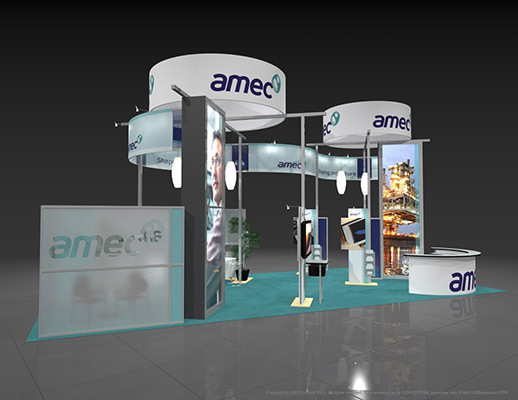 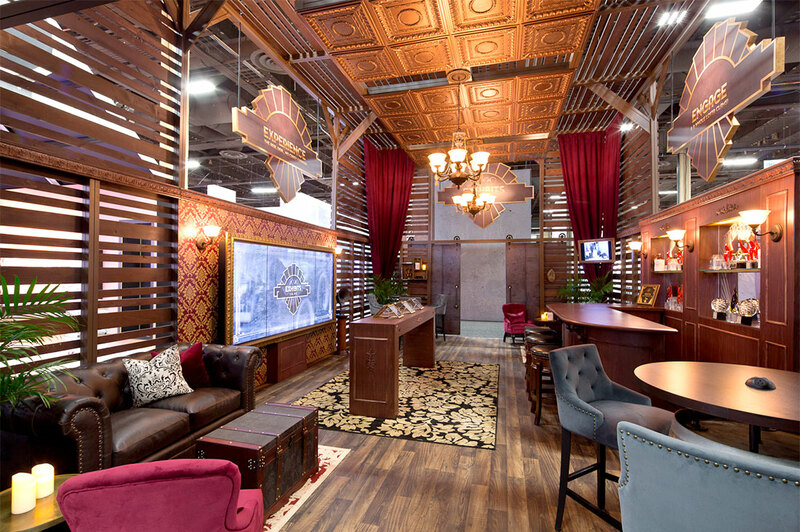 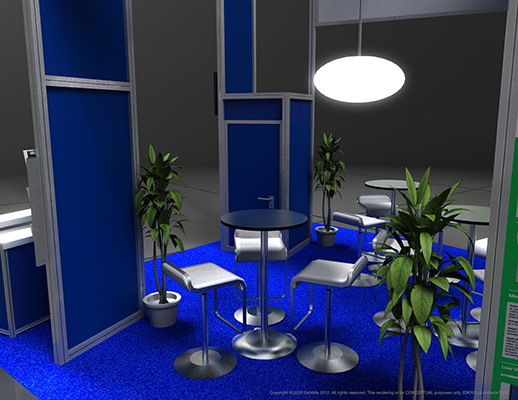 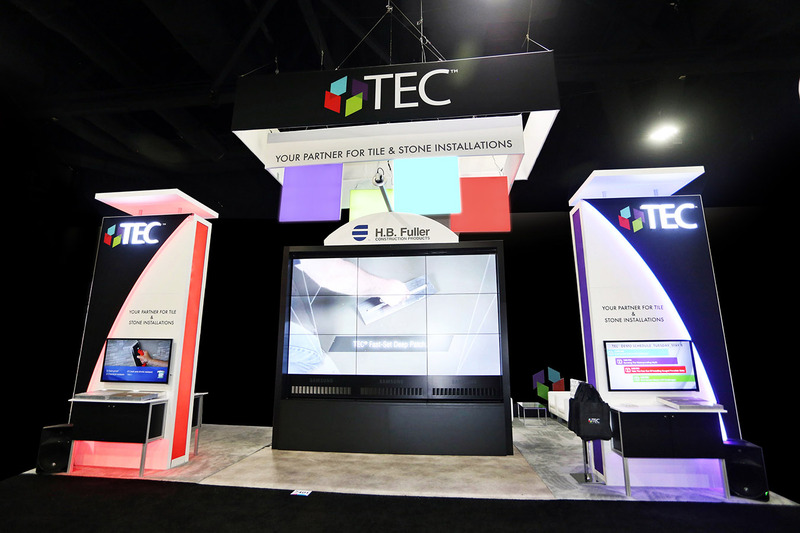 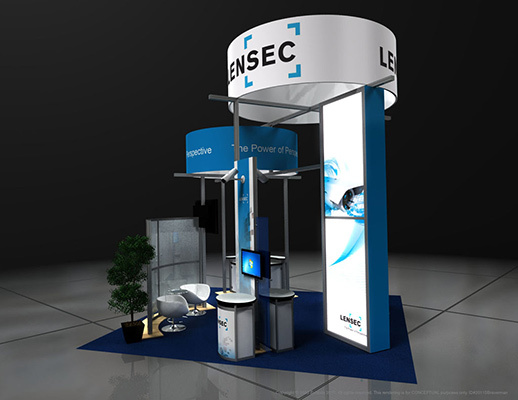 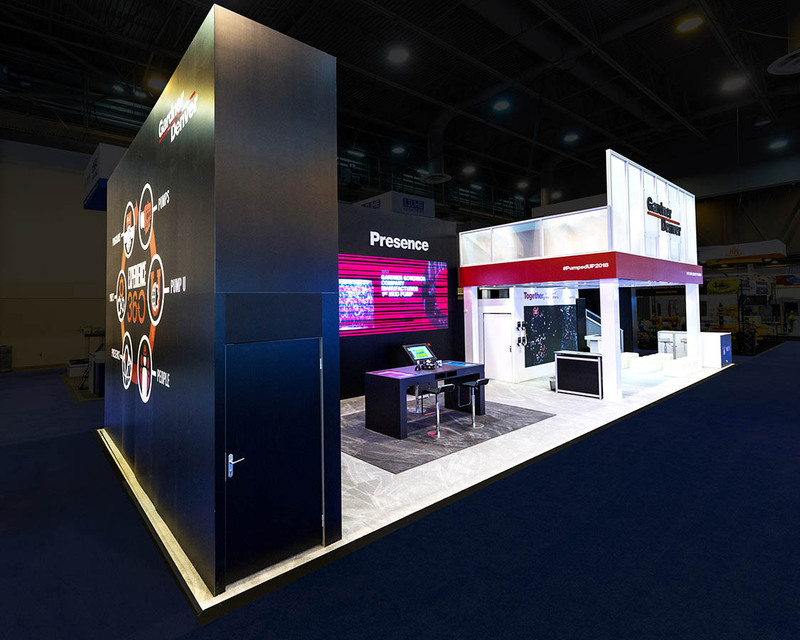 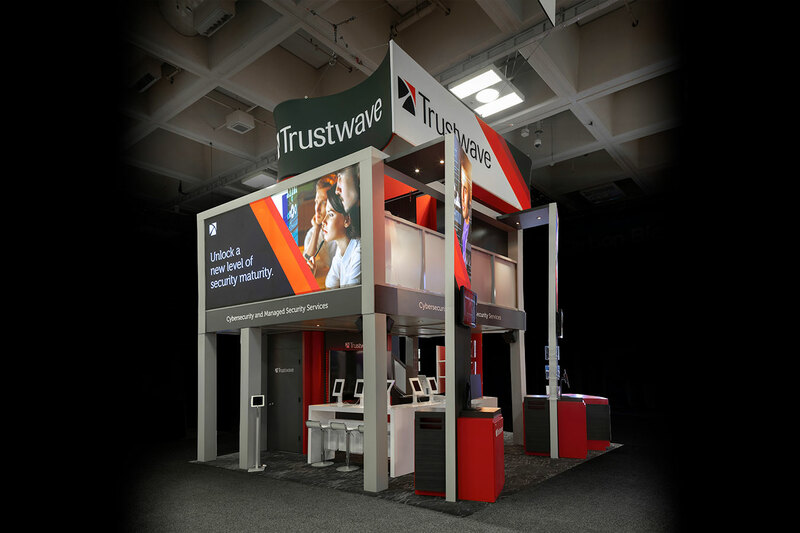 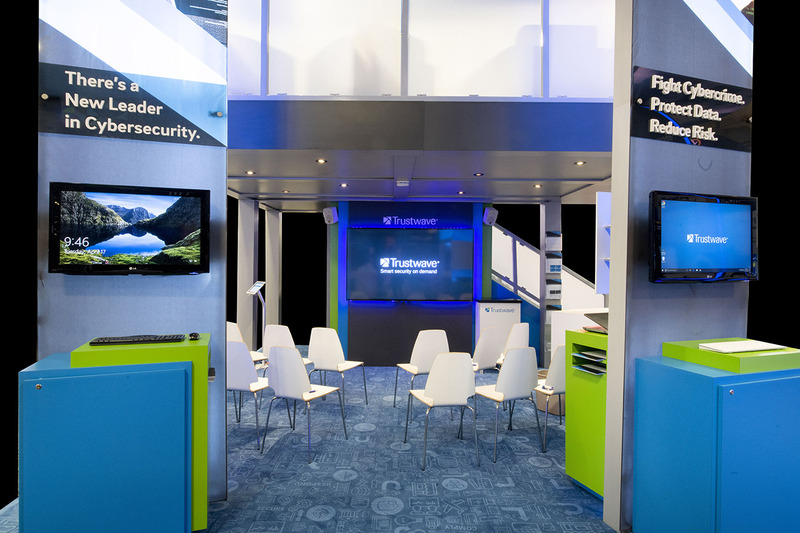 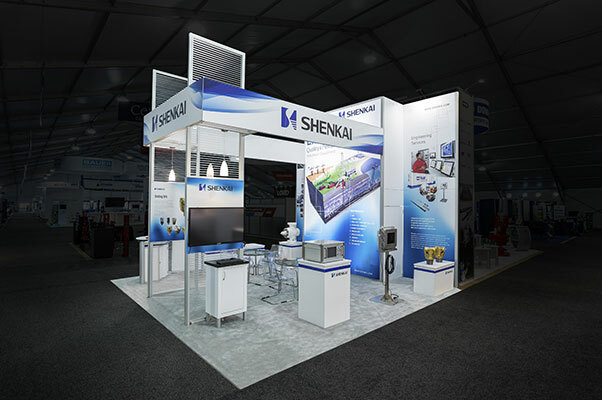 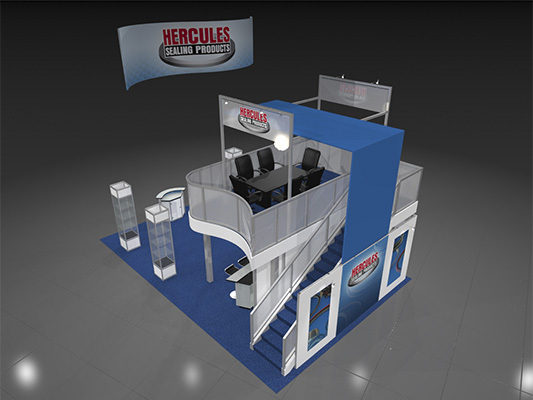 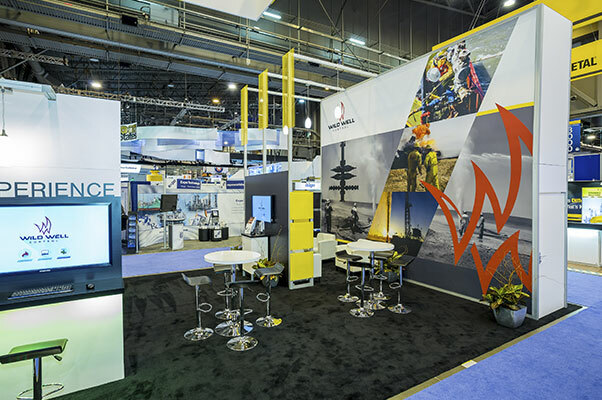 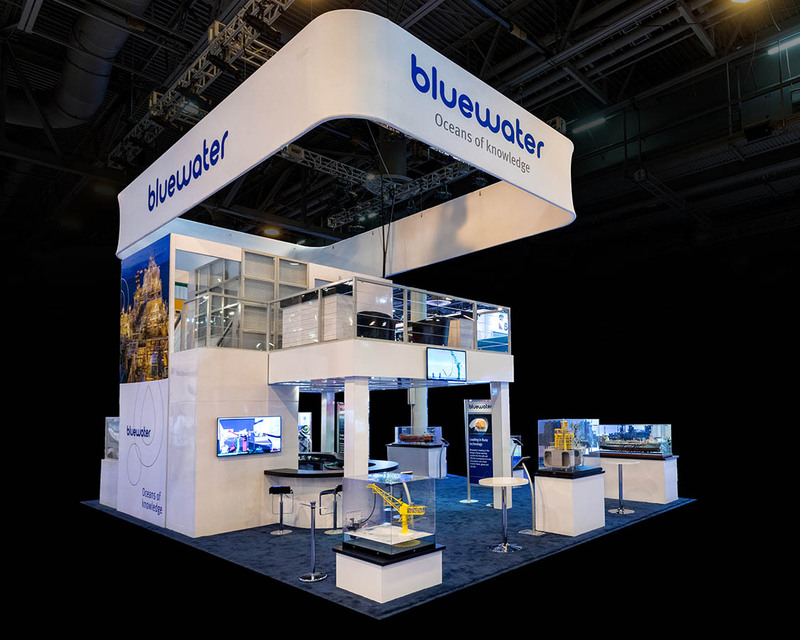 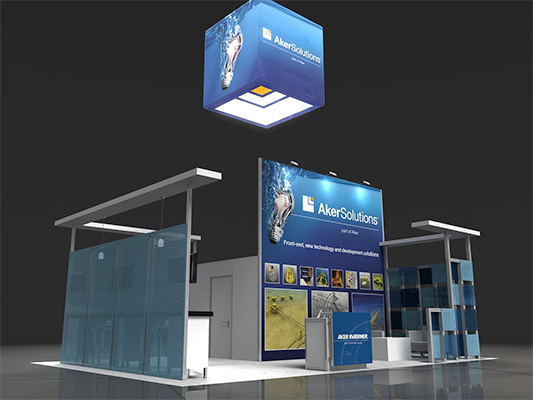 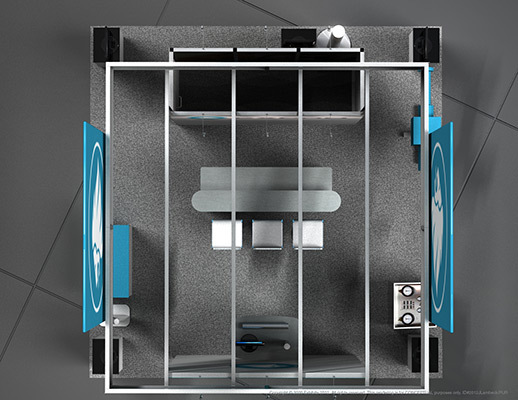 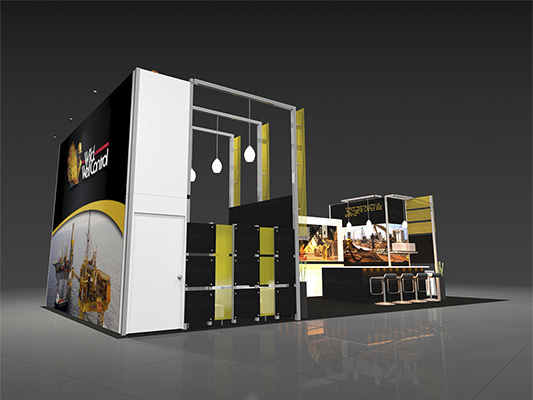 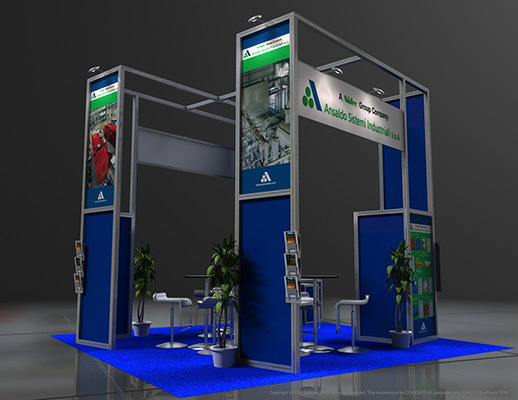 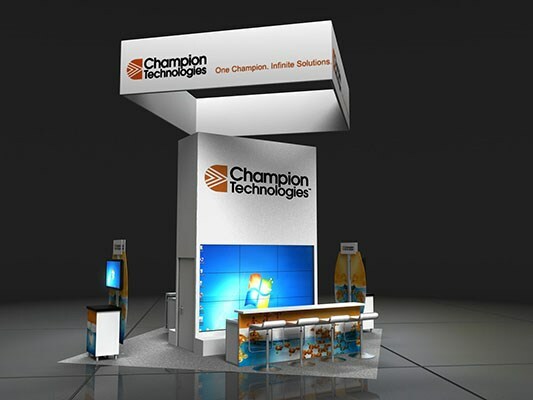 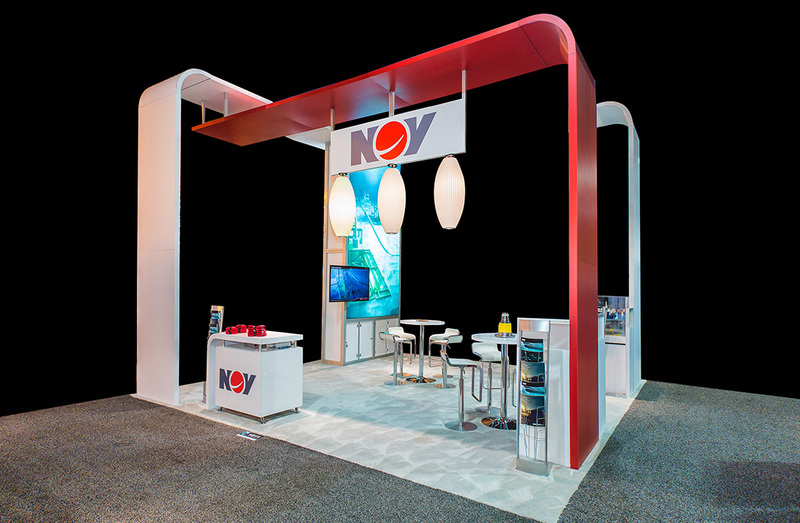 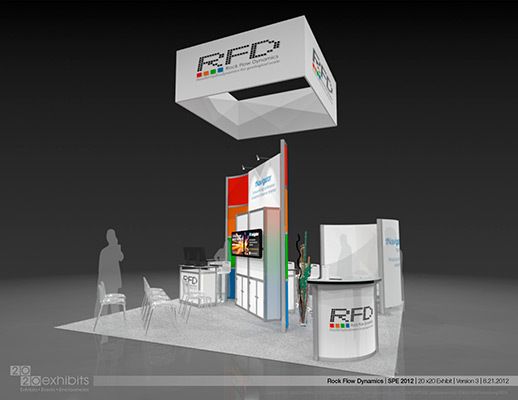 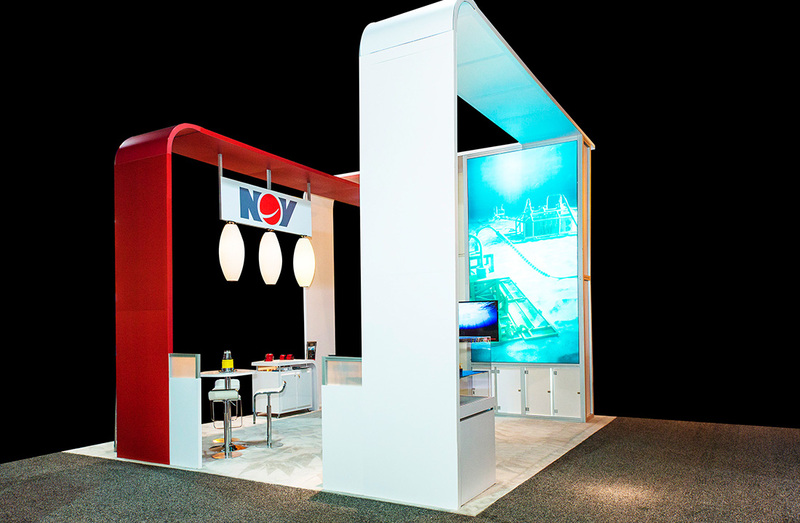 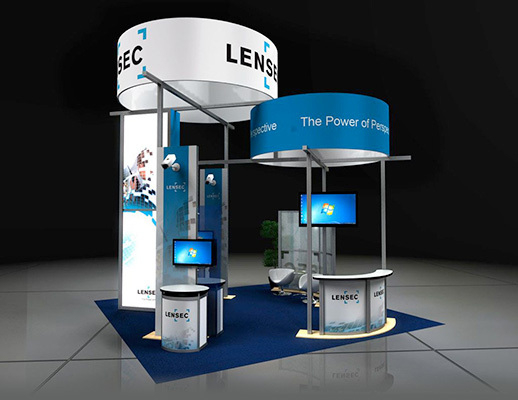 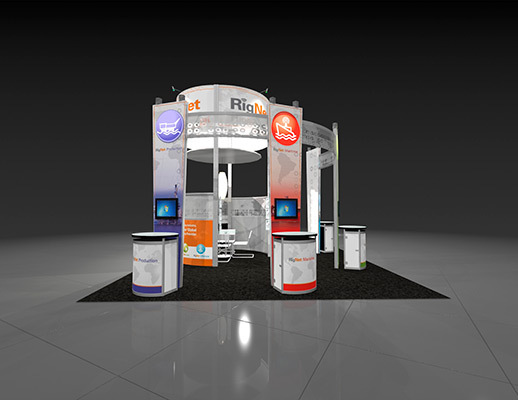 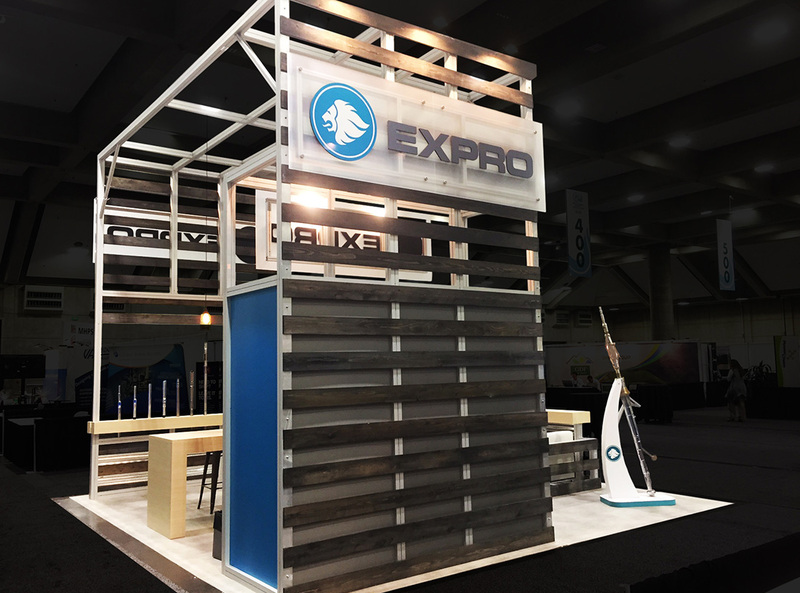 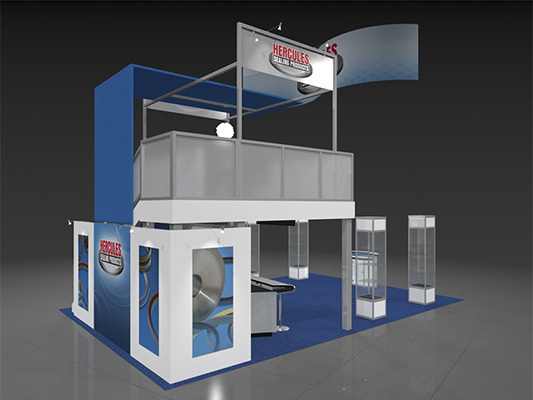 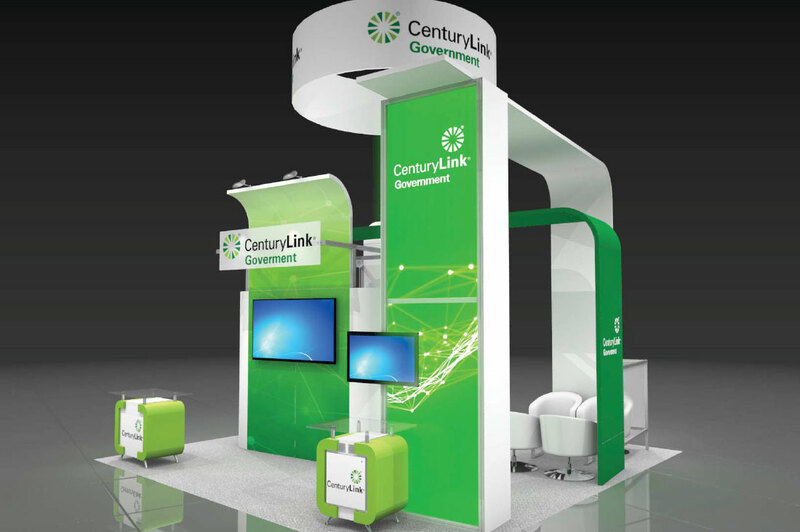 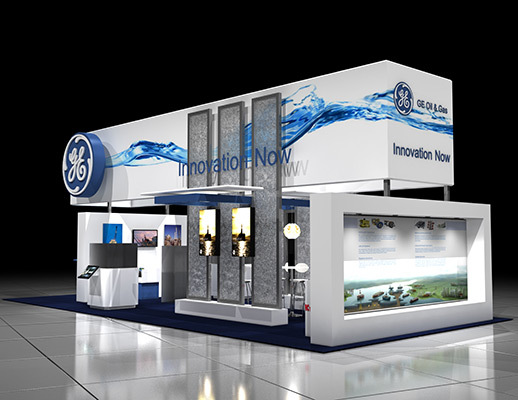 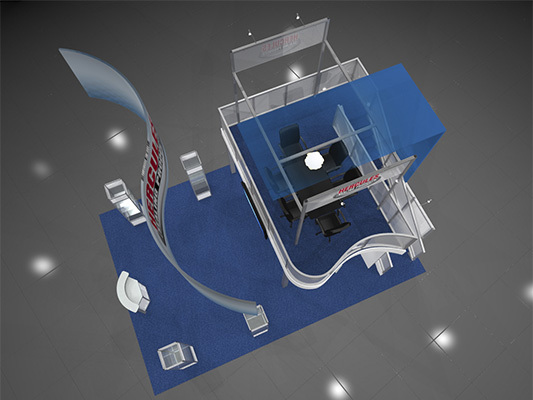 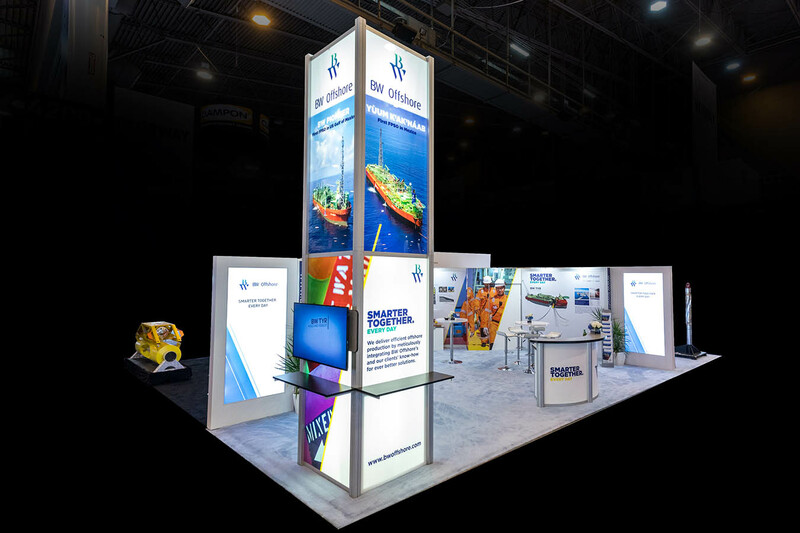 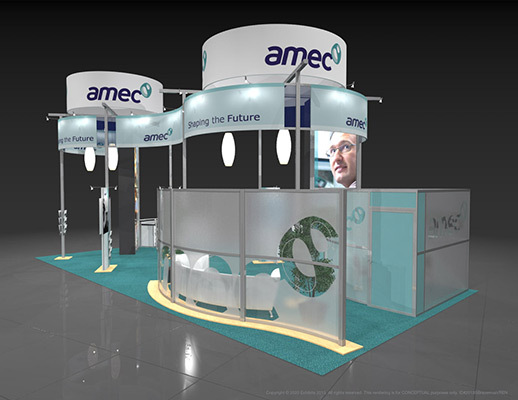 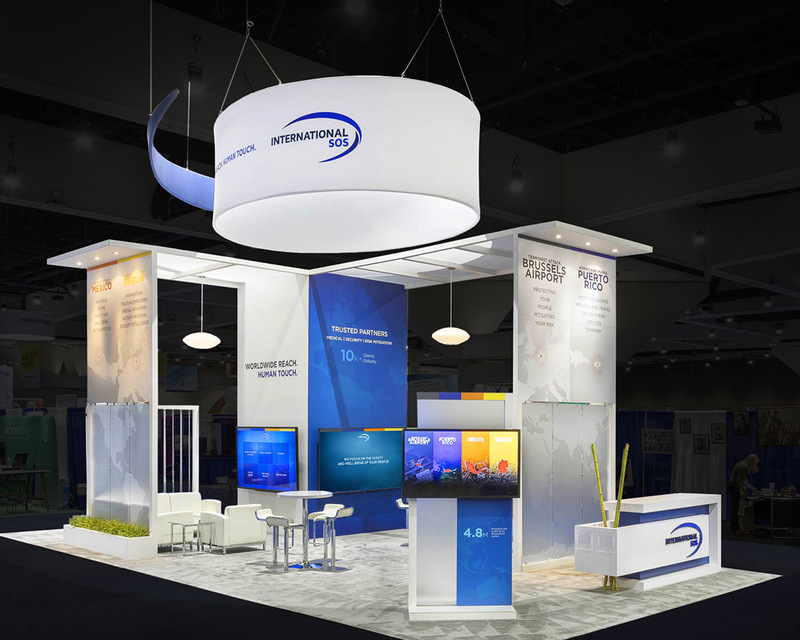 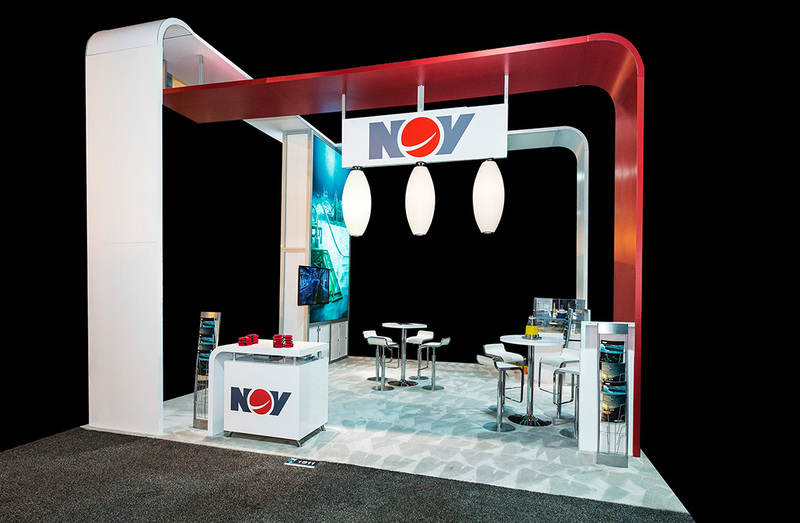 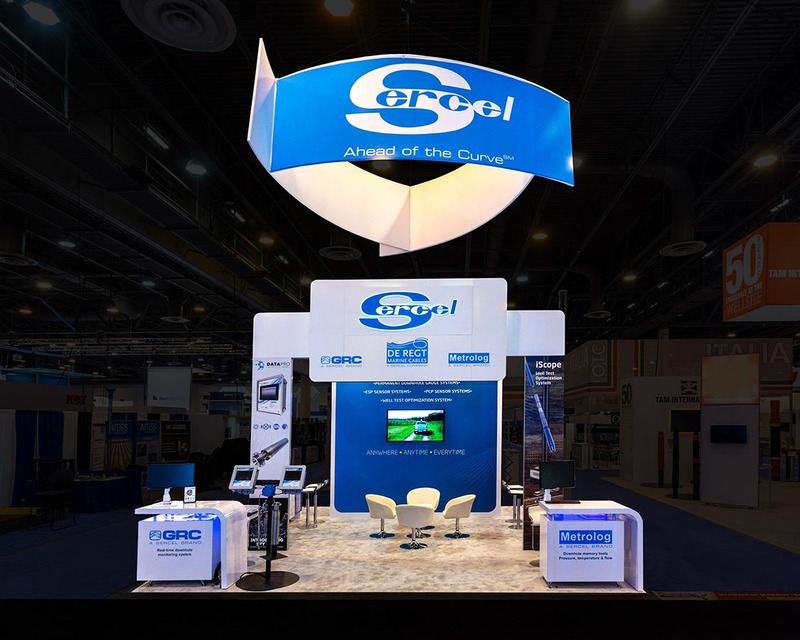 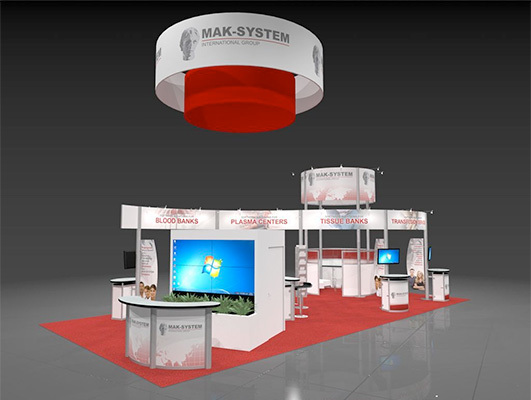 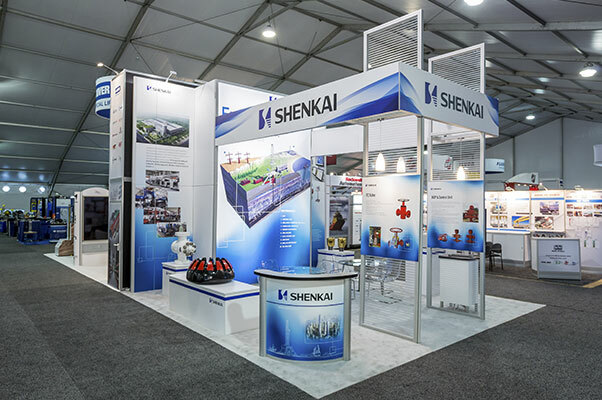 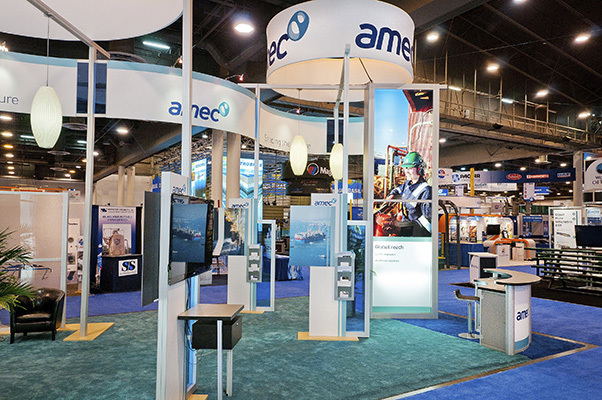 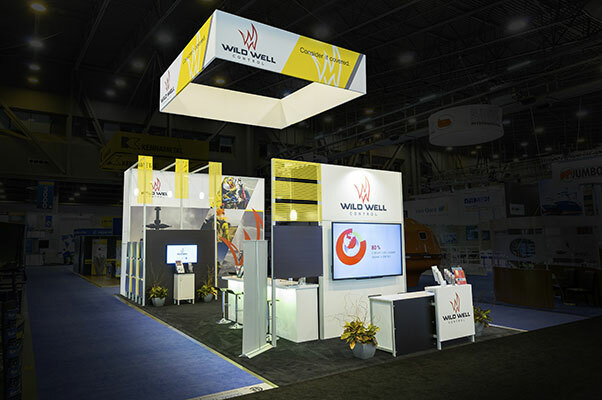 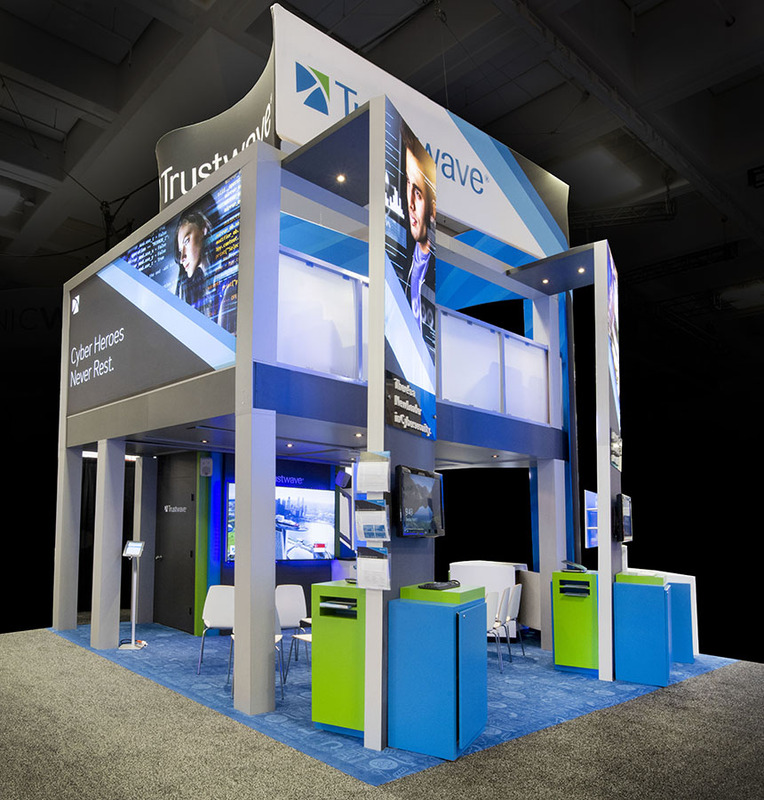 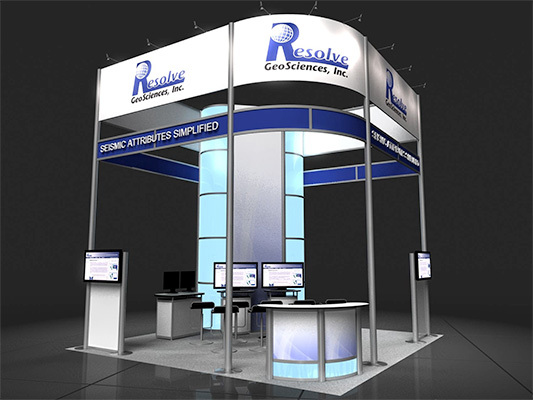 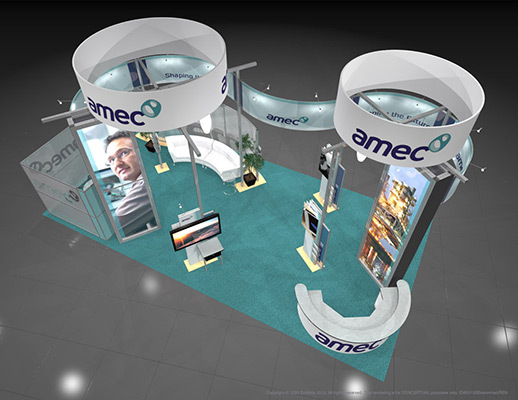 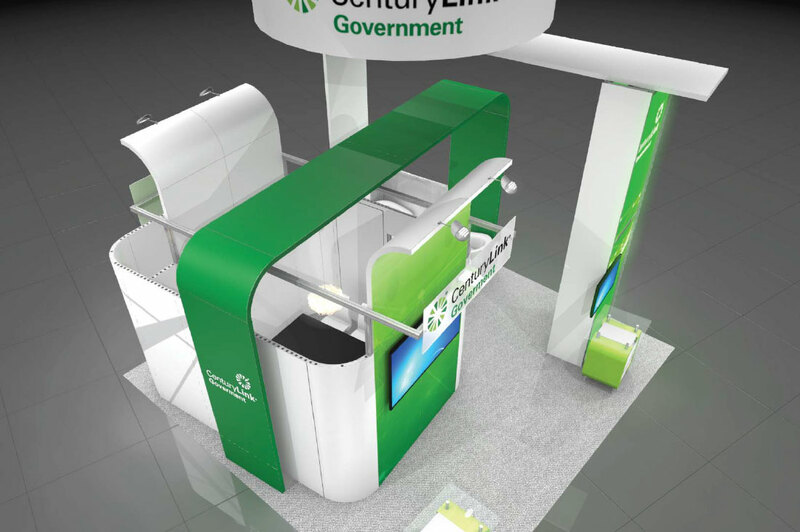 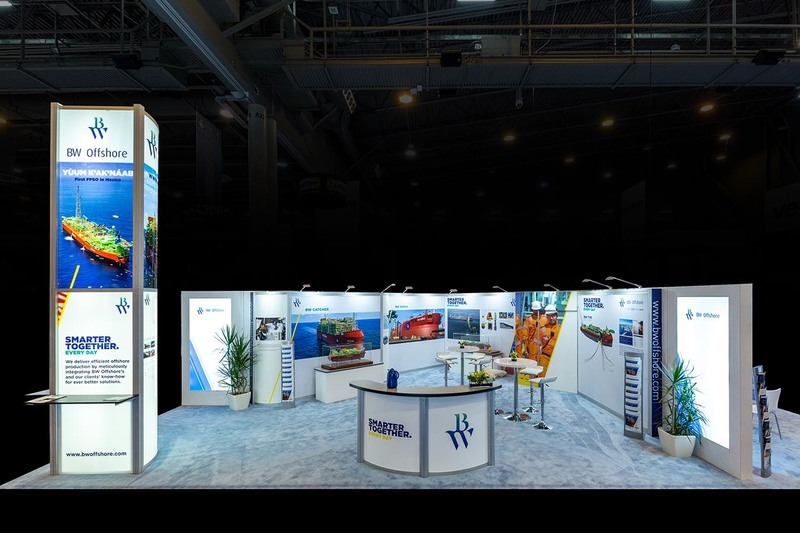 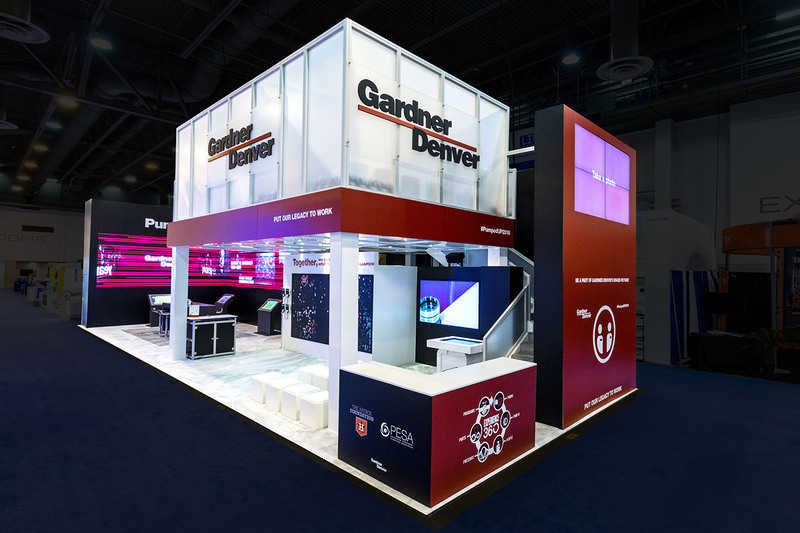 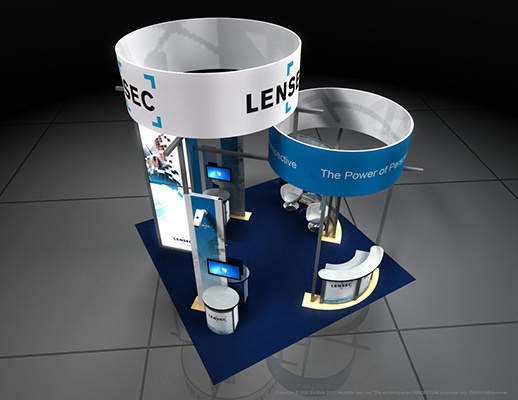 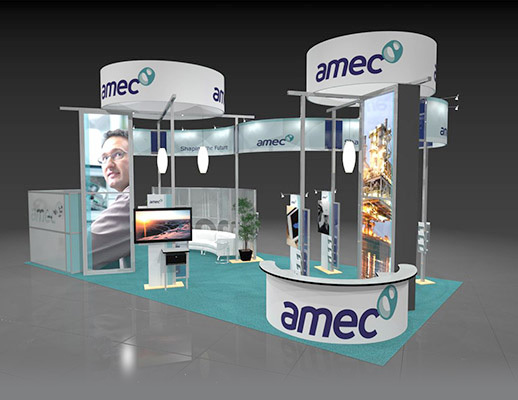 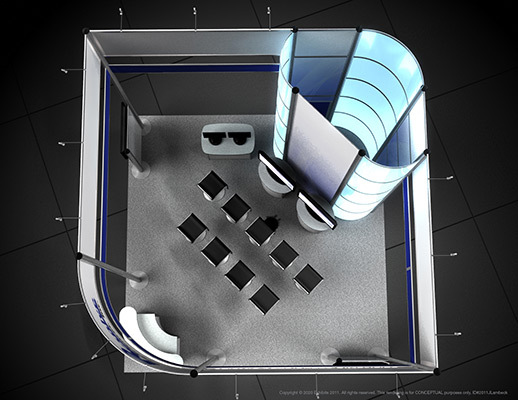 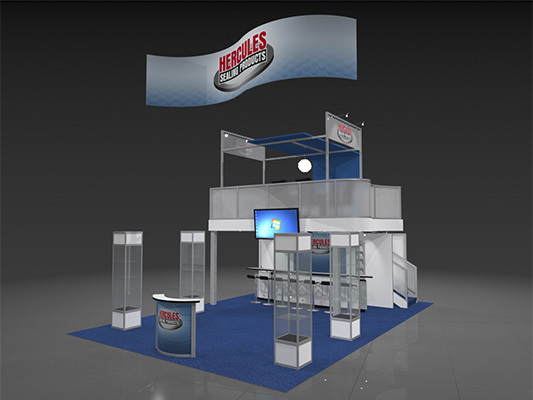 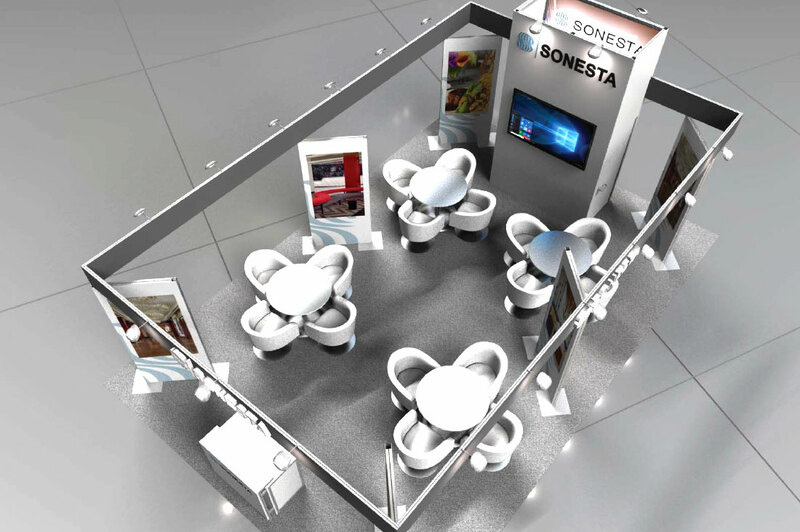 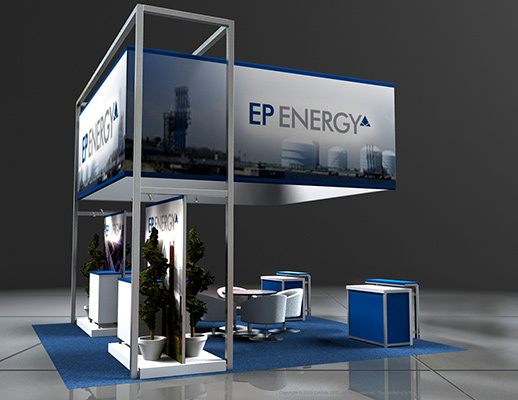 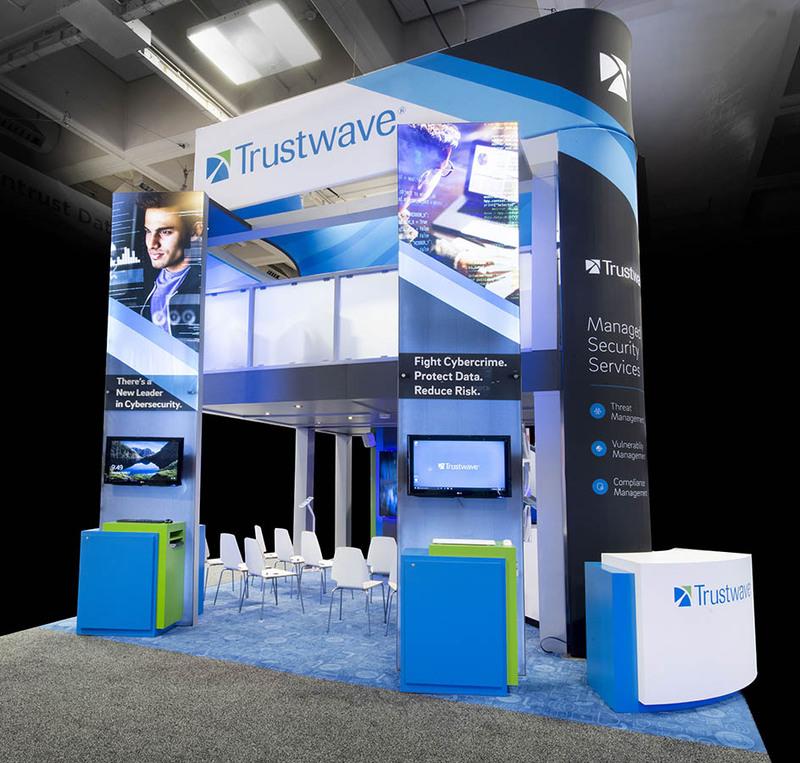 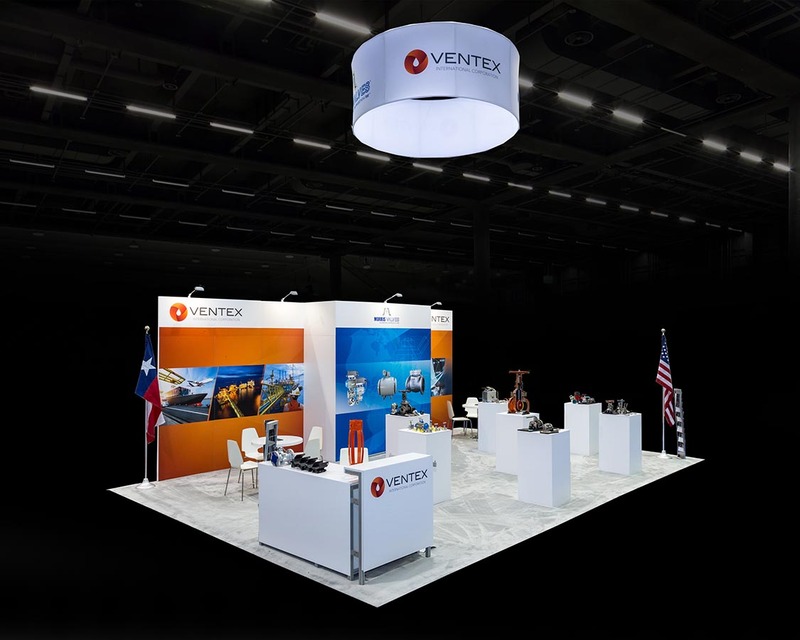 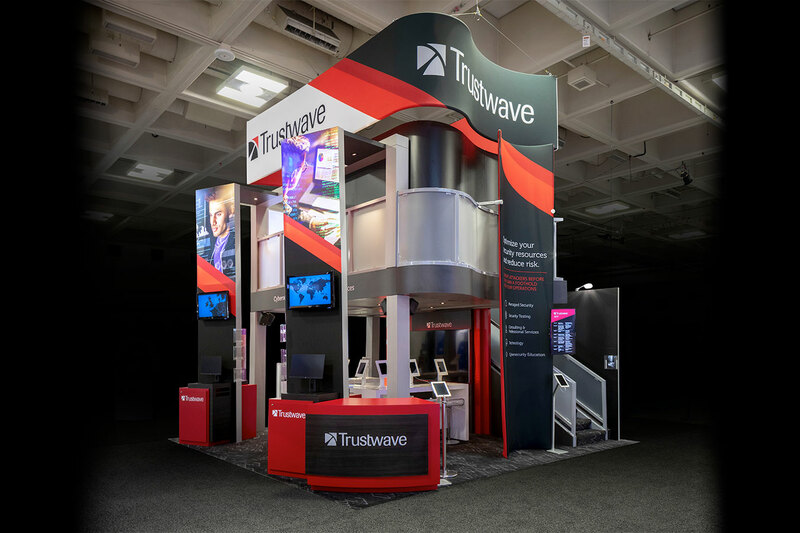 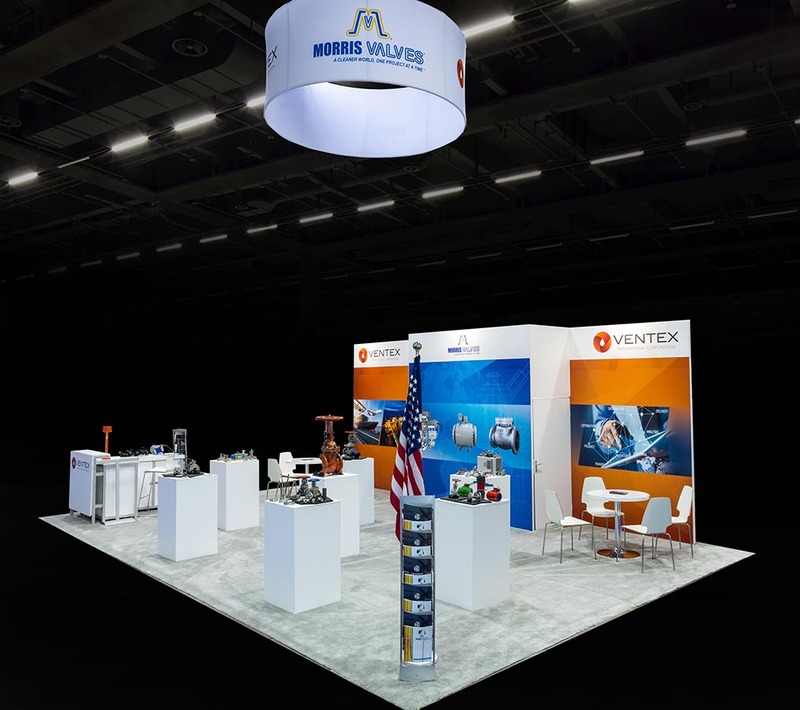 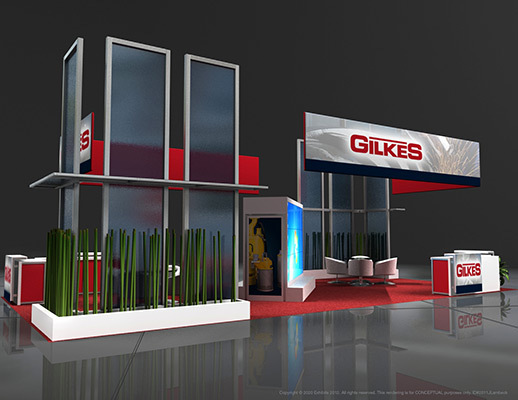 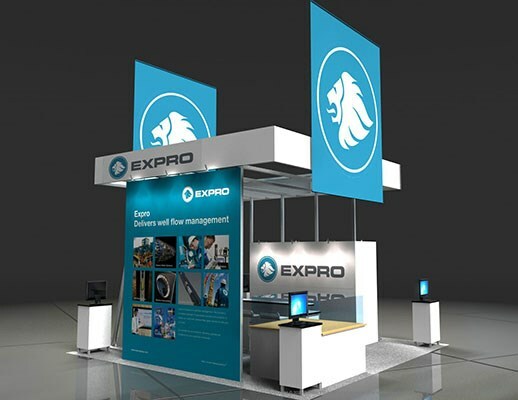 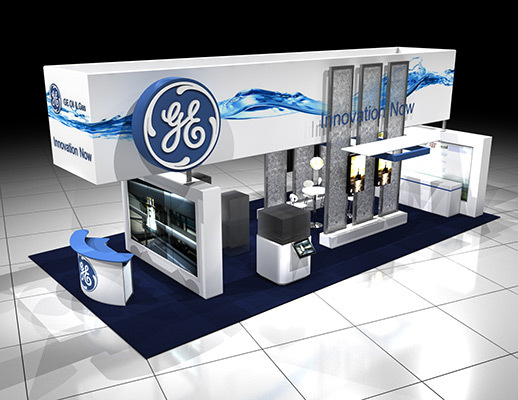 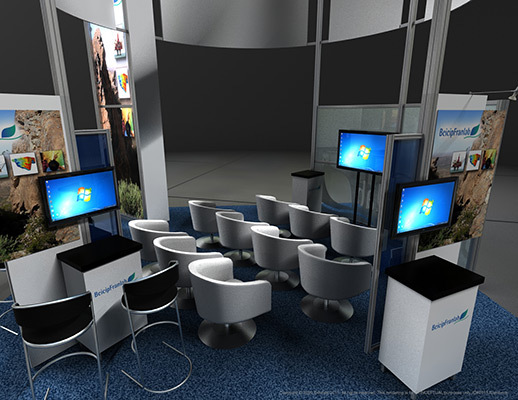 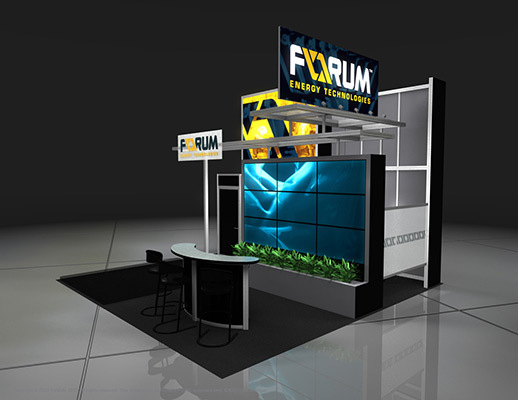 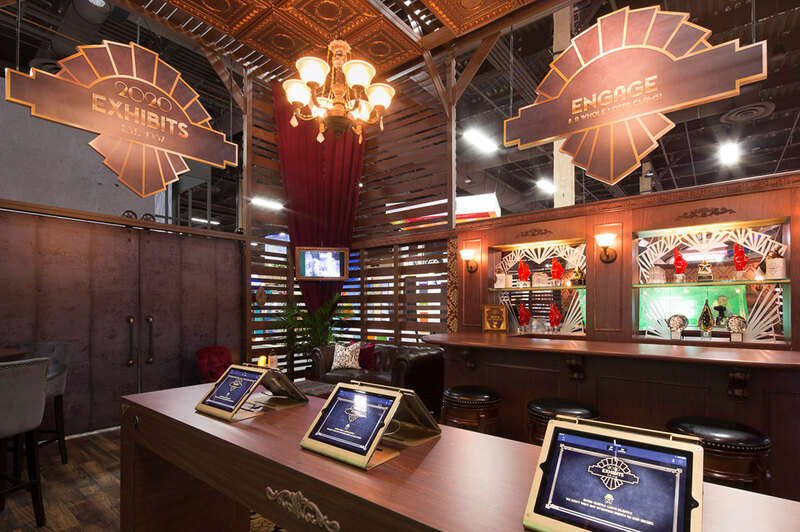 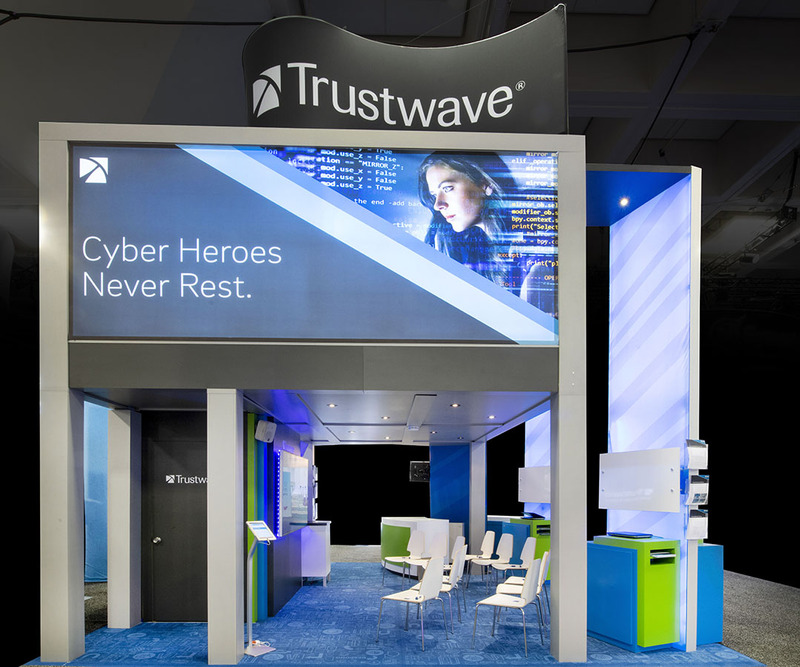 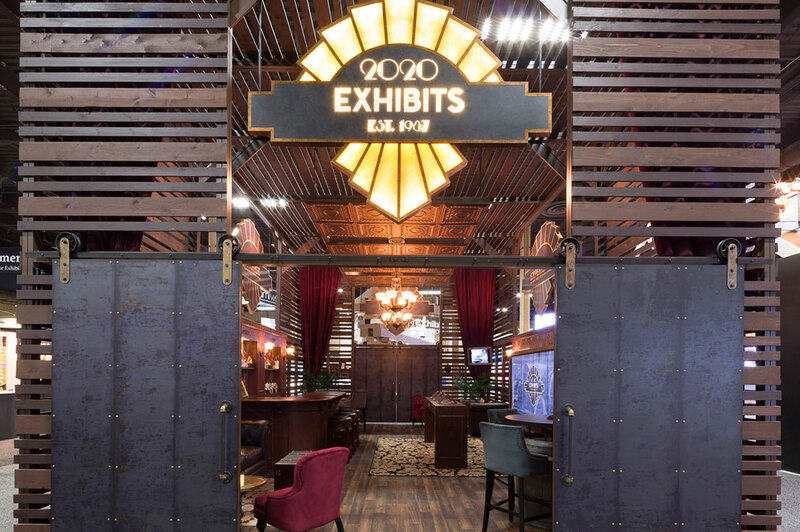 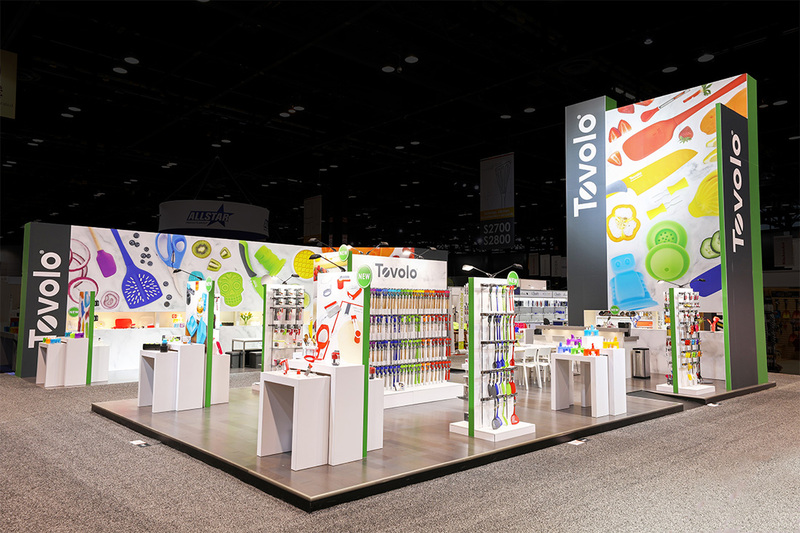 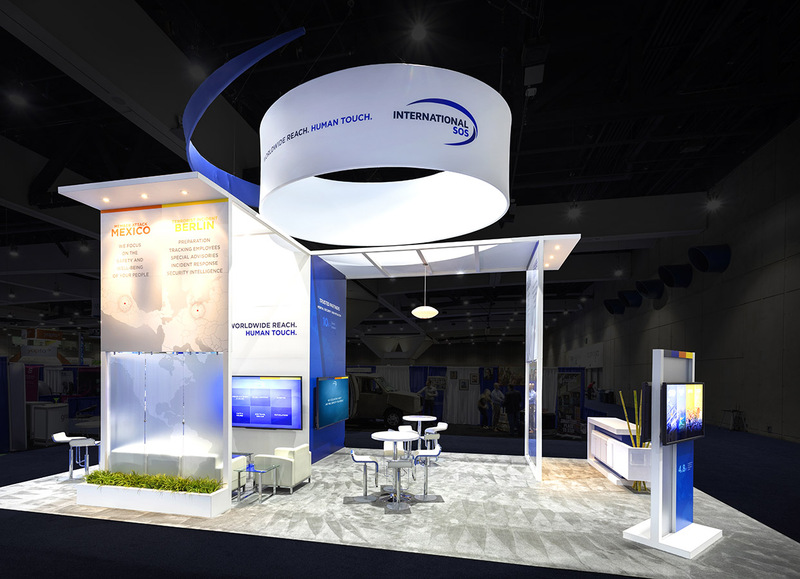 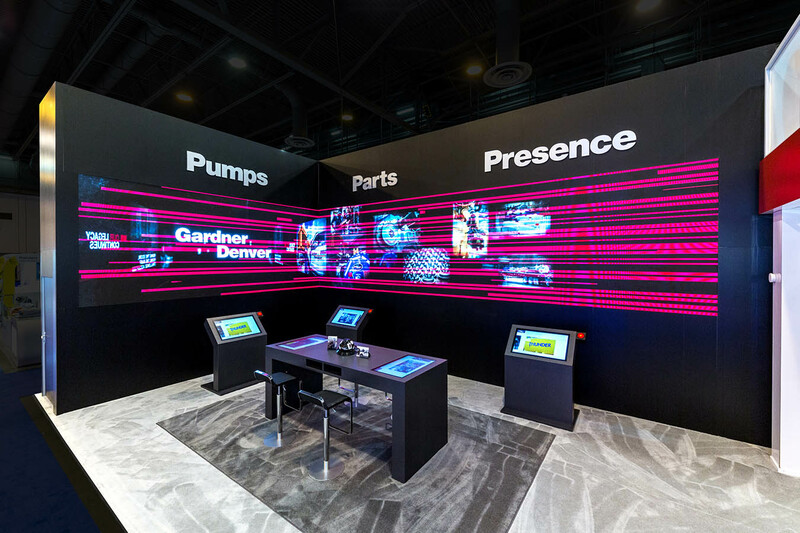 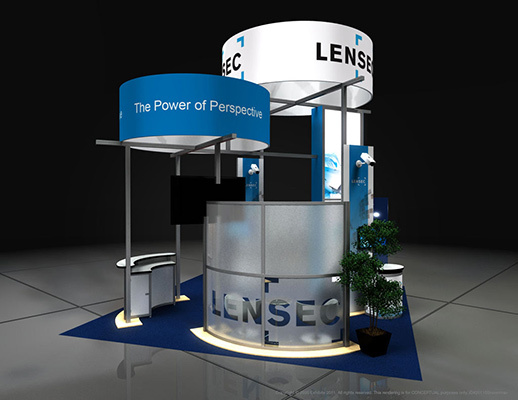 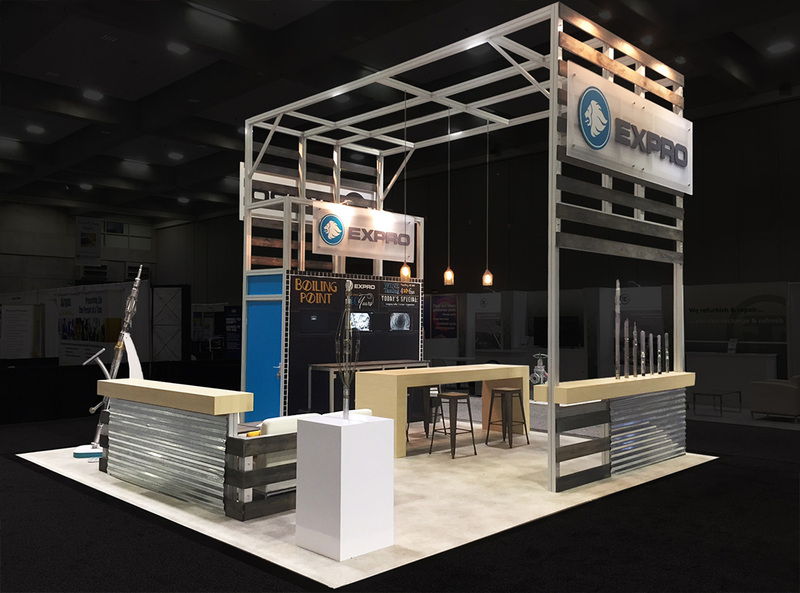 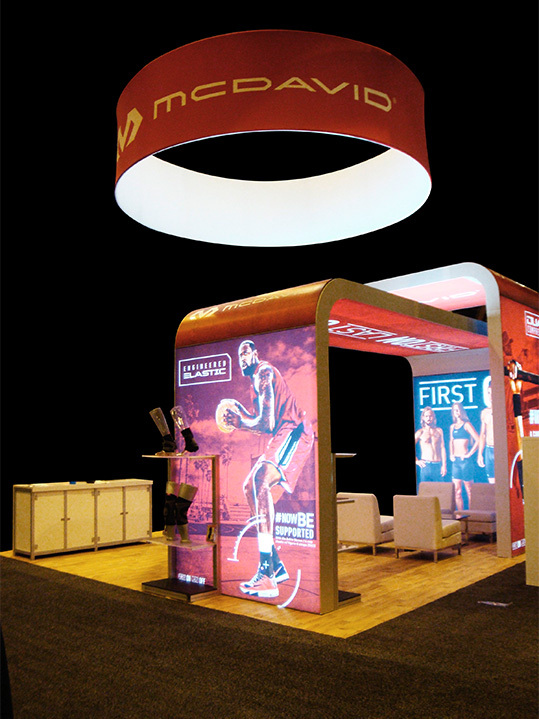 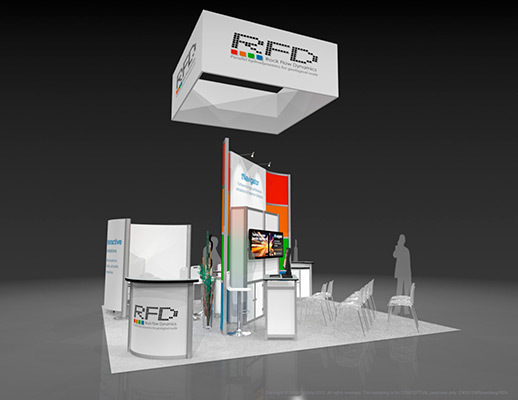 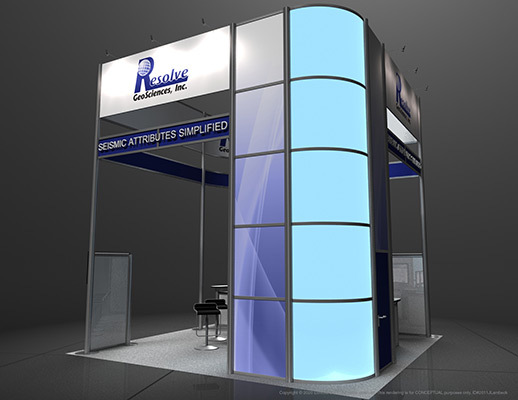 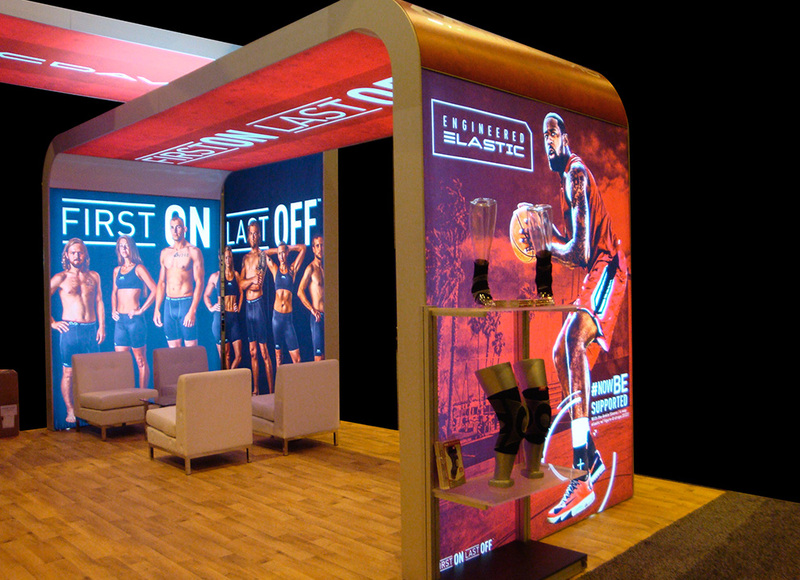 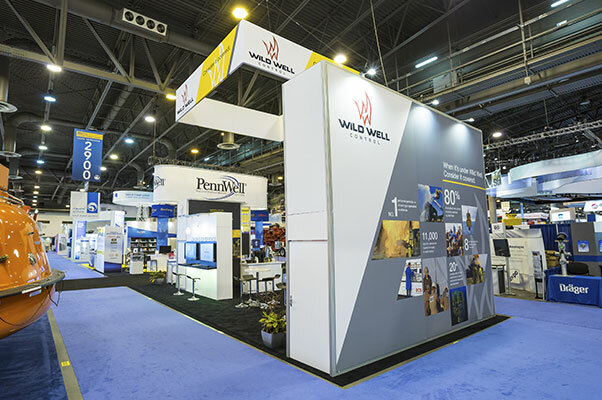 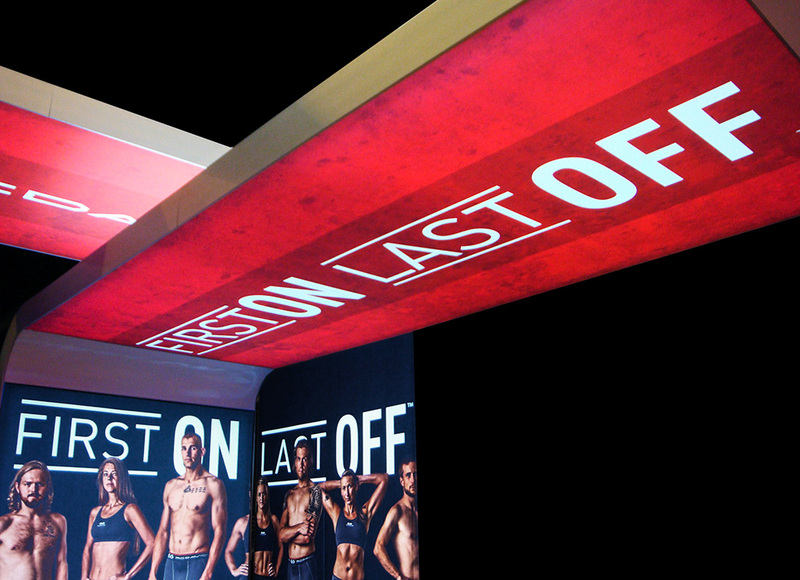 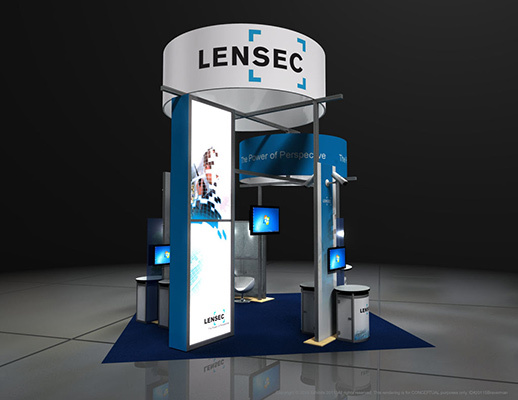 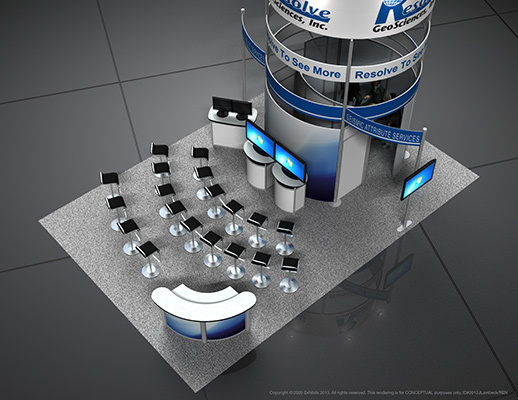 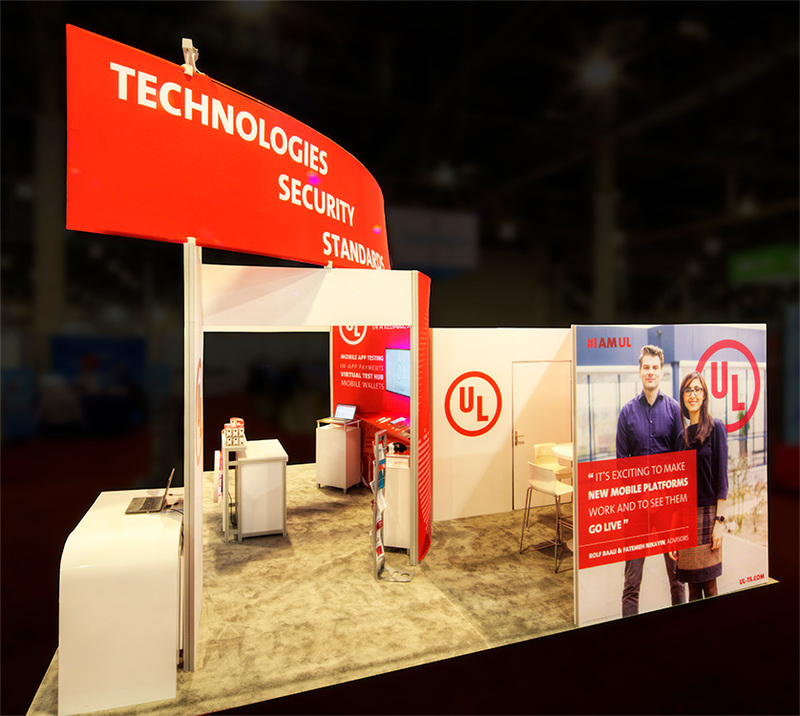 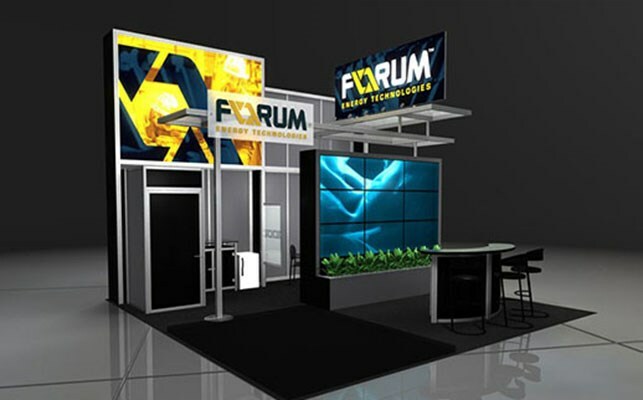 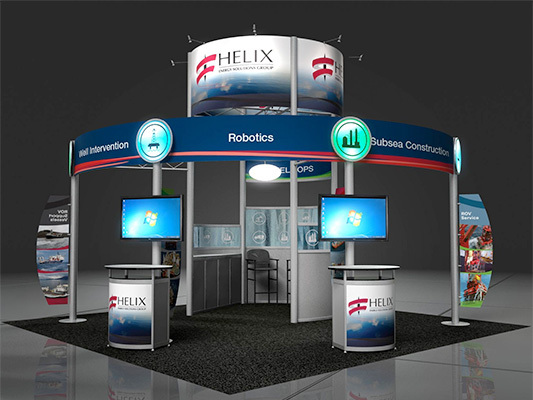 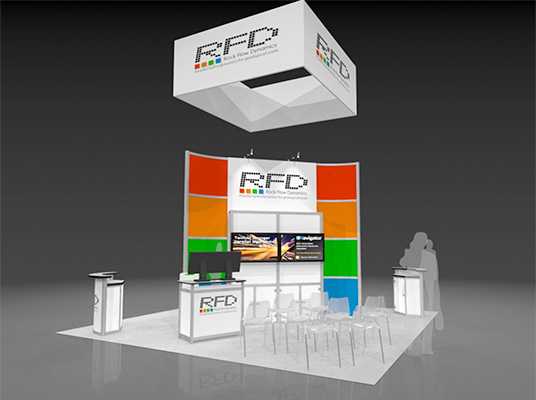 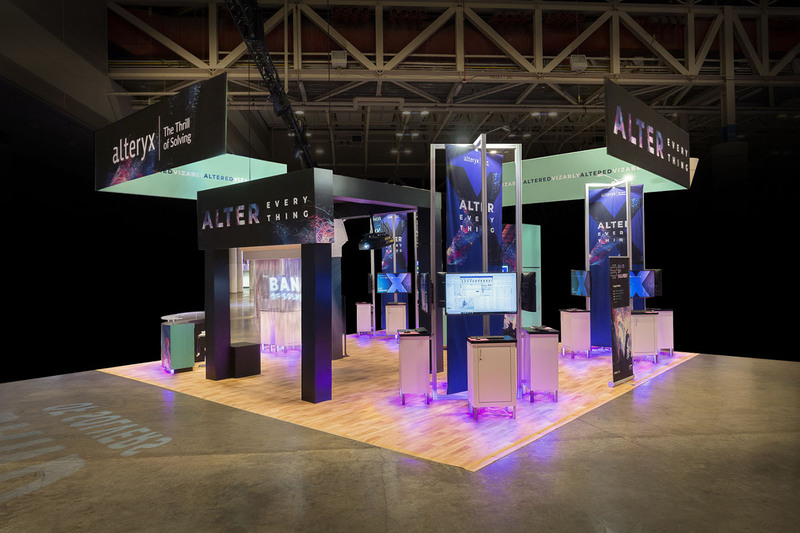 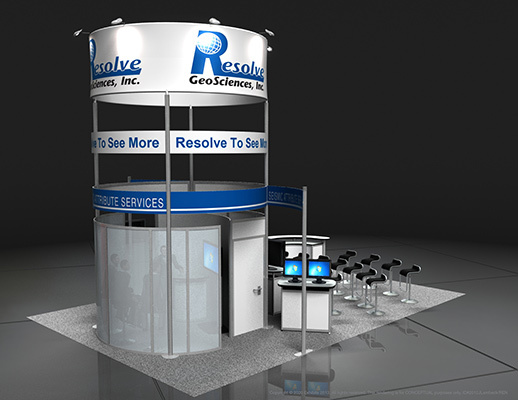 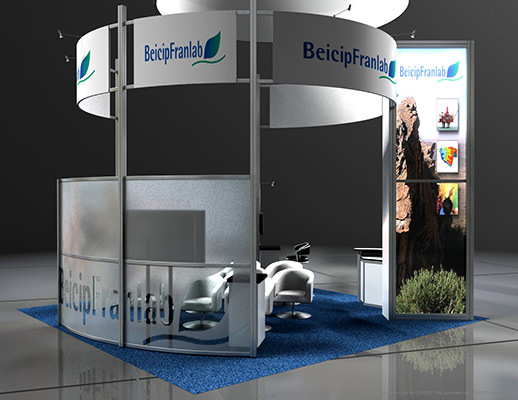 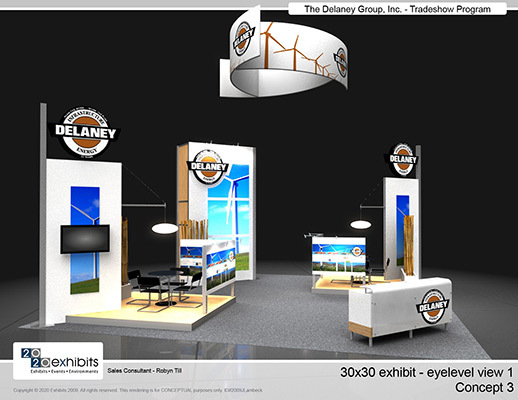 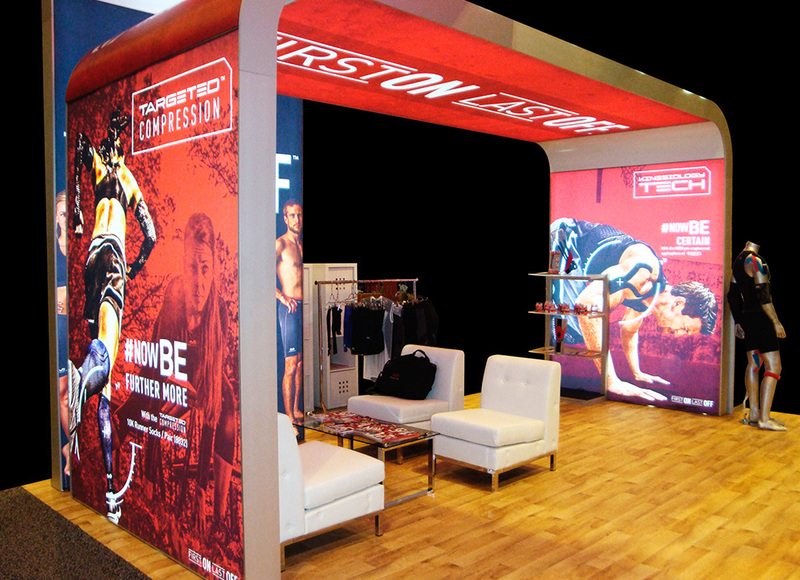 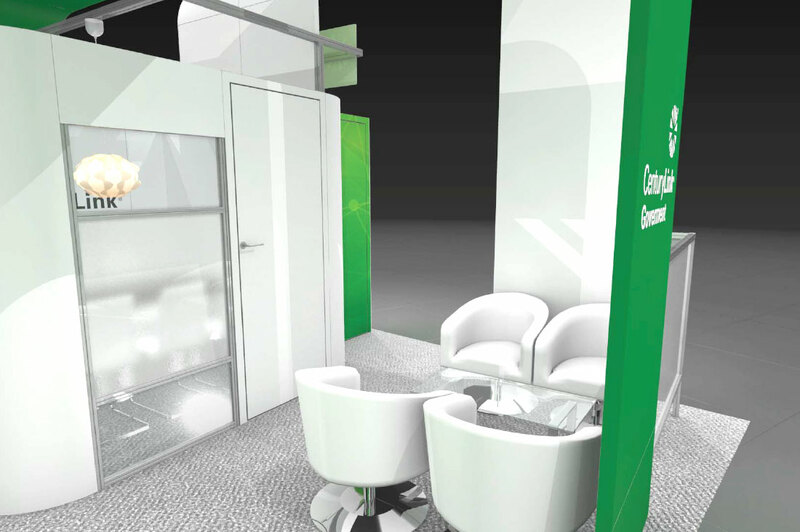 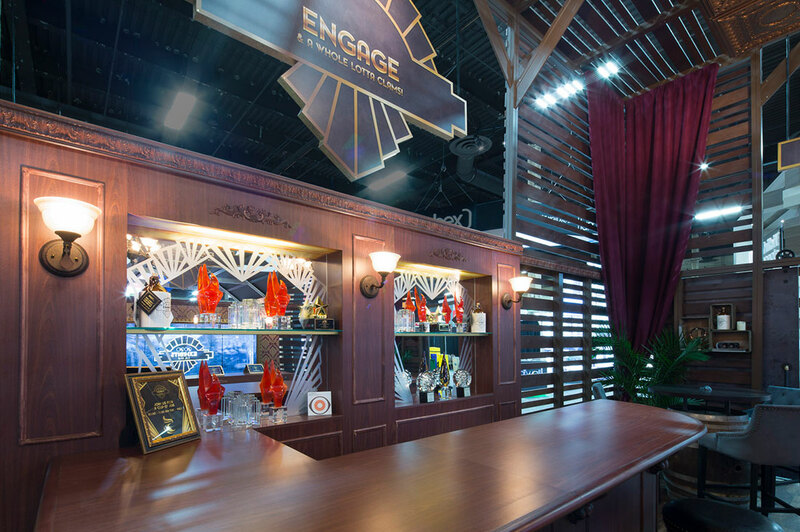 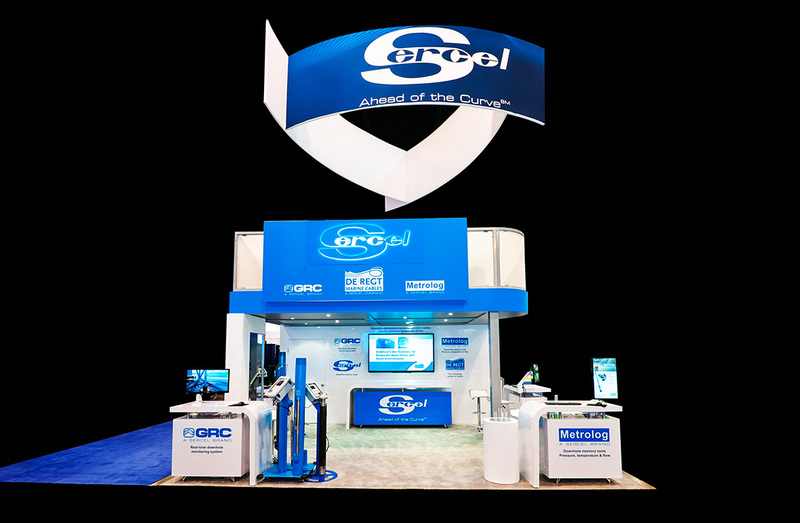 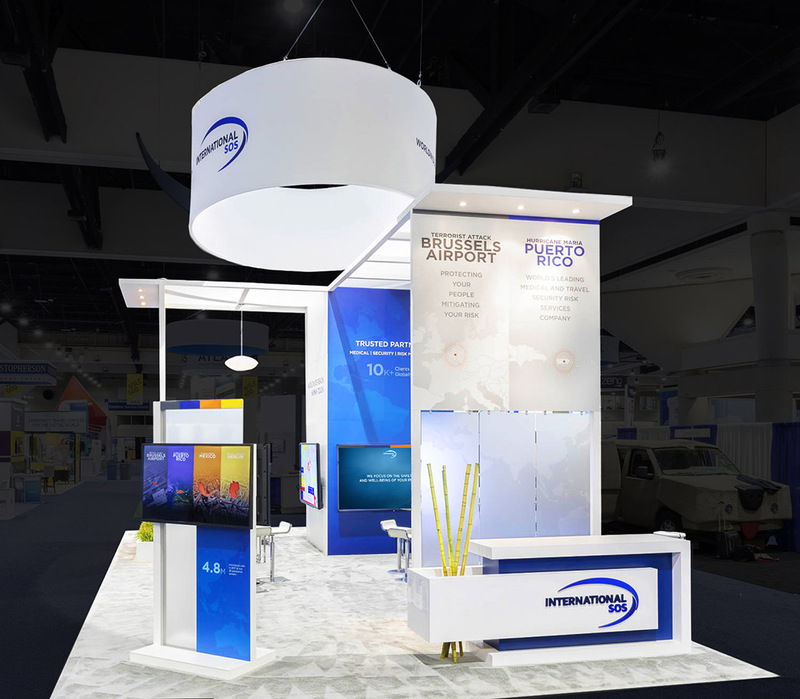 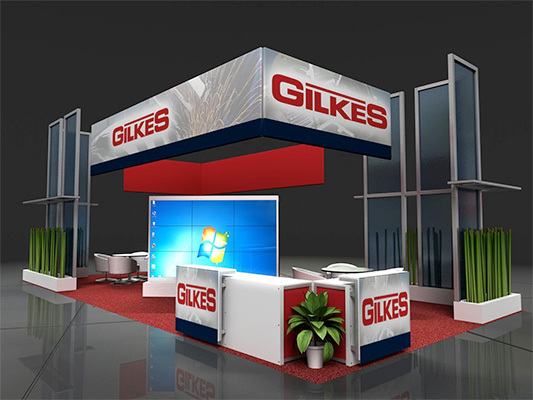 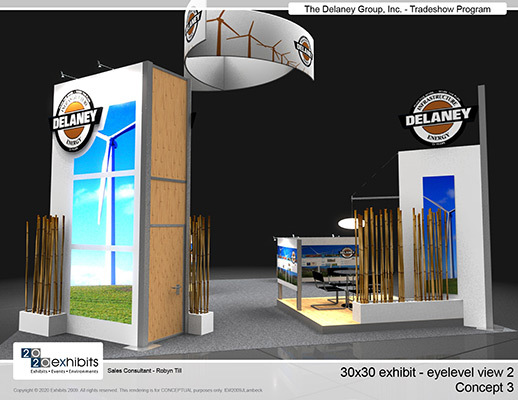 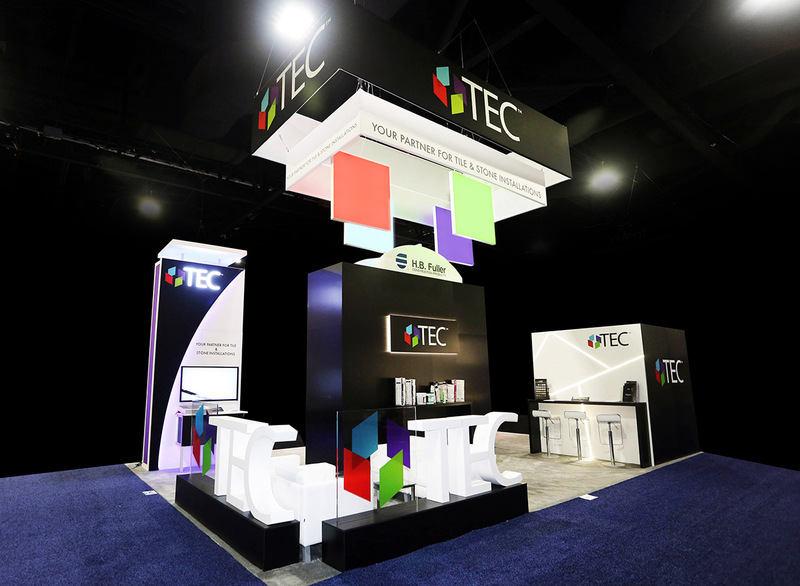 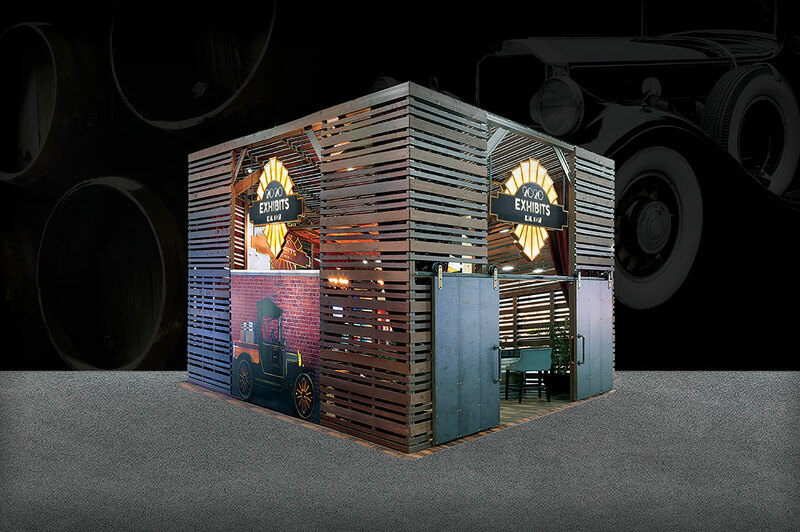 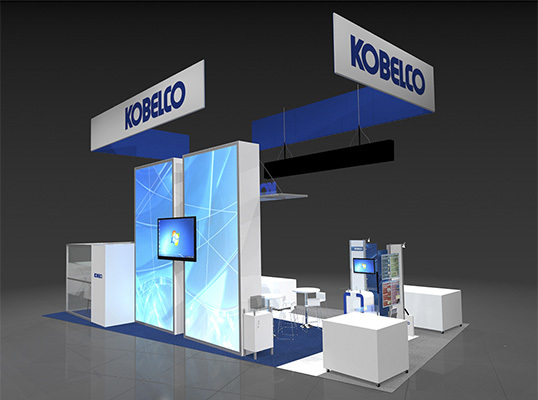 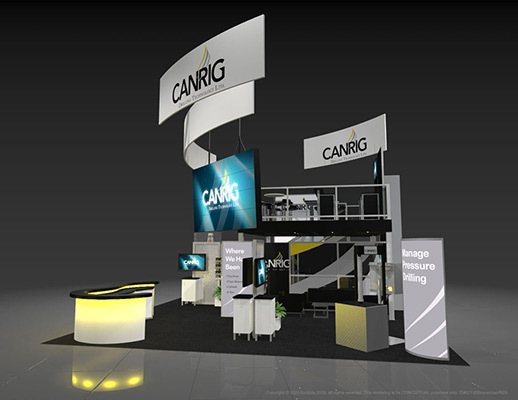 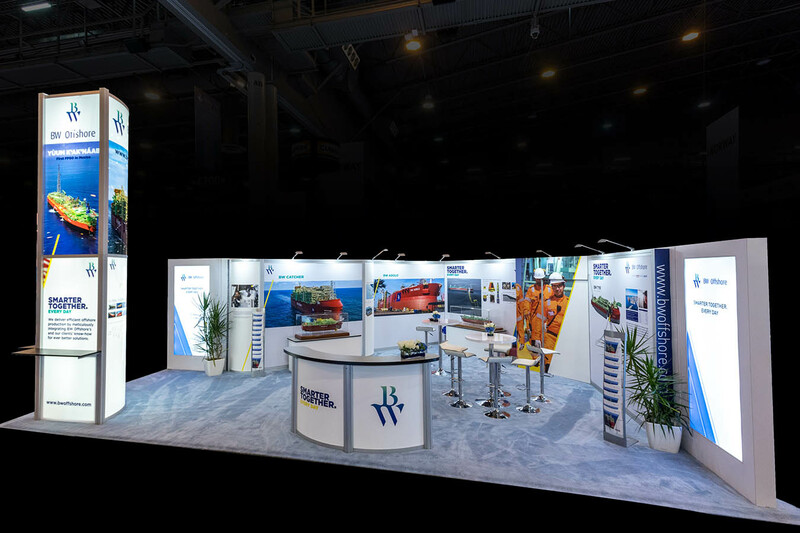 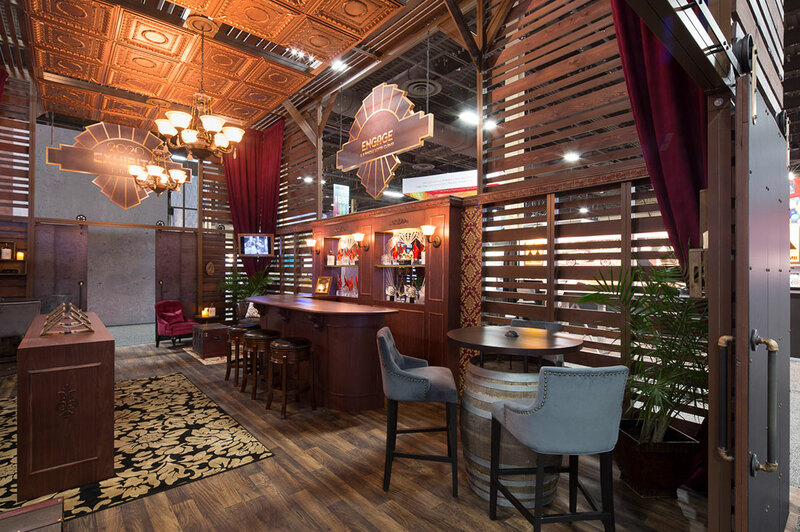 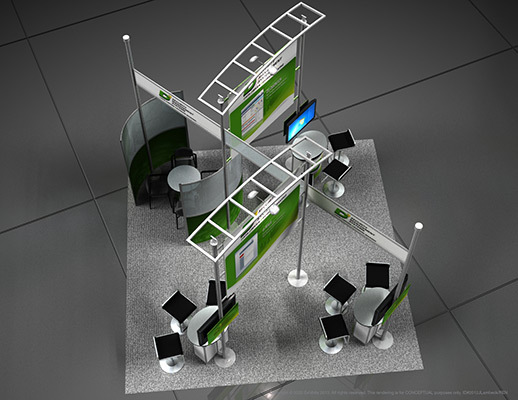 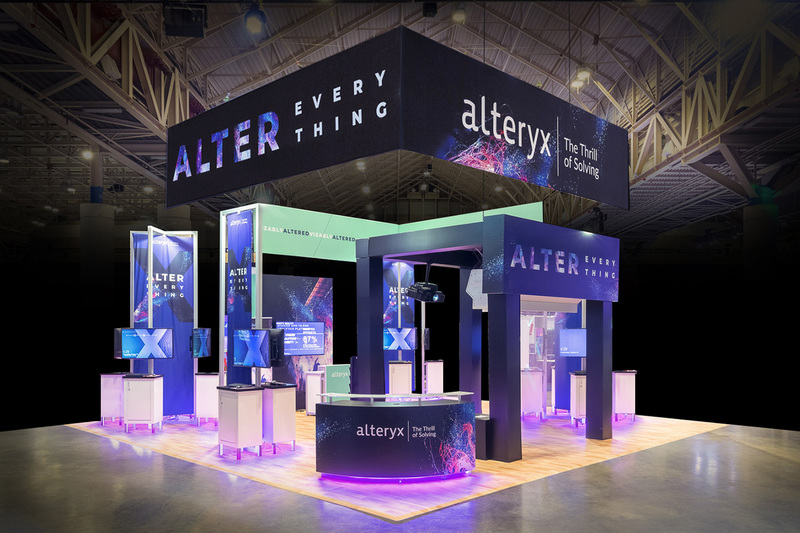 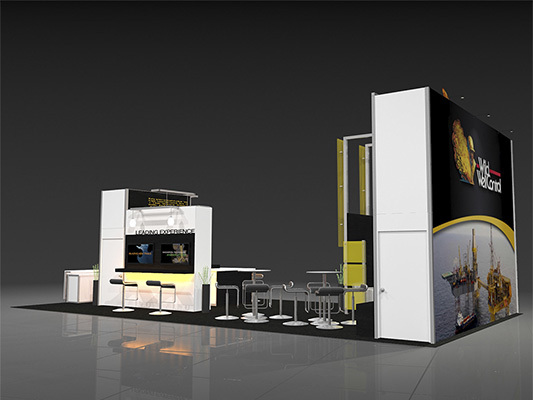 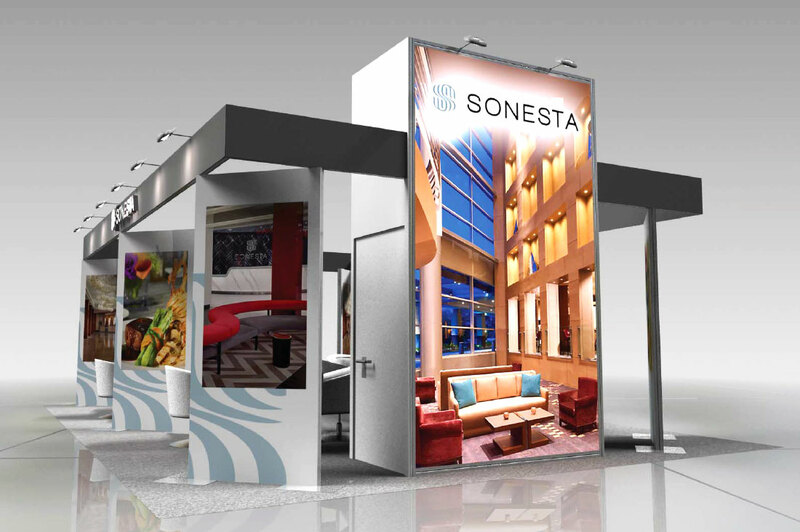 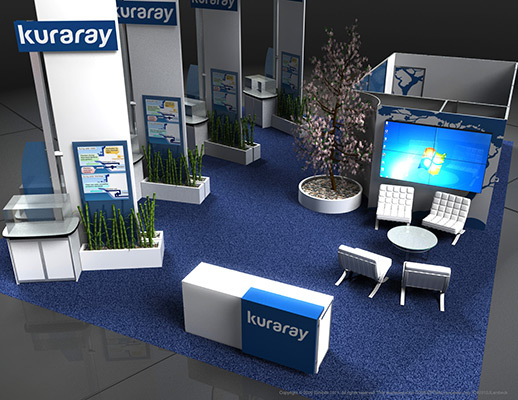 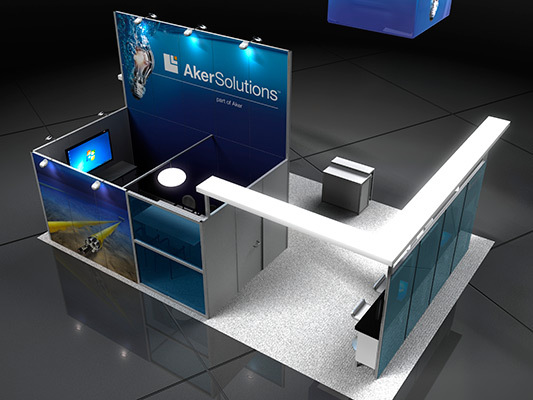 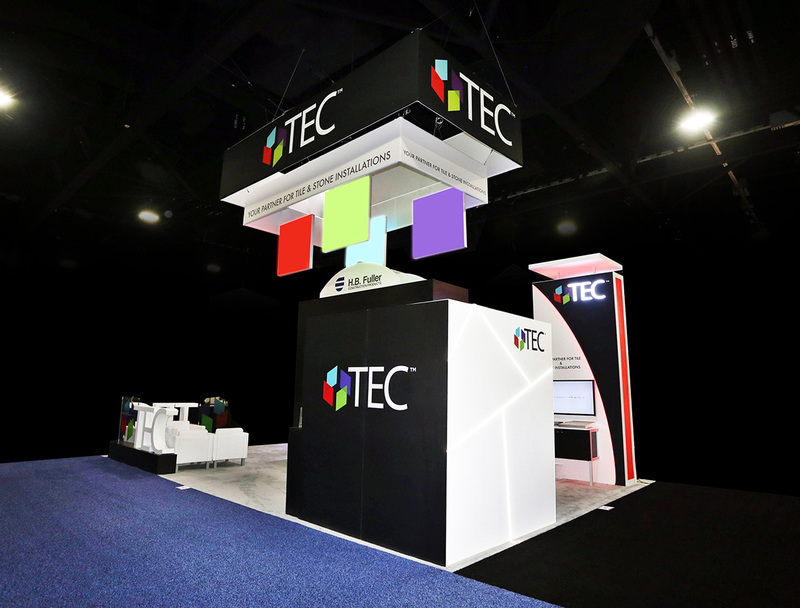 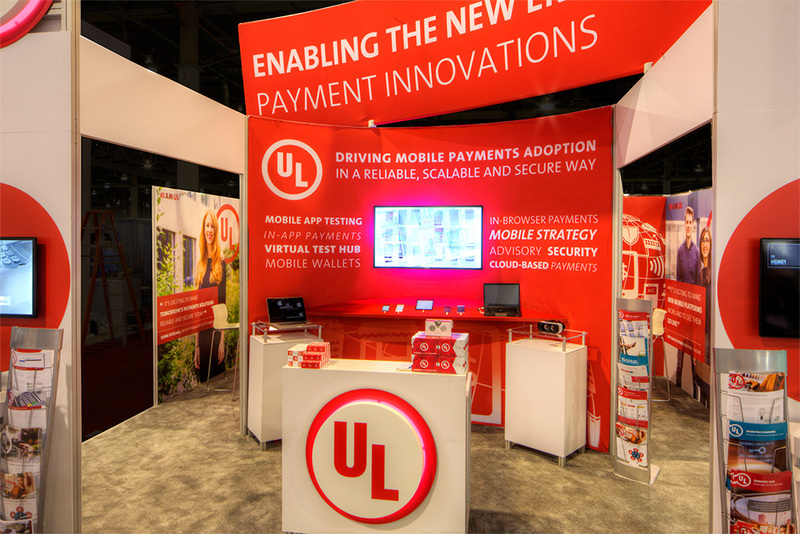 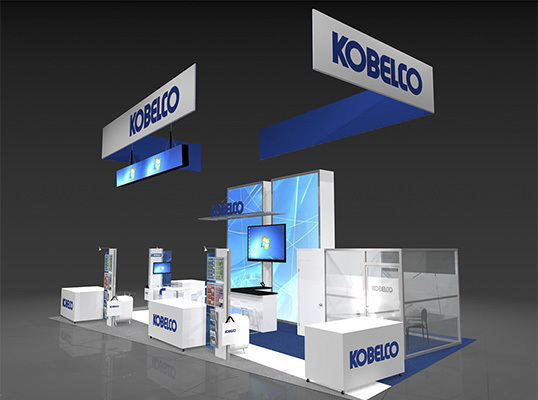 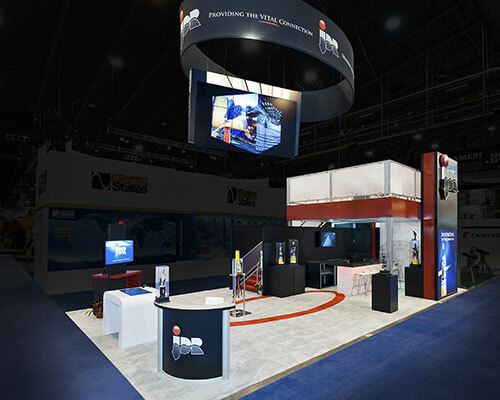 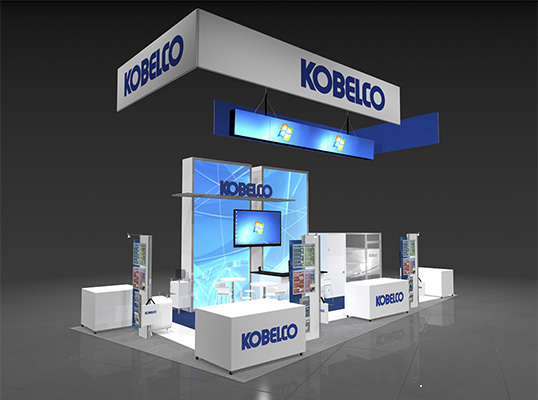 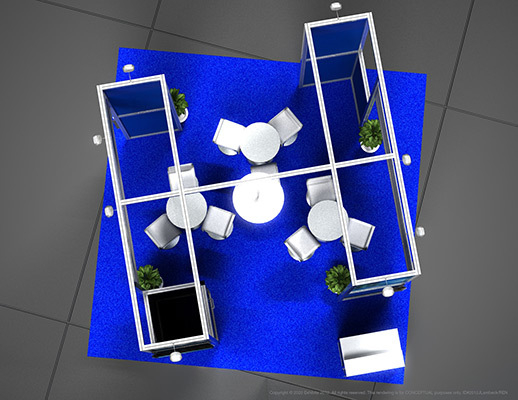 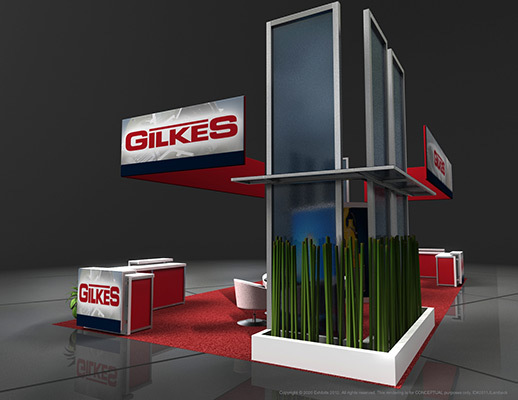 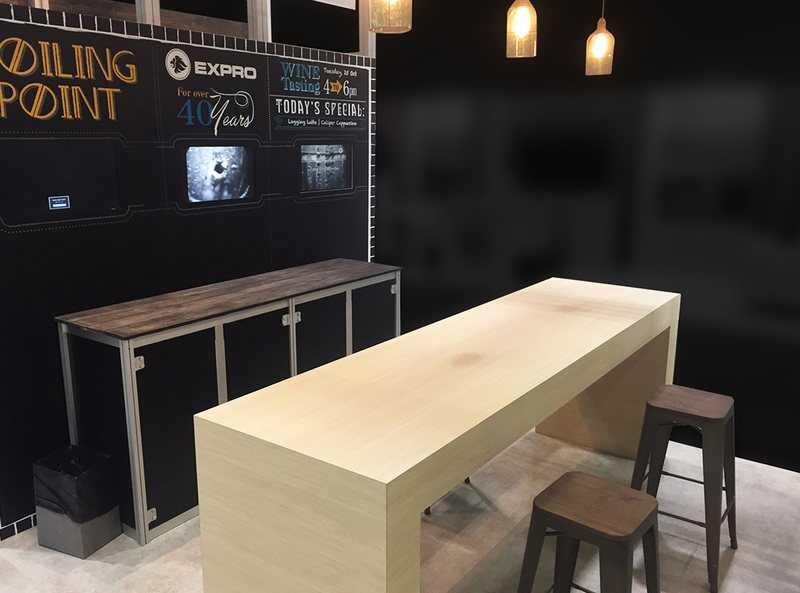 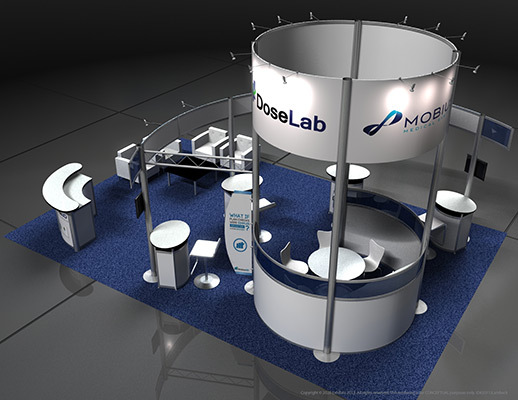 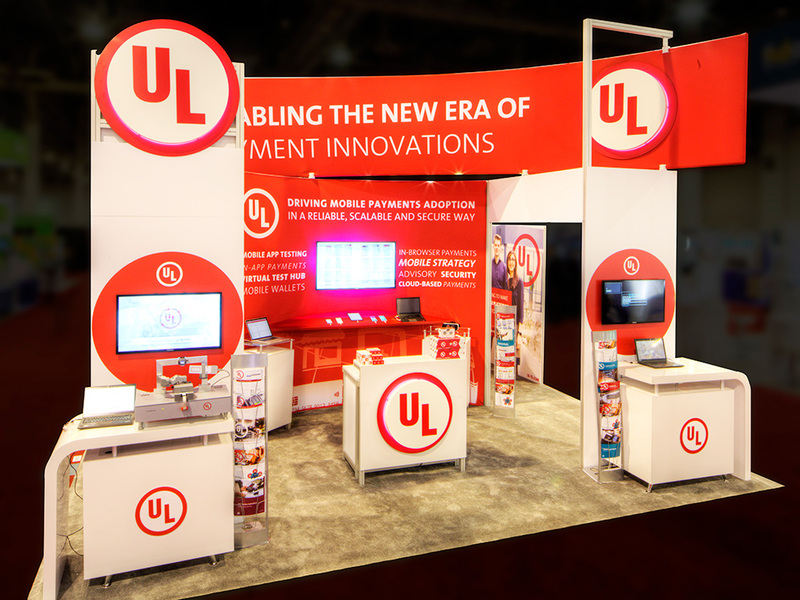 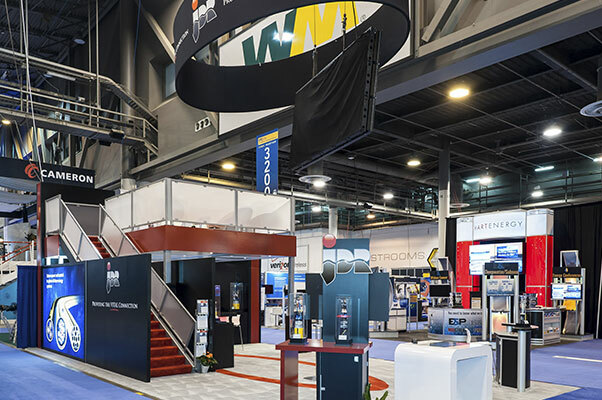 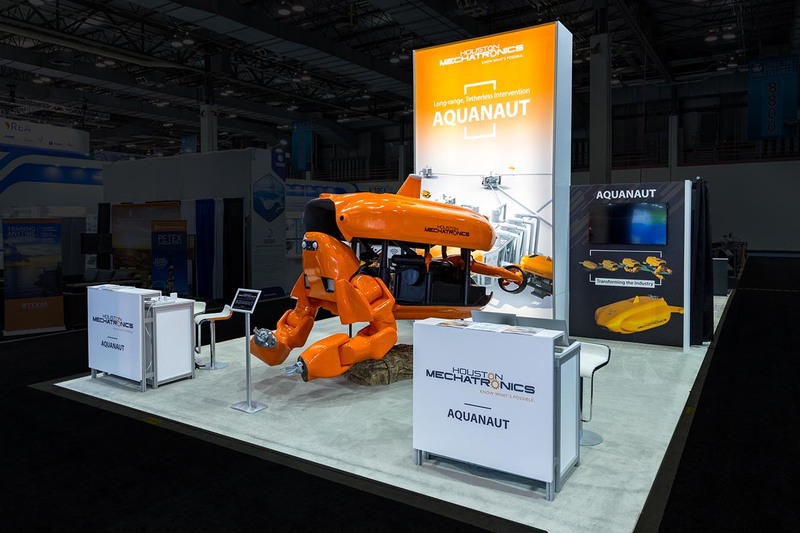 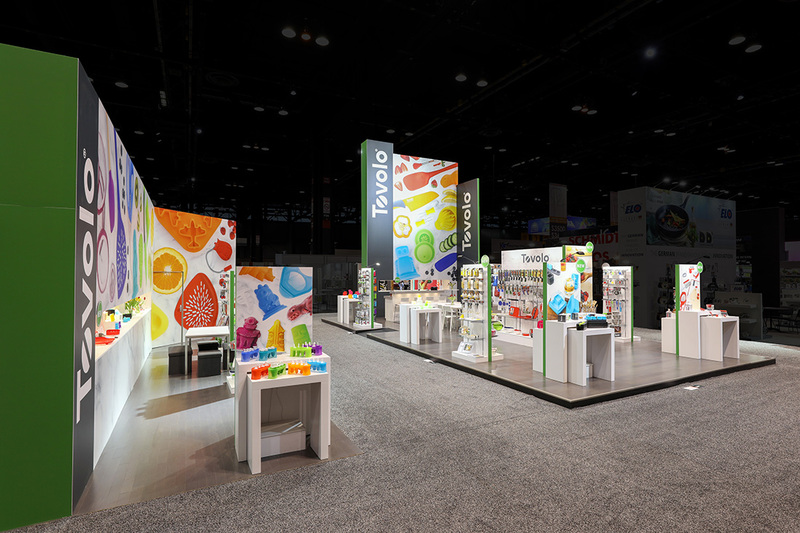 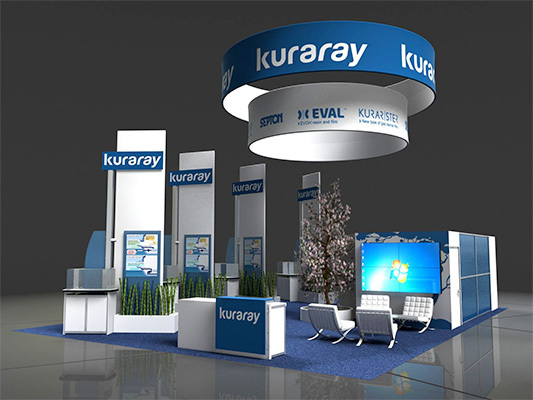 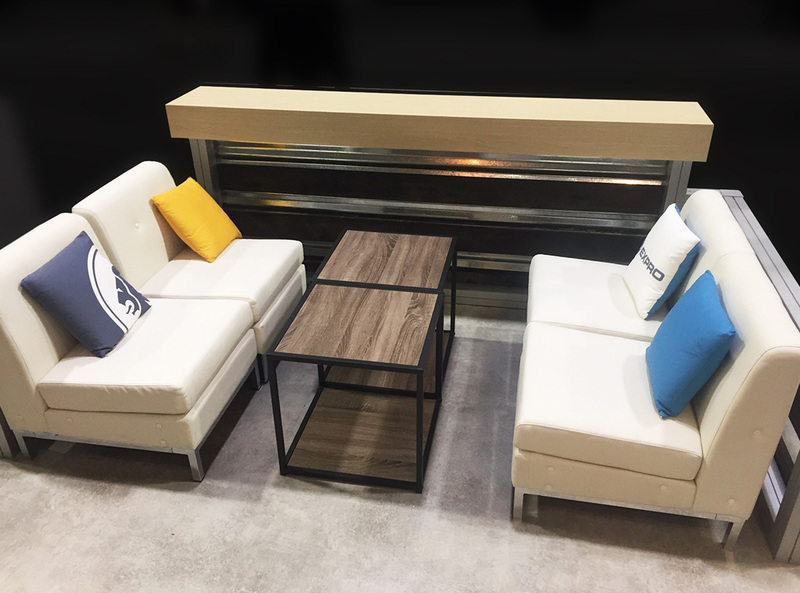 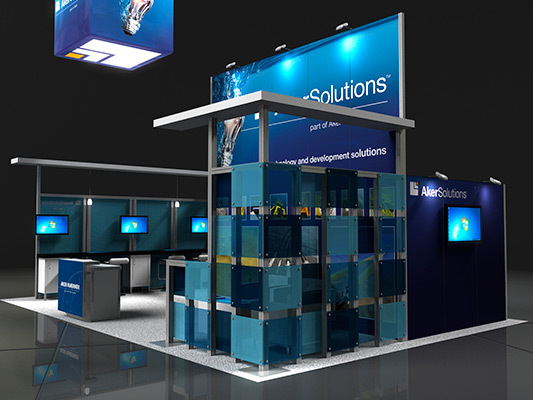 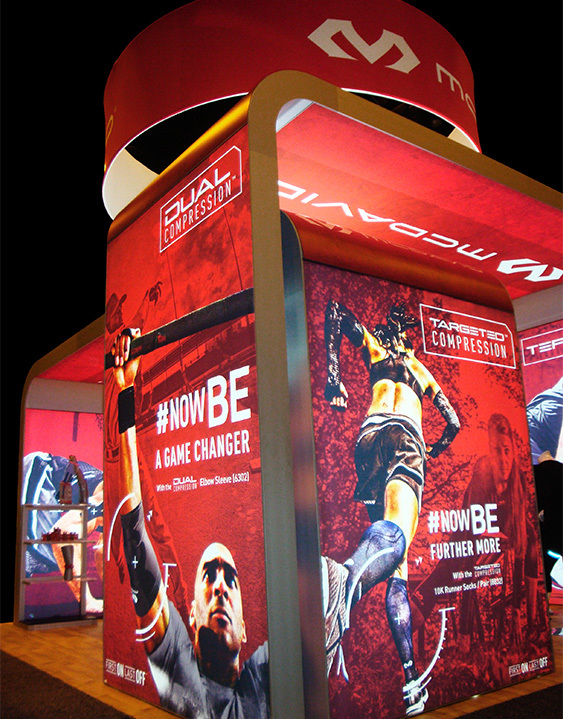 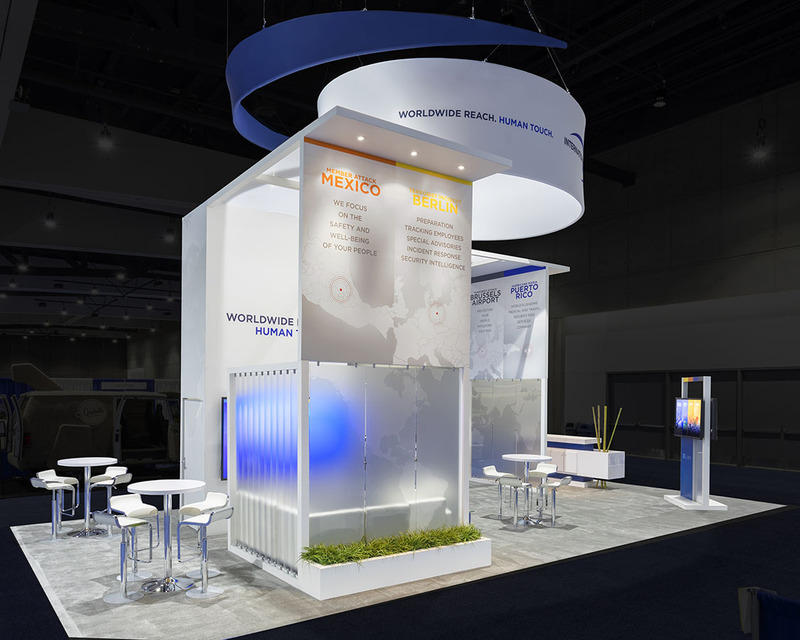 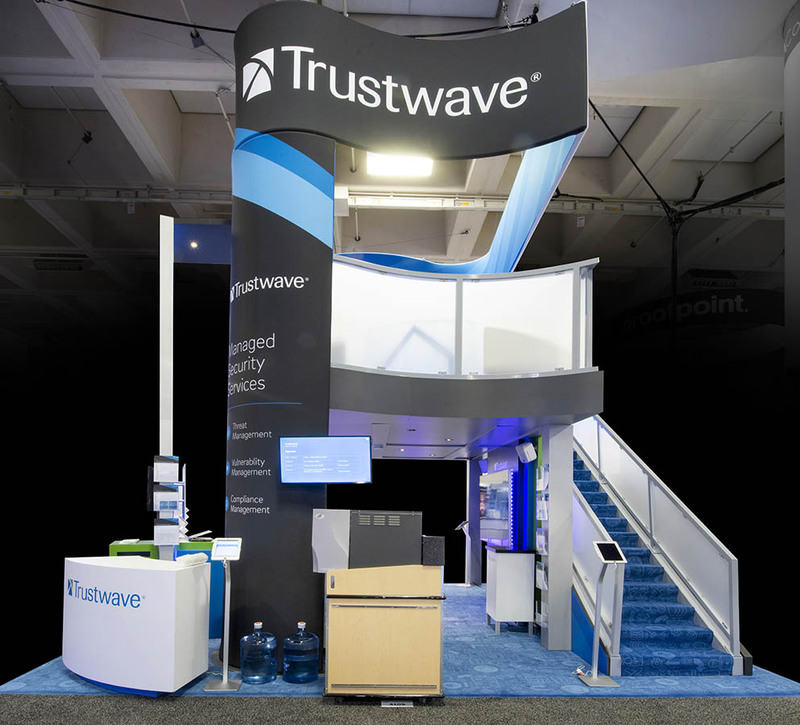 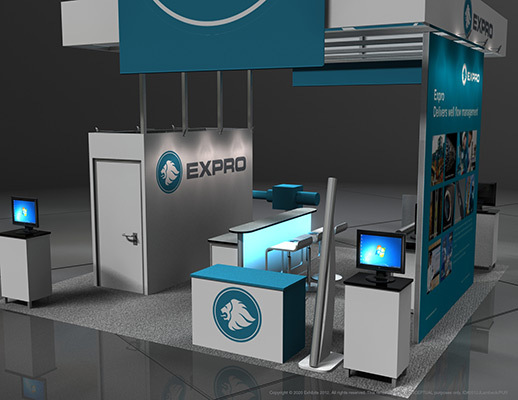 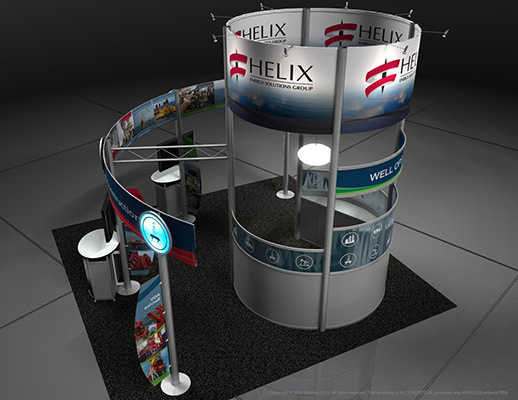 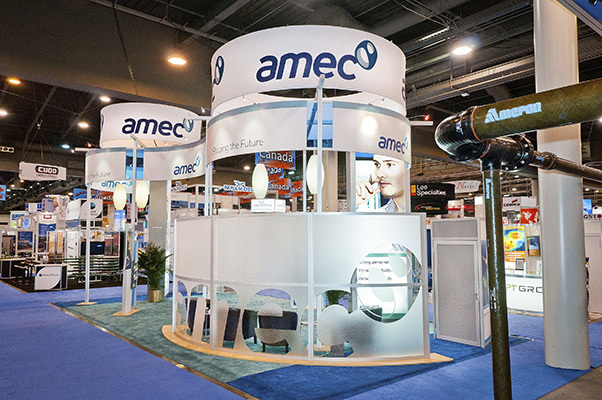 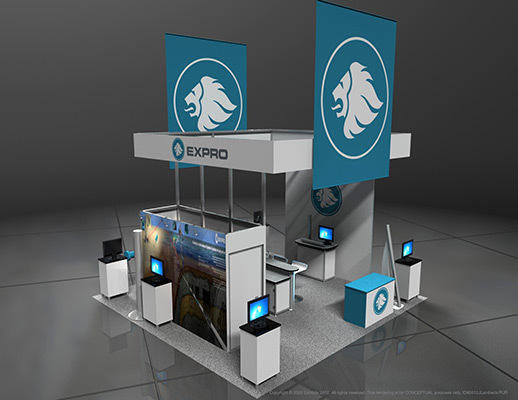 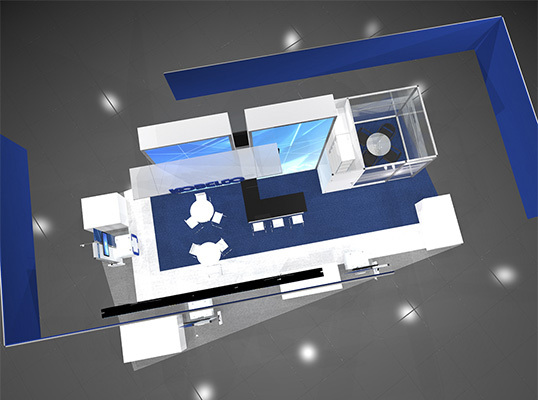 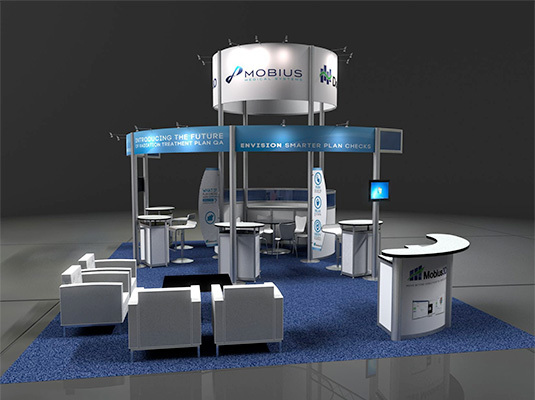 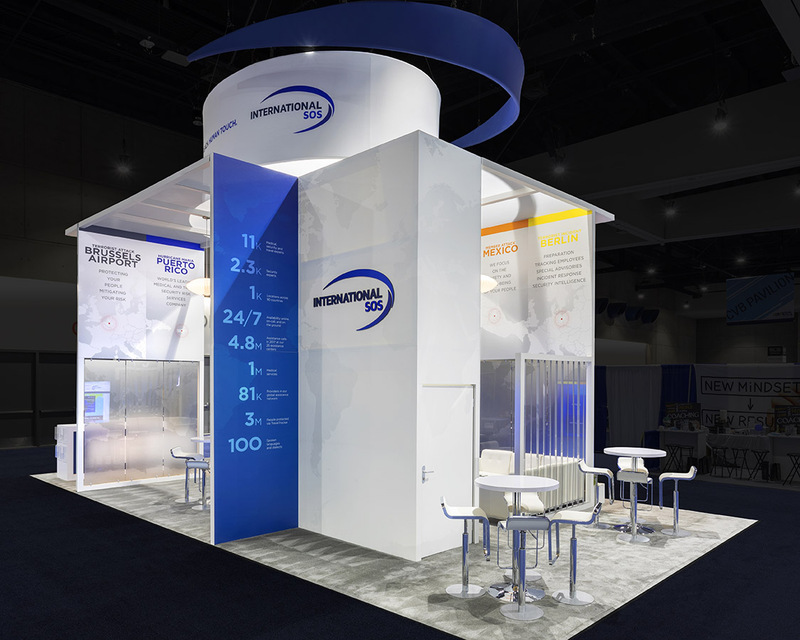 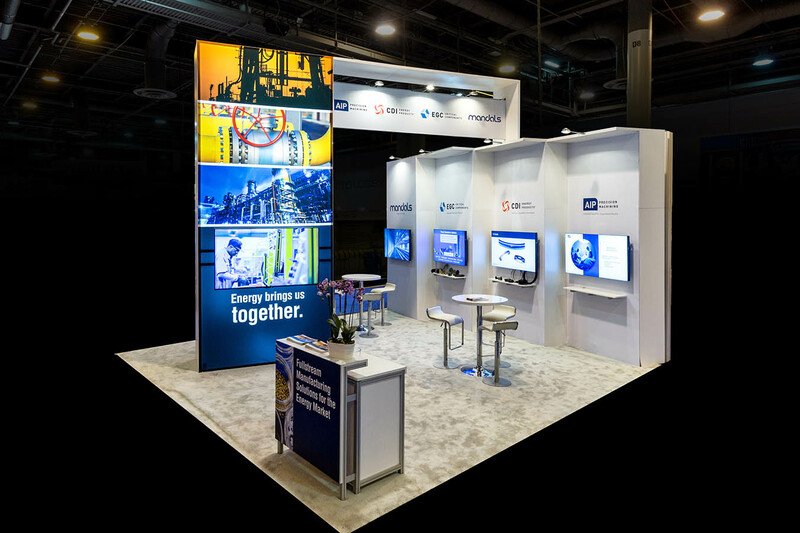 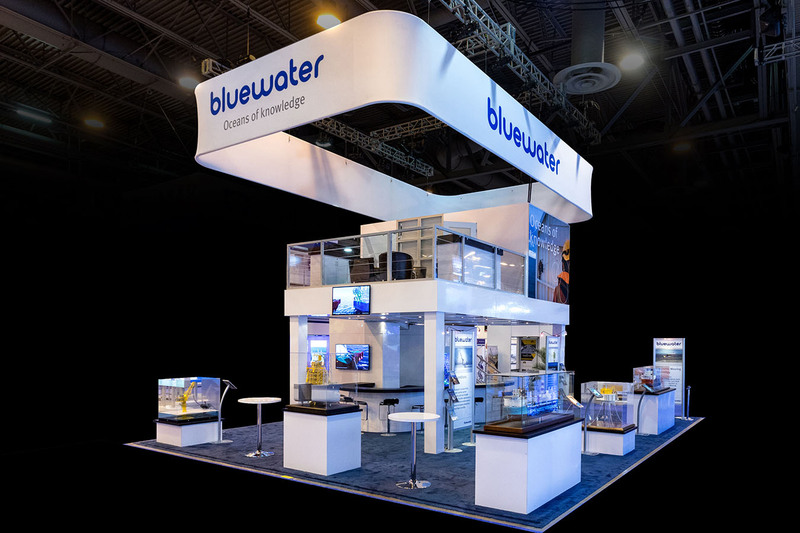 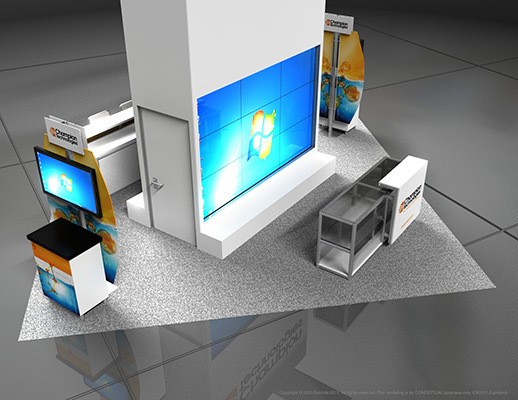 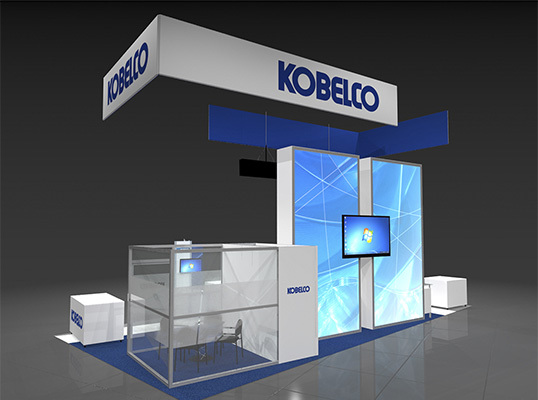 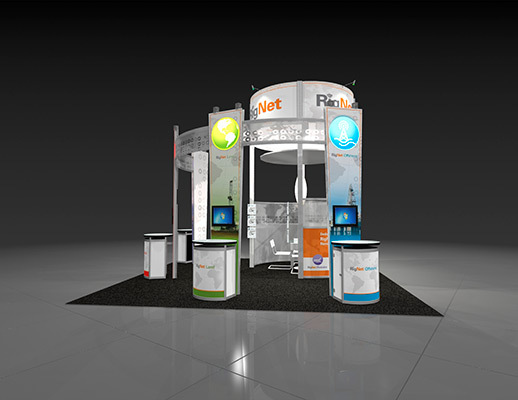 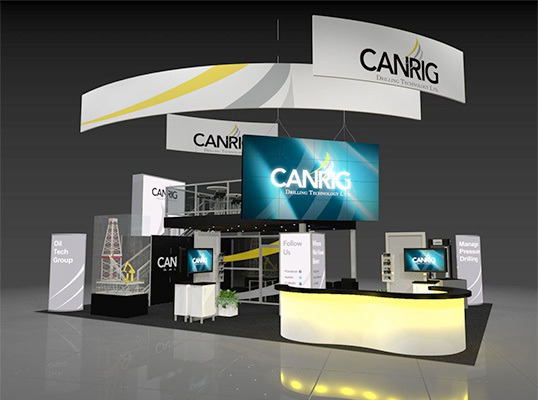 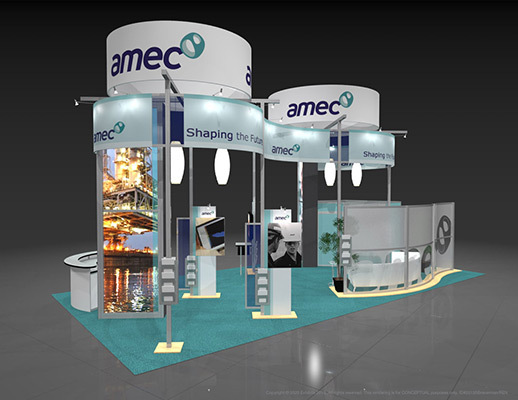 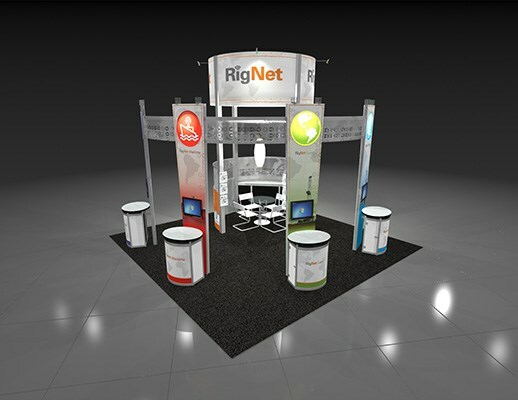 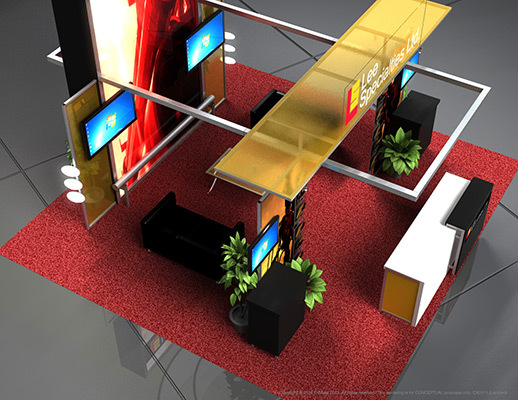 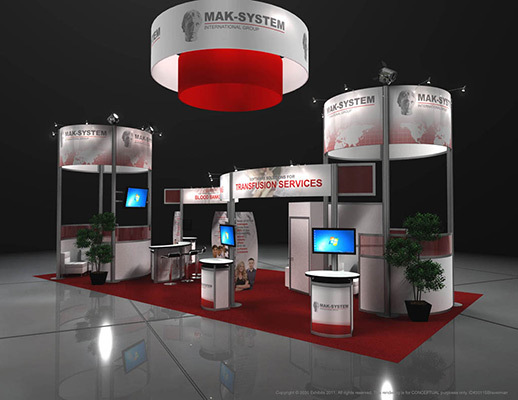 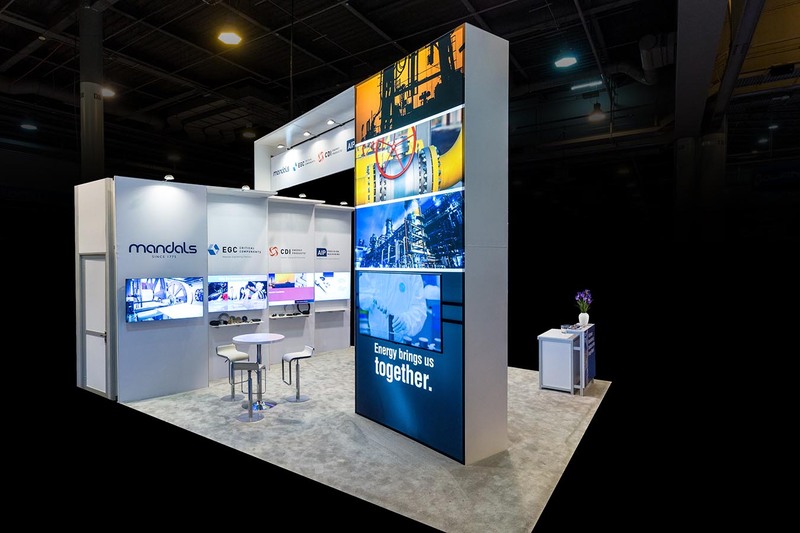 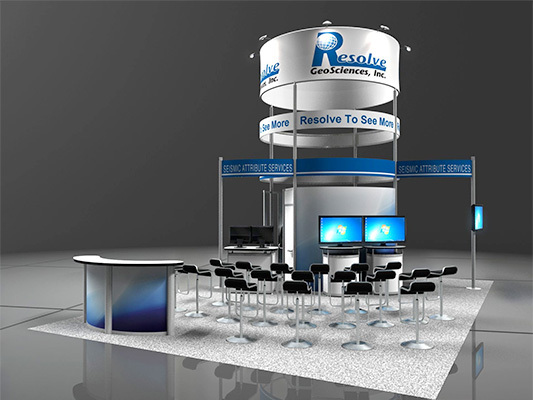 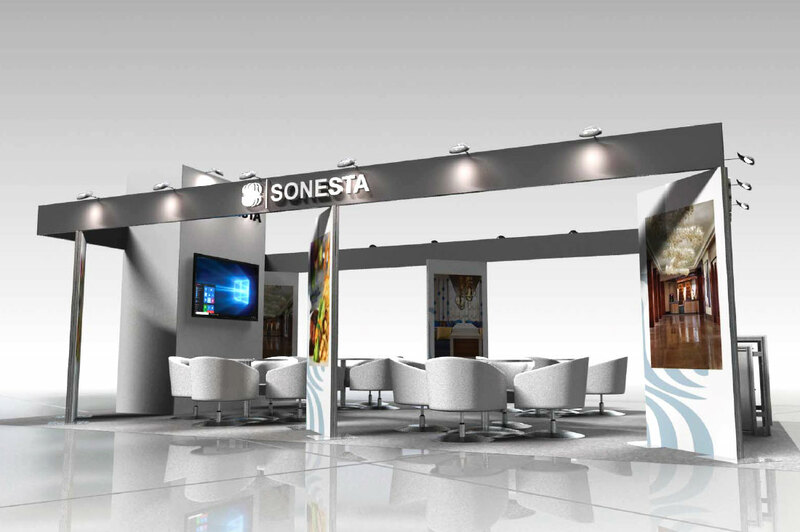 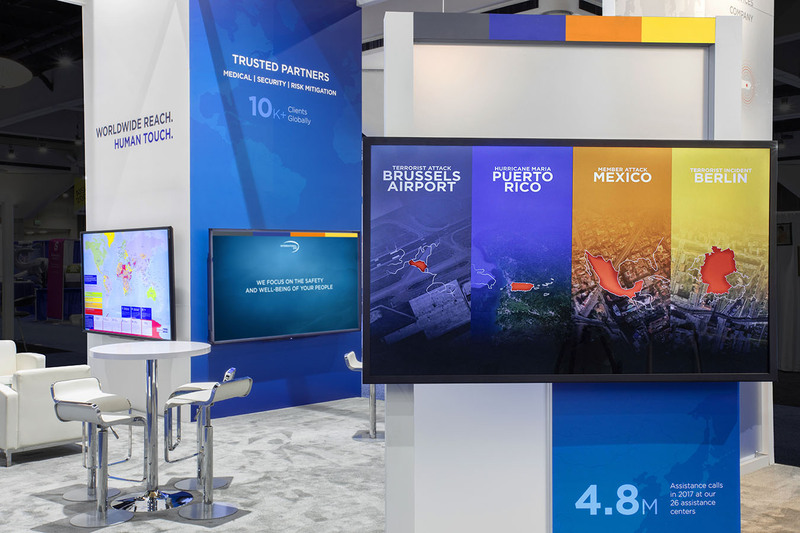 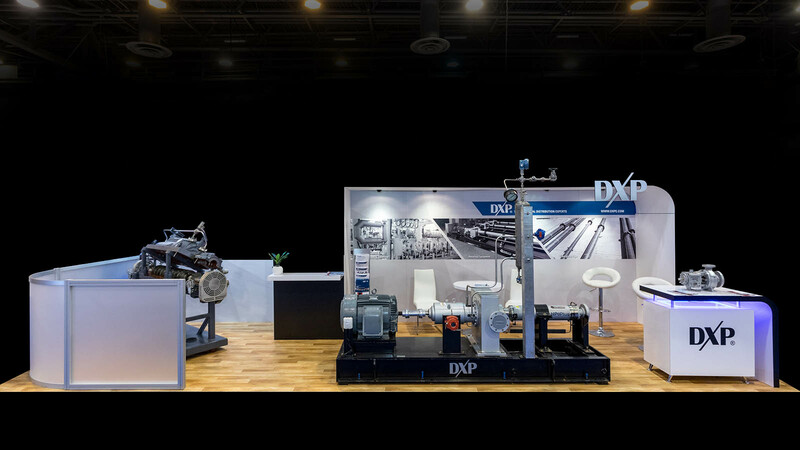 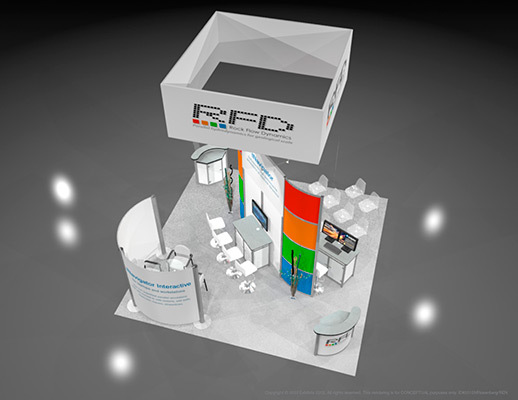 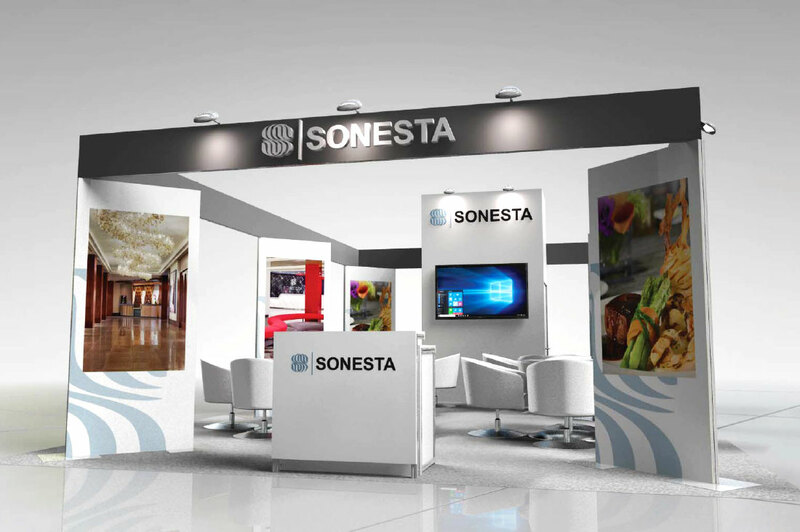 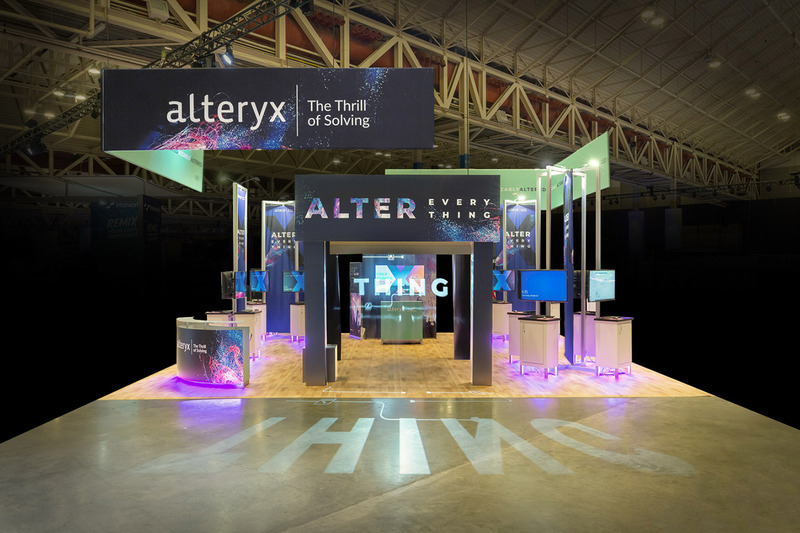 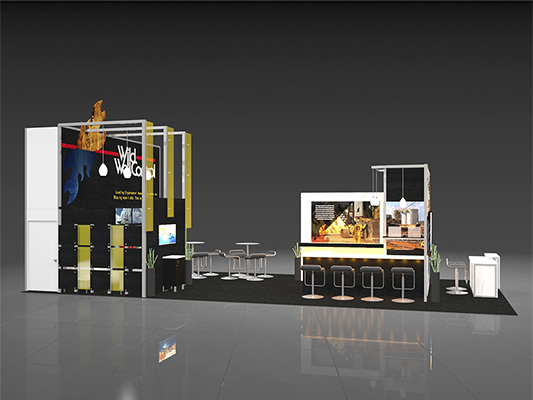 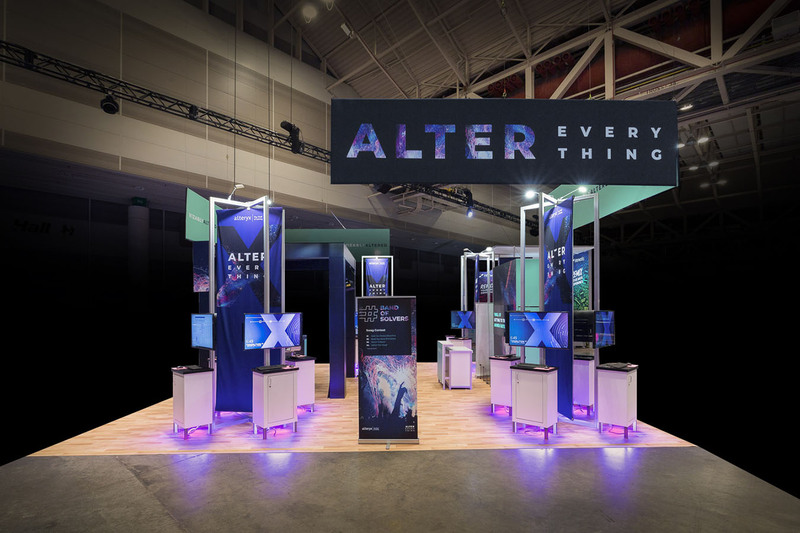 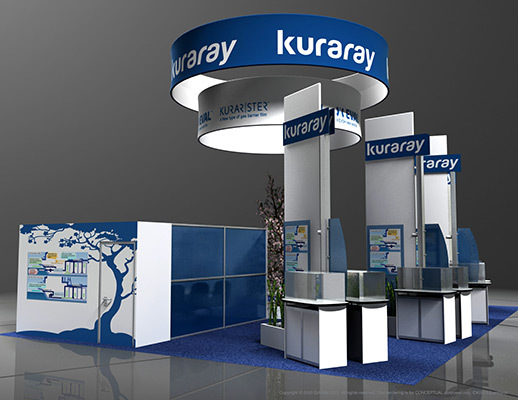 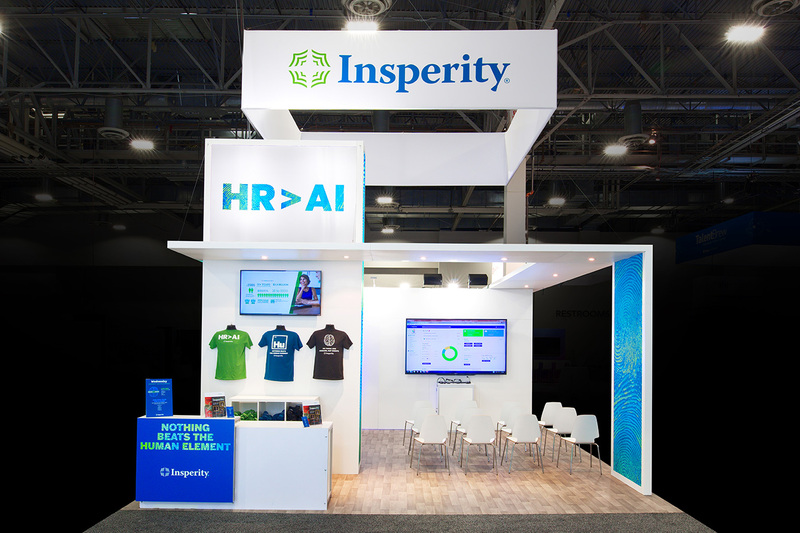 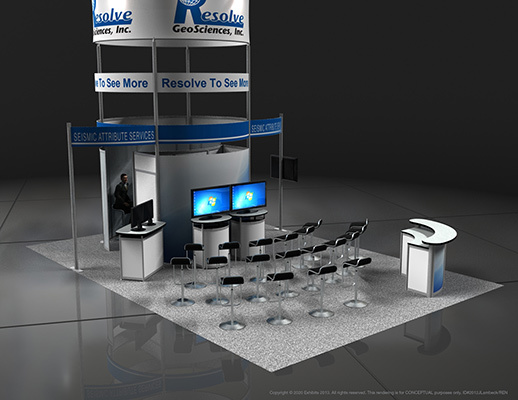 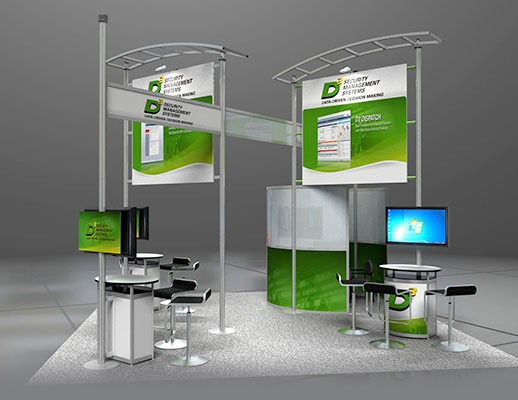 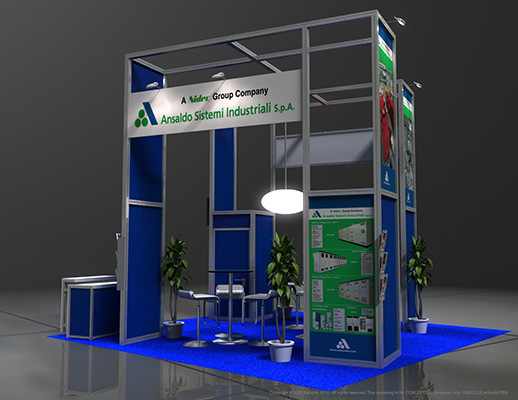 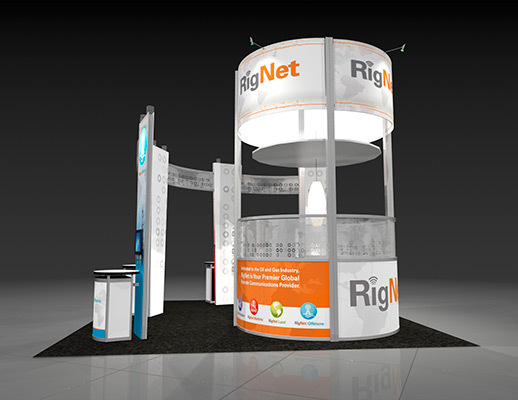 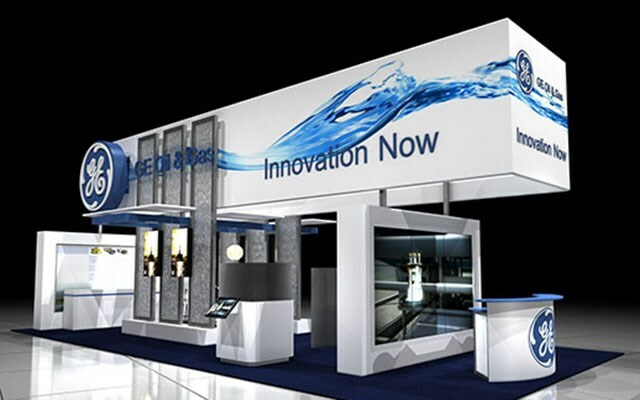 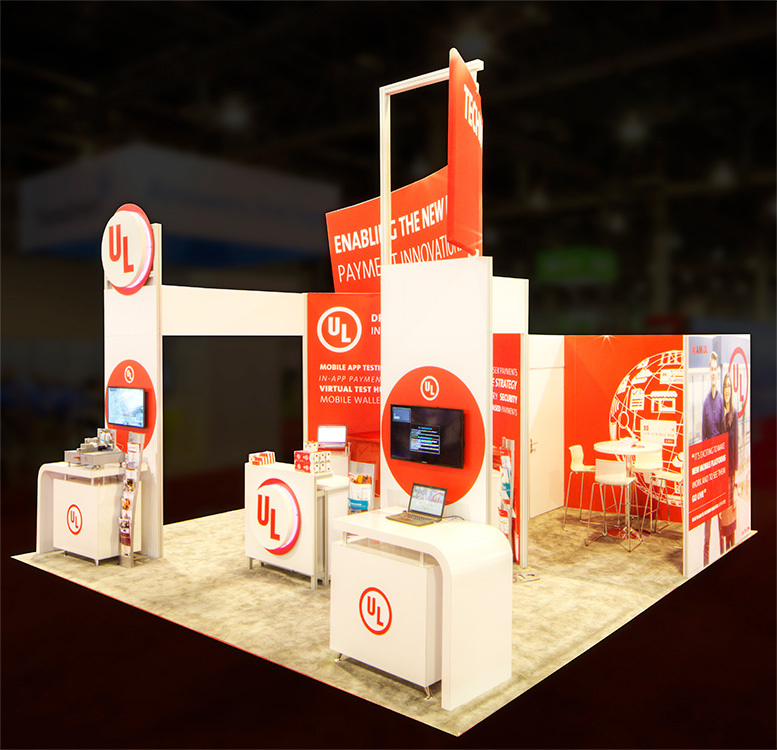 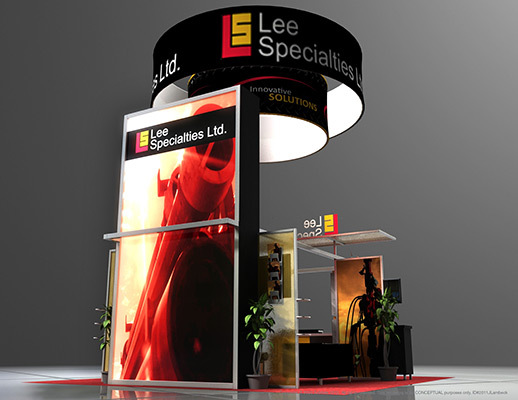 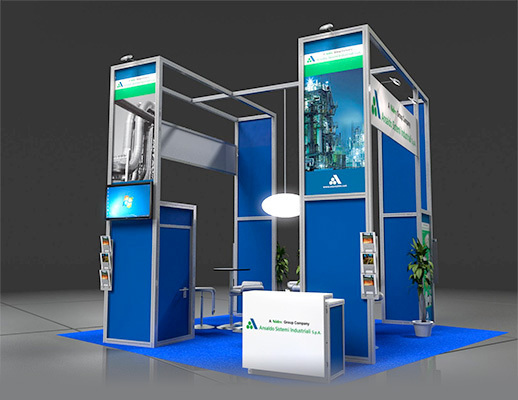 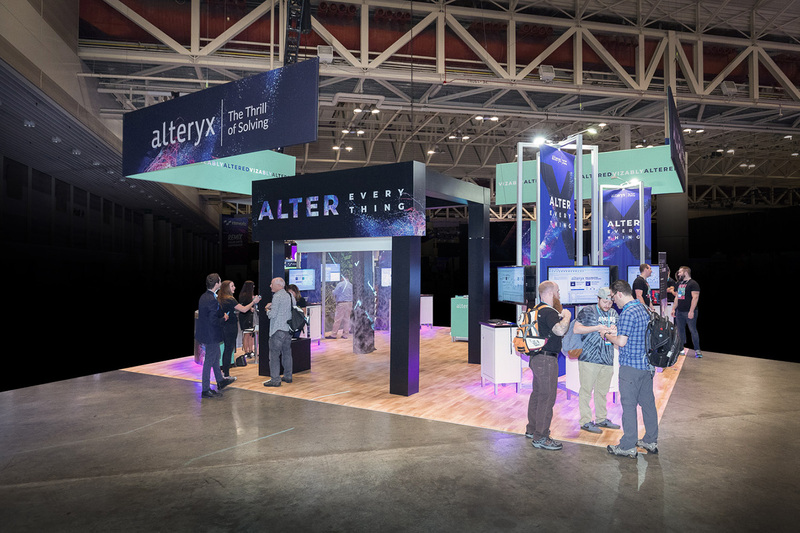 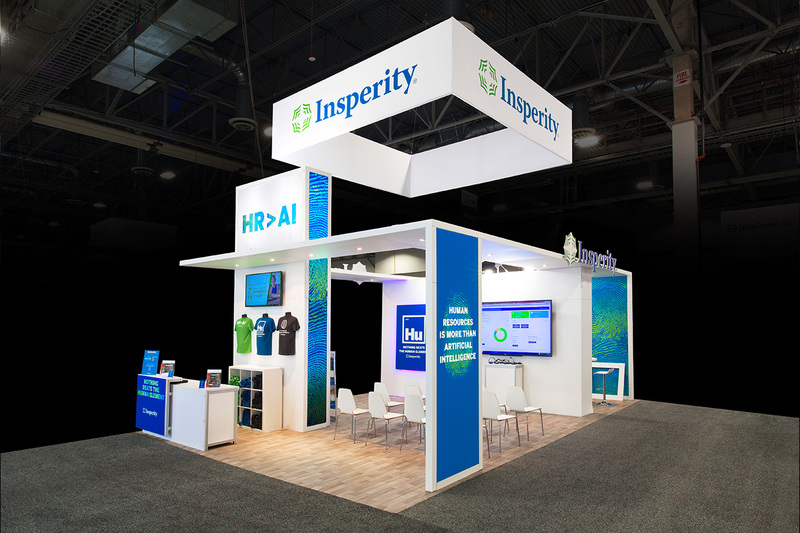 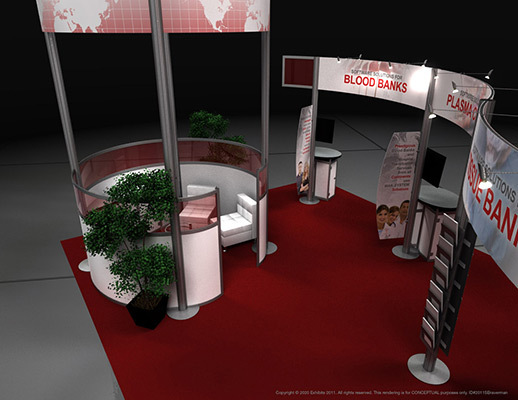 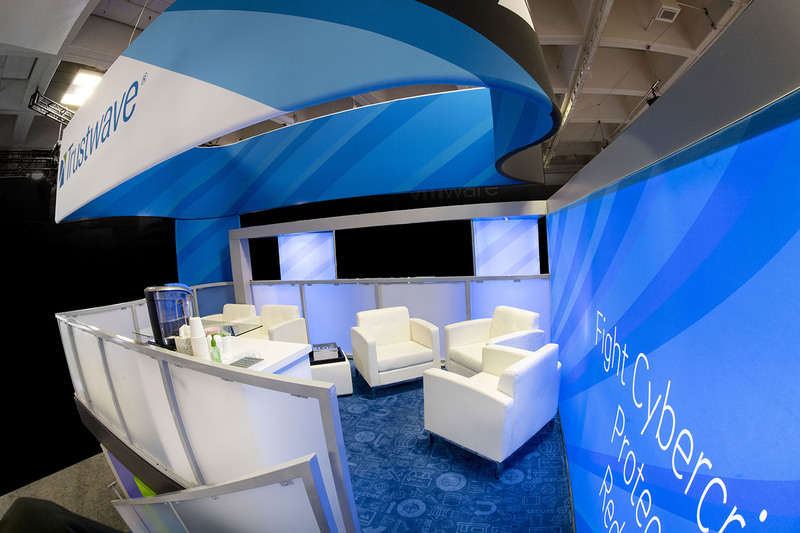 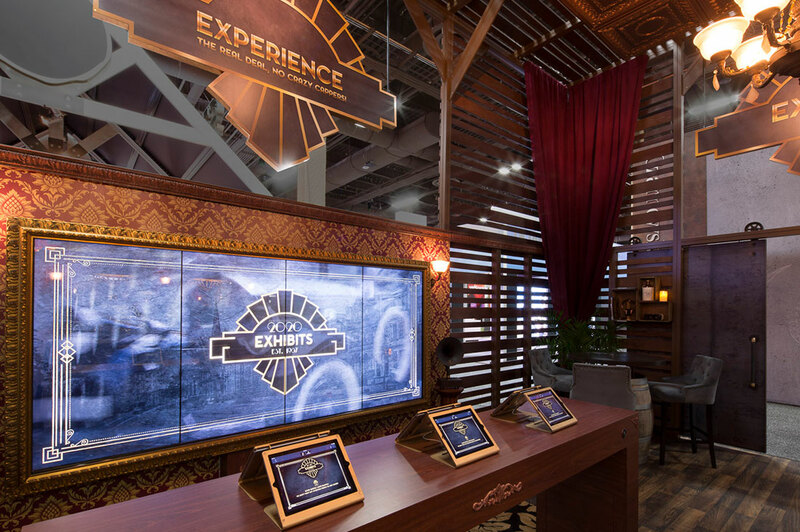 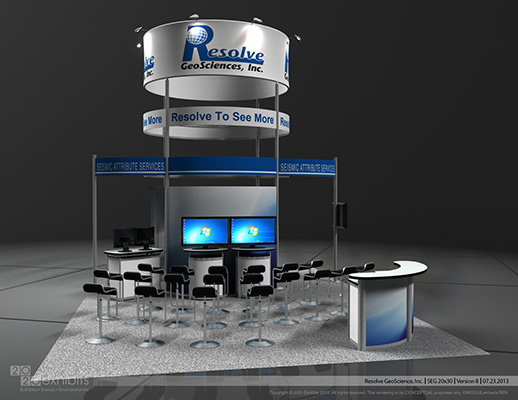 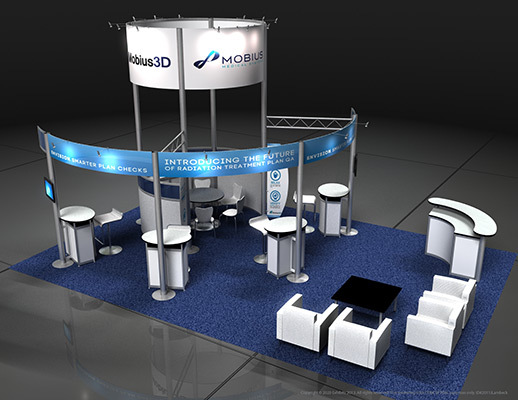 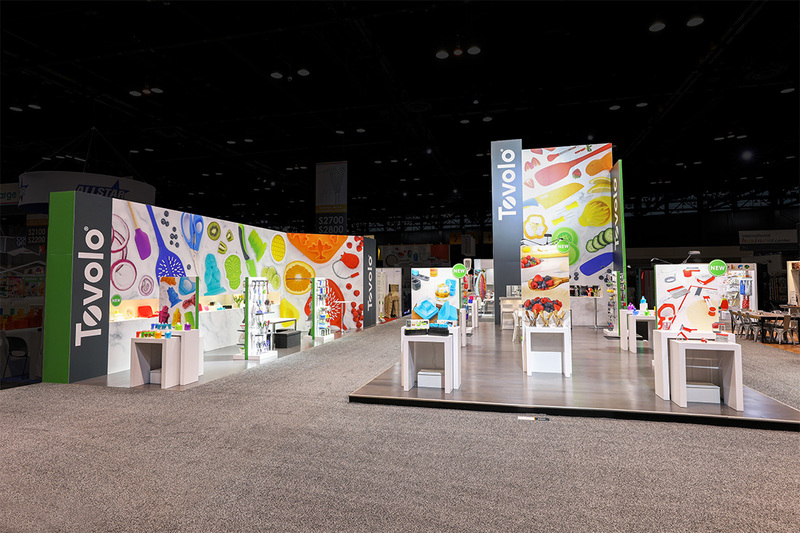 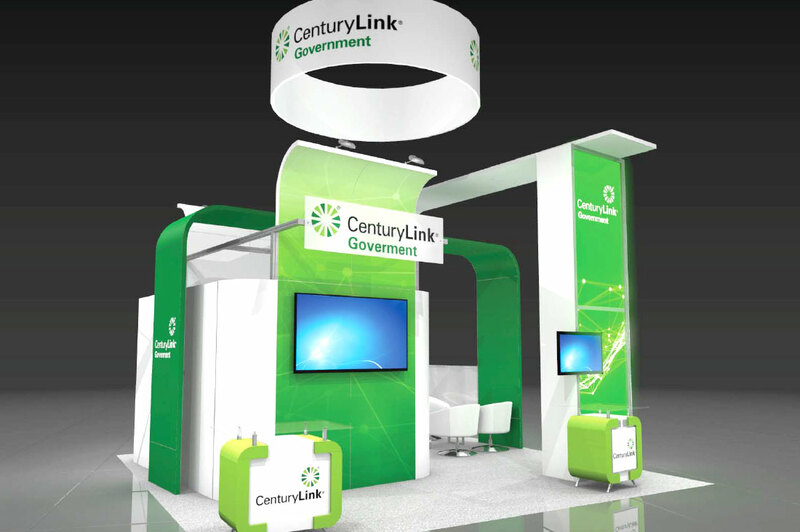 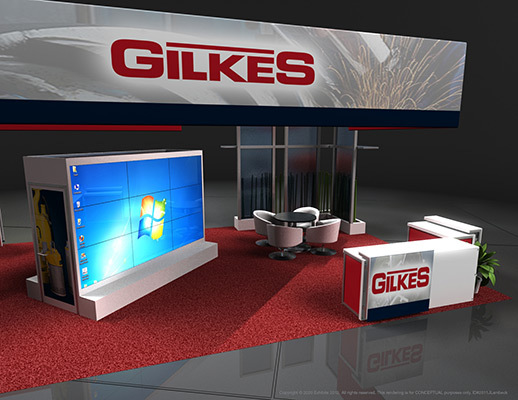 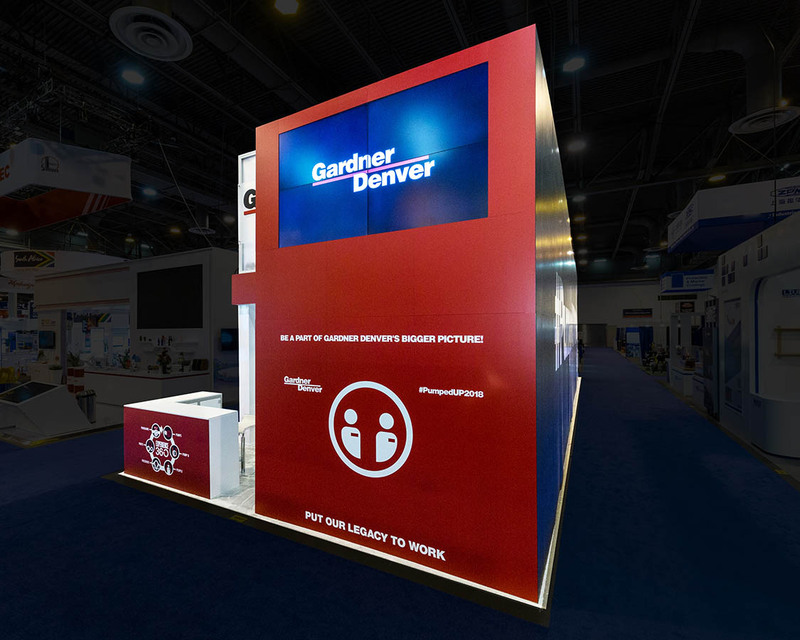 This 20x30 booth is customizable, to meet your brand’s objectives. 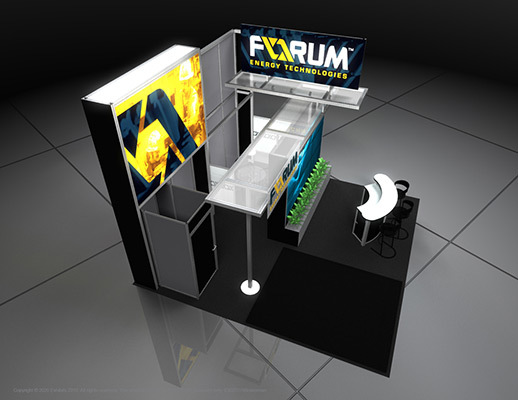 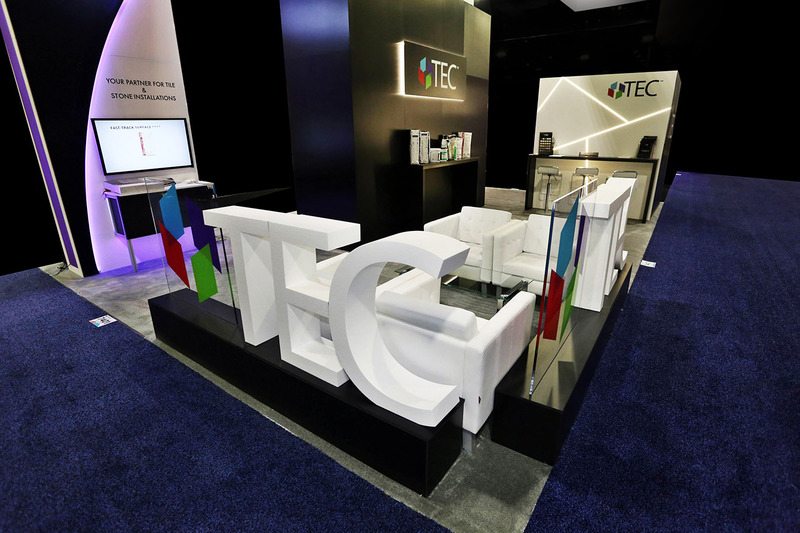 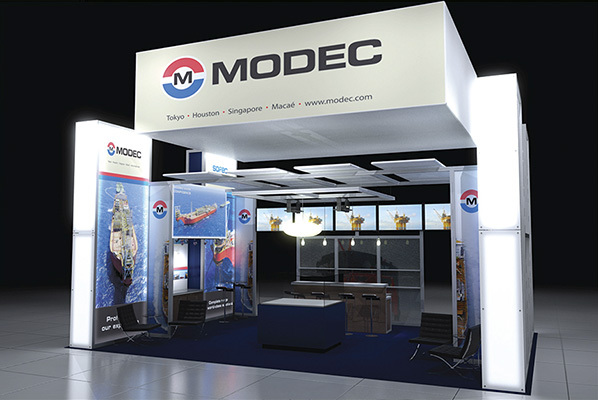 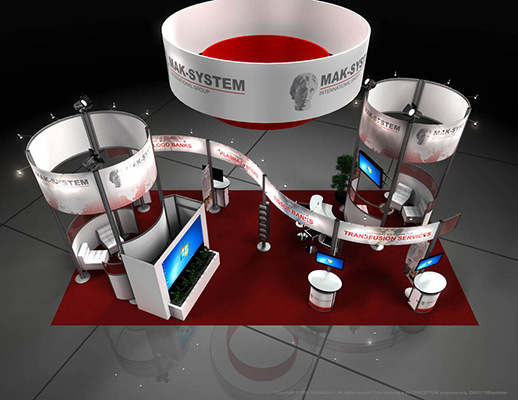 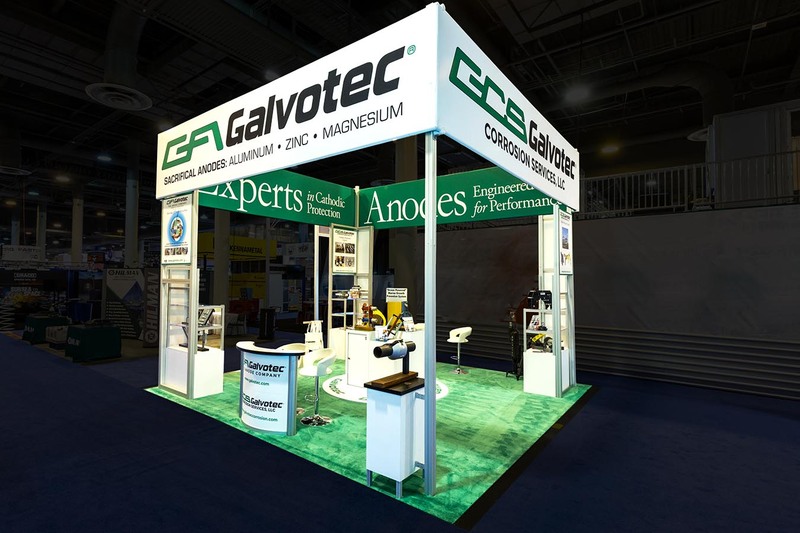 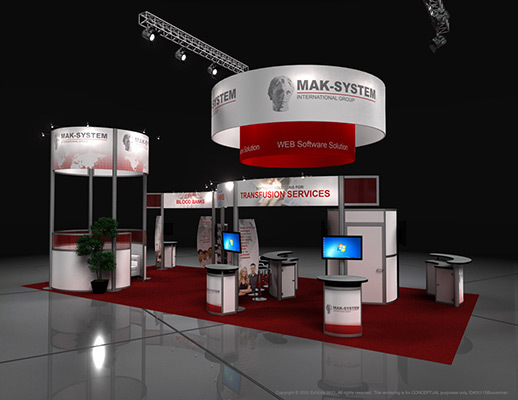 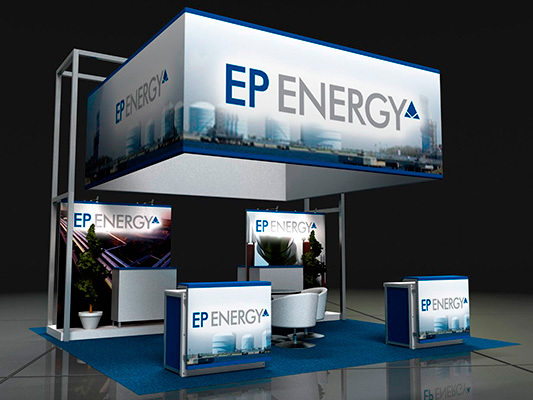 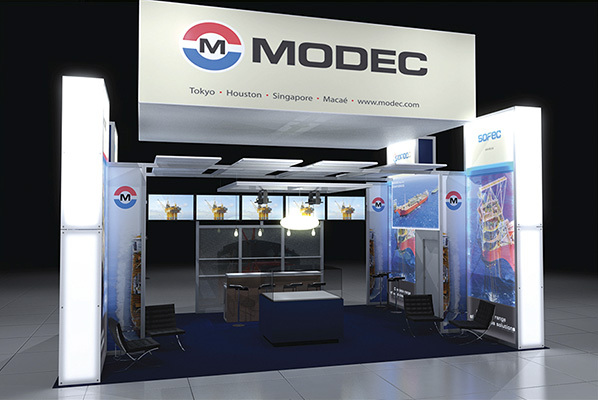 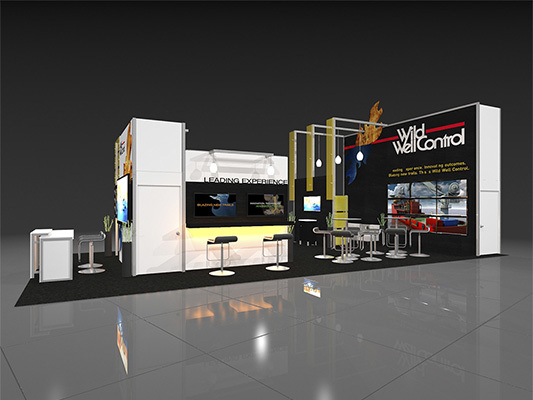 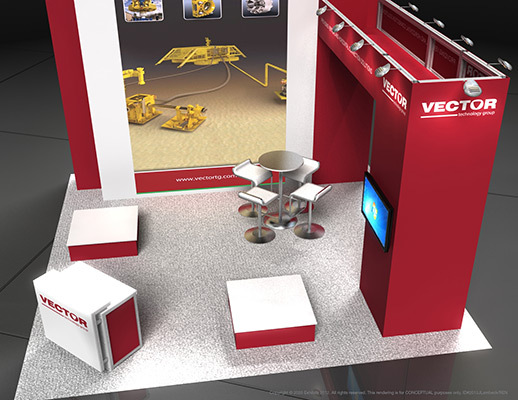 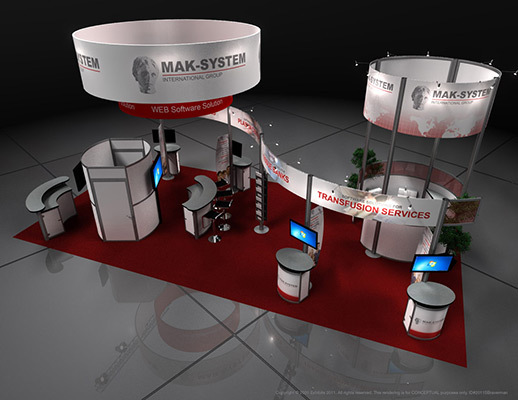 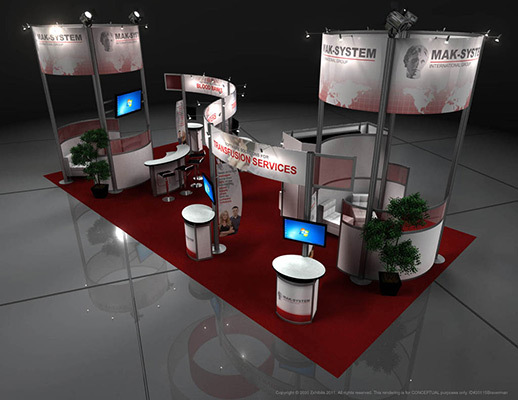 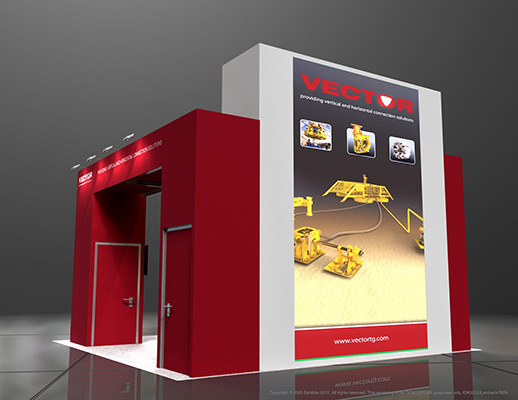 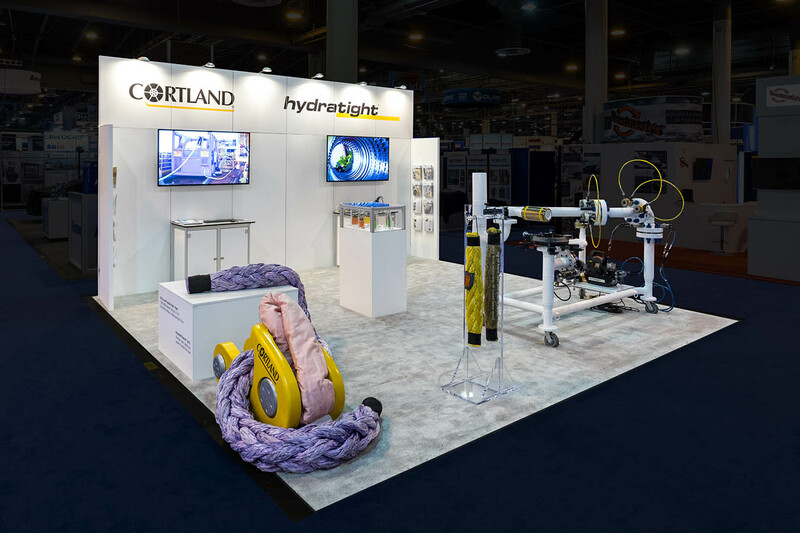 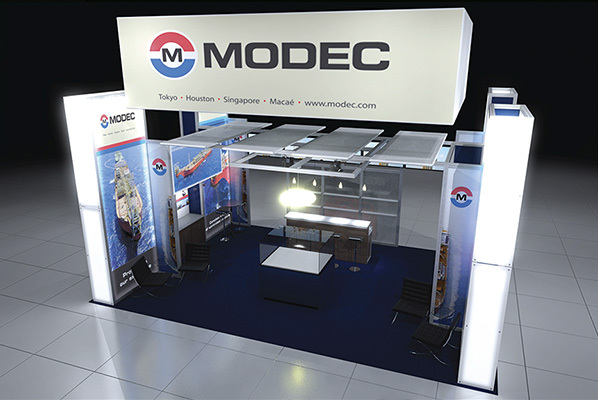 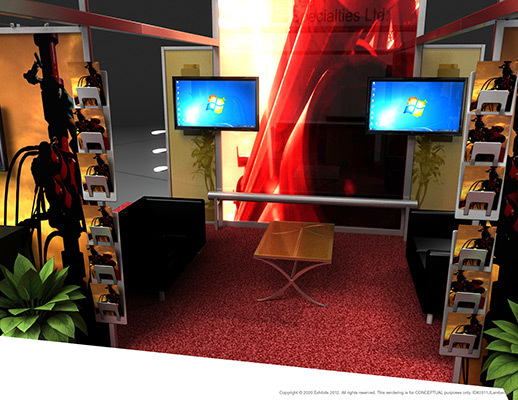 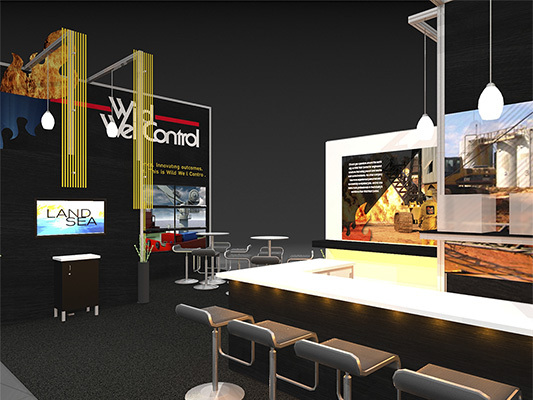 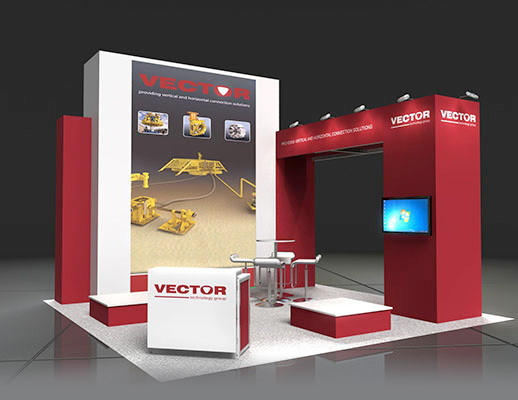 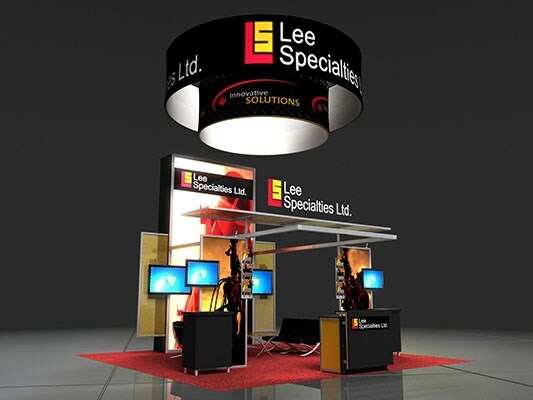 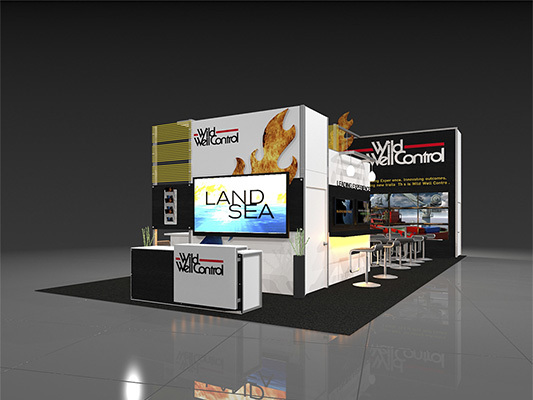 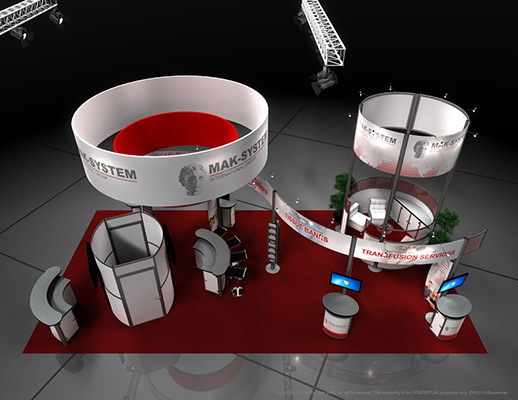 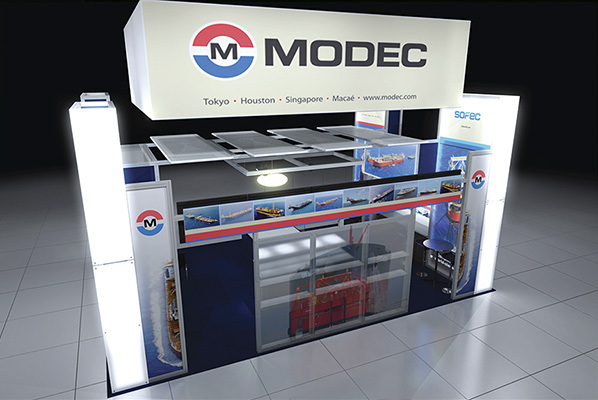 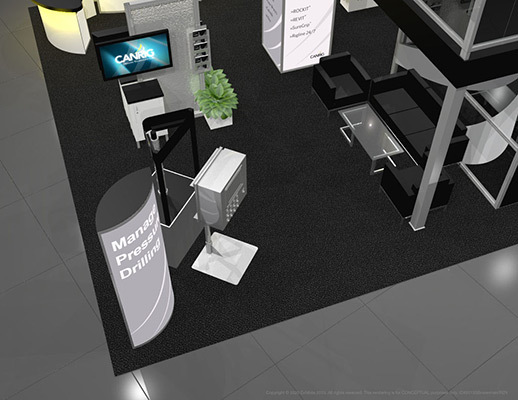 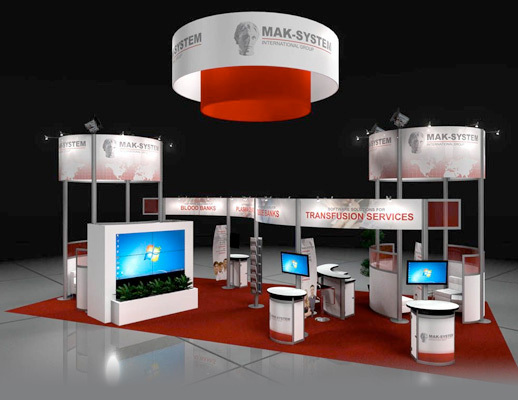 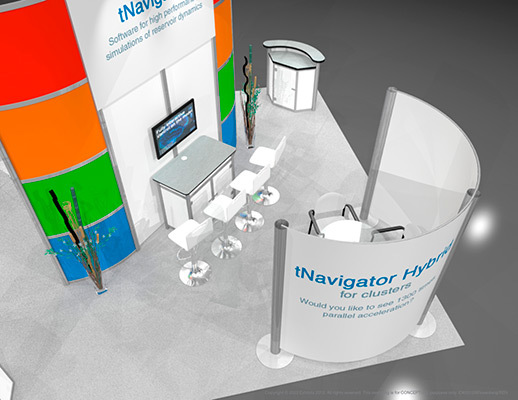 Graphics along the side of the booth display your company’s brand. 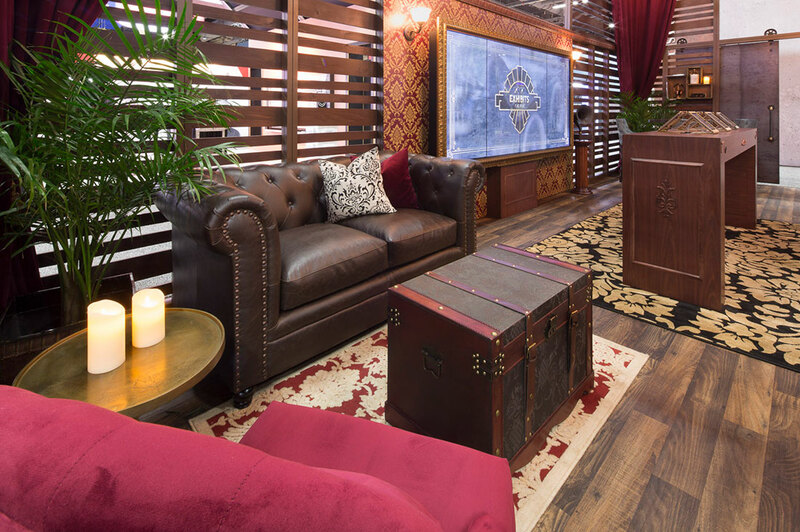 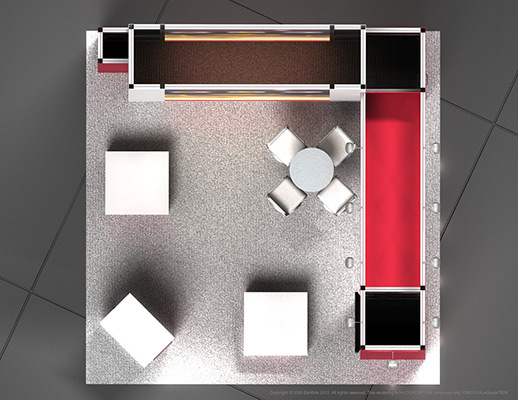 It also has an open conference and lounging area. 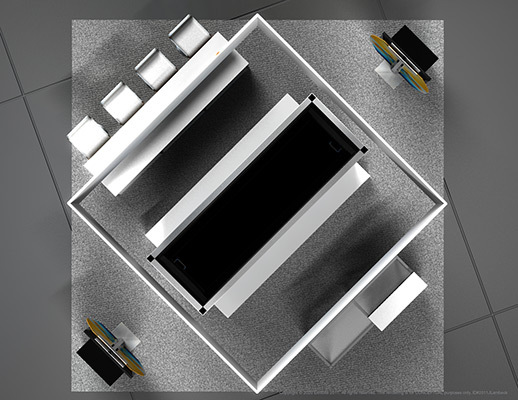 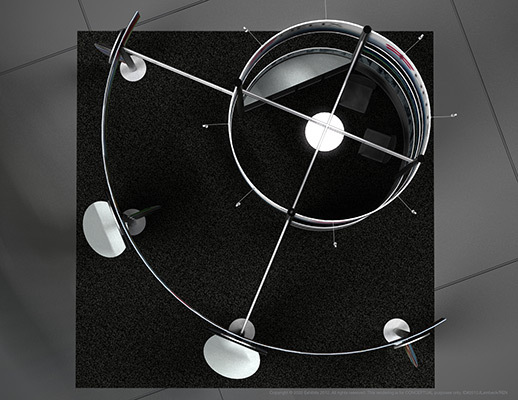 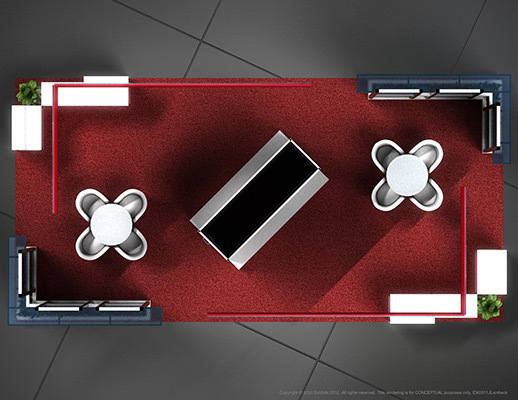 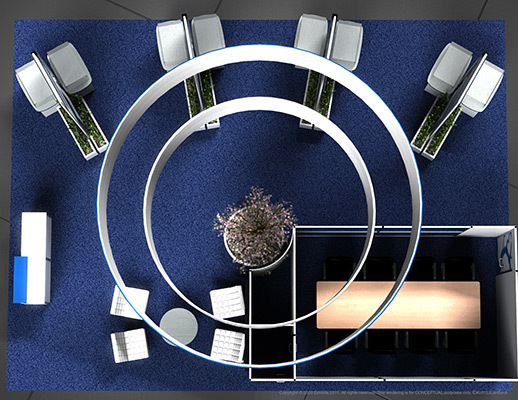 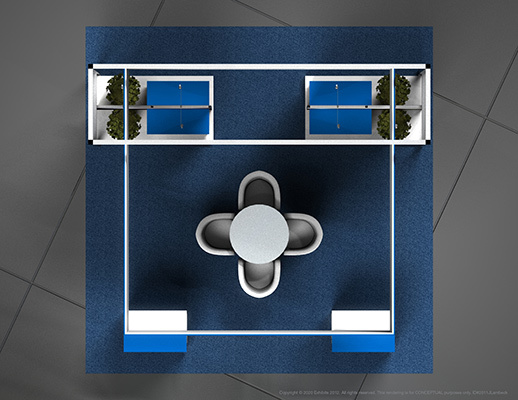 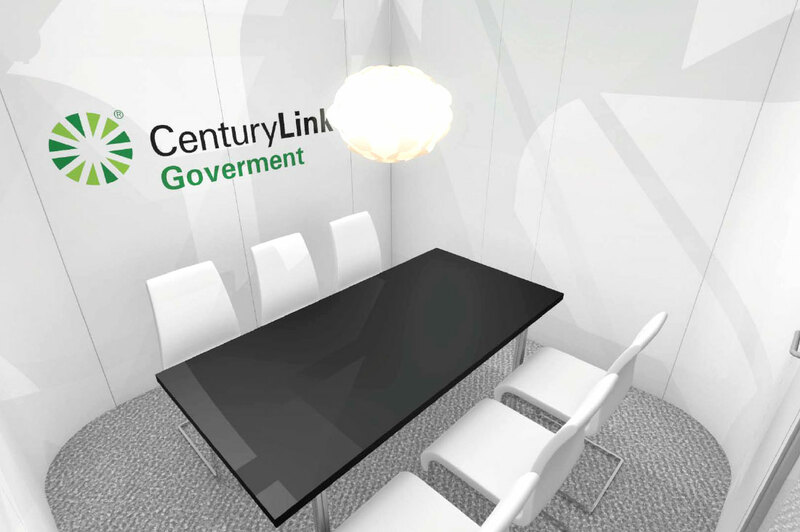 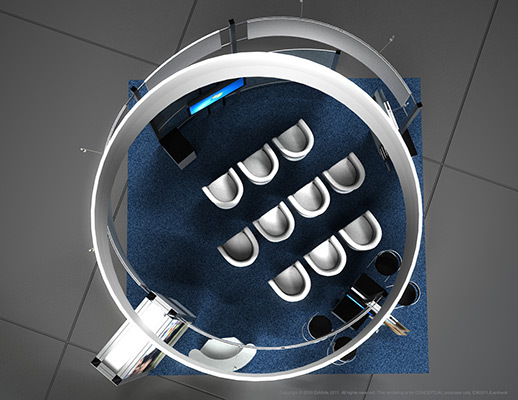 Other details include a reception desk, storage closet, monitor and dimensional logos.